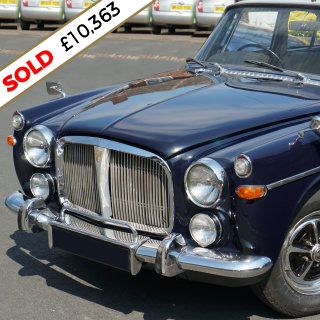 Update 8th June – Sold at auction to Edward (esaunders) for £10,363 including premium. 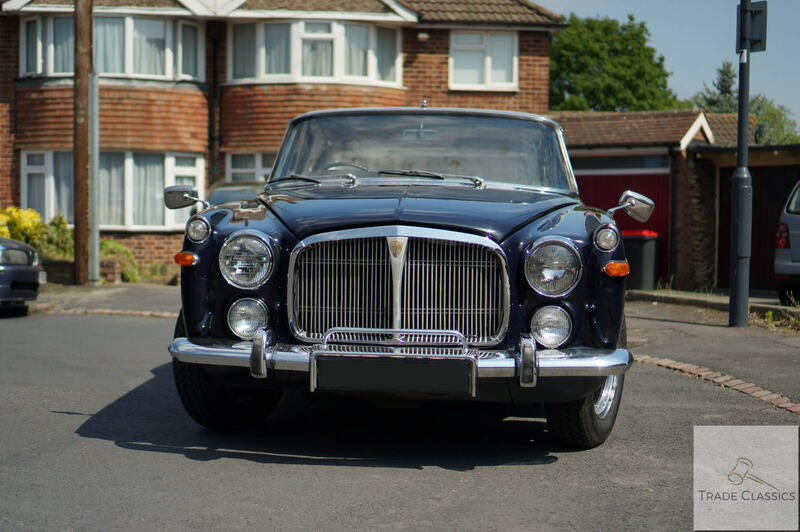 The Rover P5B was quite the car in the 70’s. 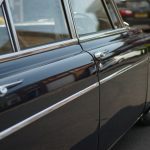 The last iteration in a production run of 13 years, it was very much a desired luxury car of the era, the UK government at the time having a particular penchant for the saloon. 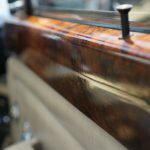 Even the Queen had one, her example now sits in the British Motor Museum. 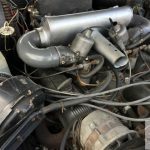 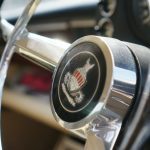 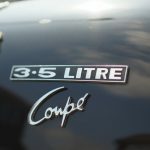 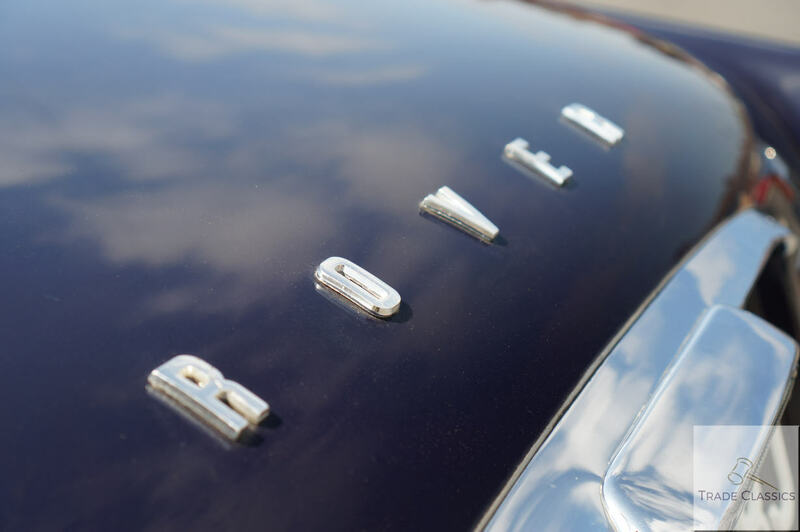 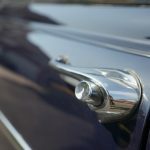 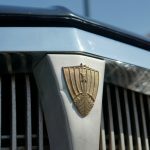 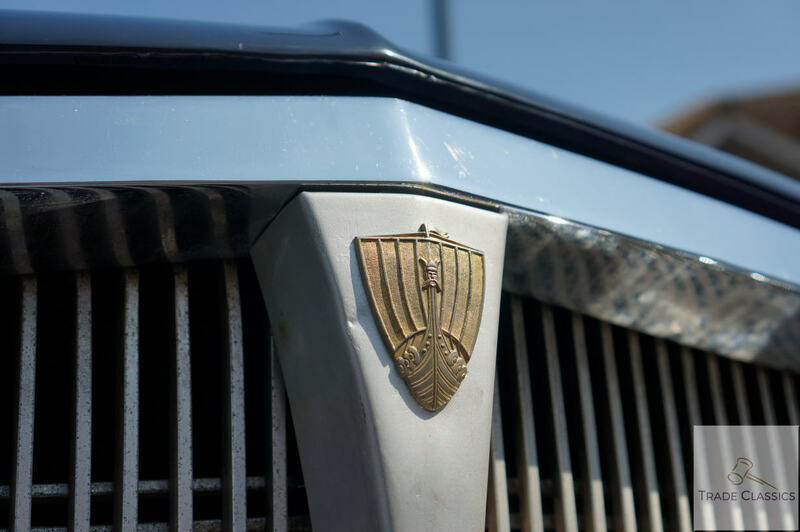 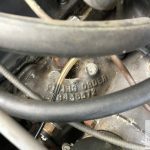 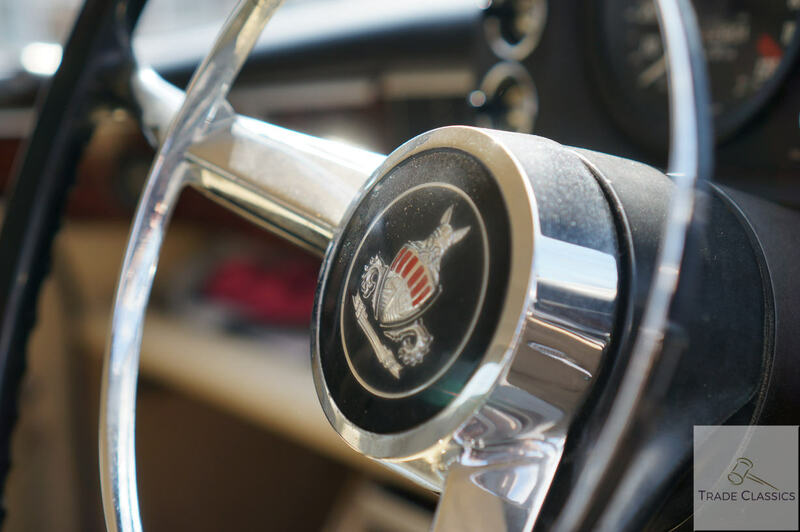 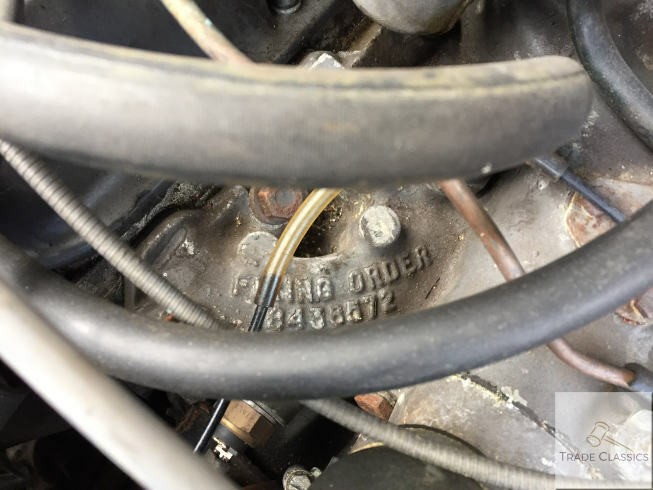 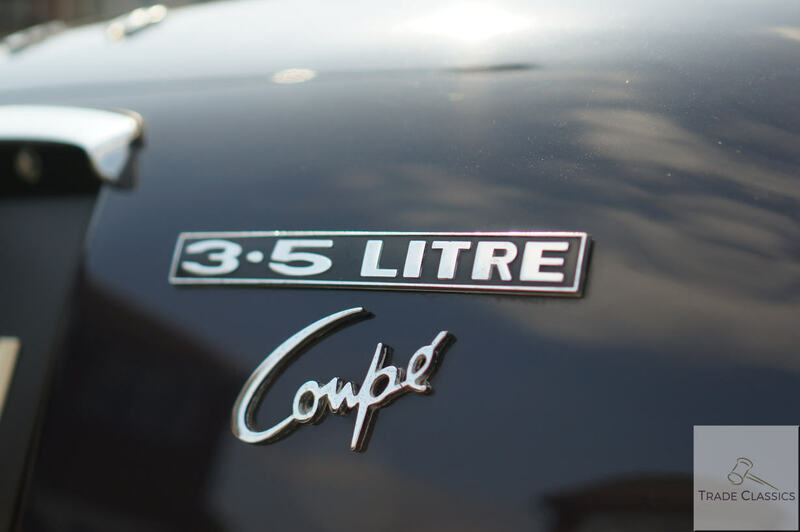 The P5B was named so because of its new bigger 3.5L V8 engine, which was designed by Buick, but the car was more commonly known as the “three and a half litre” as per the prominent badging across the model. 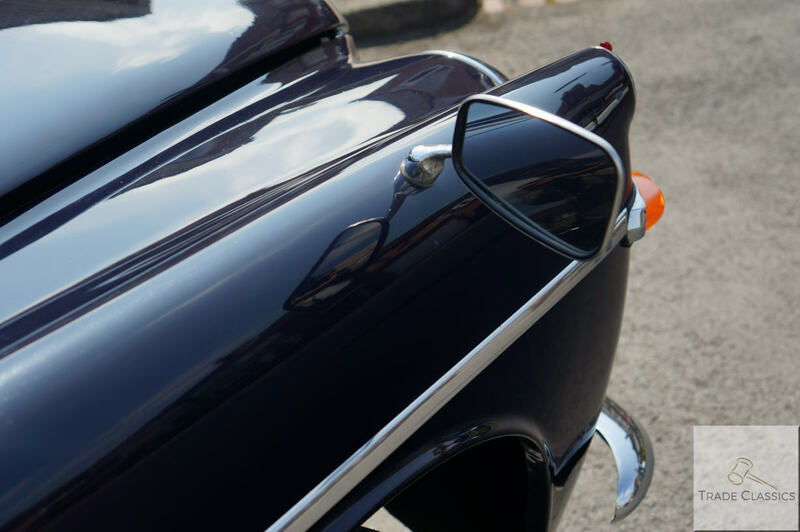 From a design perspective, the car did not change too much with its introduction in 1967. 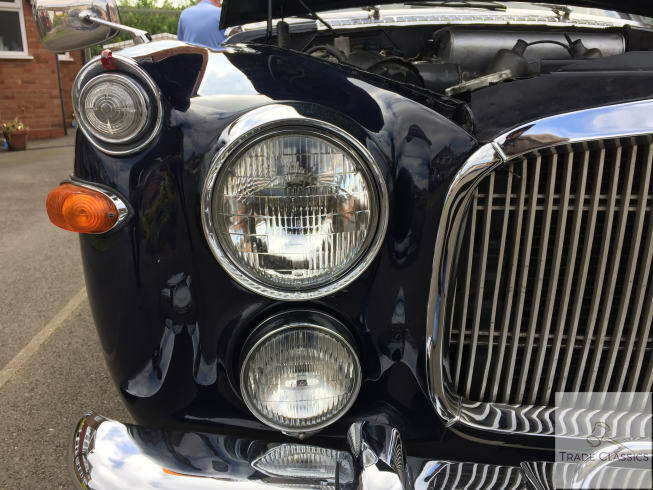 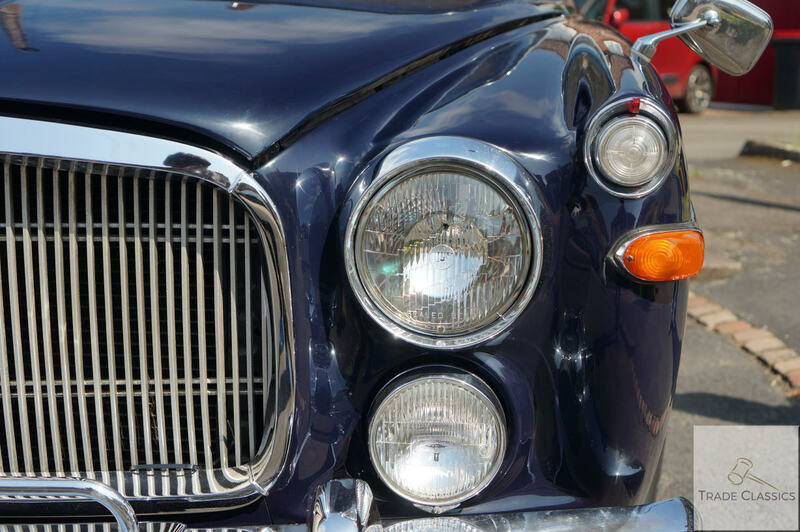 A striking front headlight cluster with the introduction of fog lamps, and the 3.5 badges and Rostyle wheels were some of the only noticeable exterior changes. 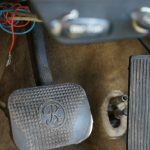 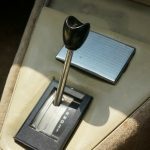 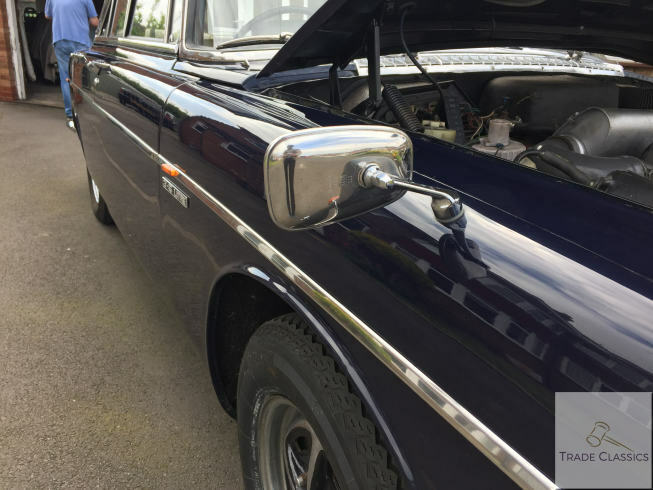 Other changes to the model included power steering and a Borg-Warner automatic gearbox as standard. 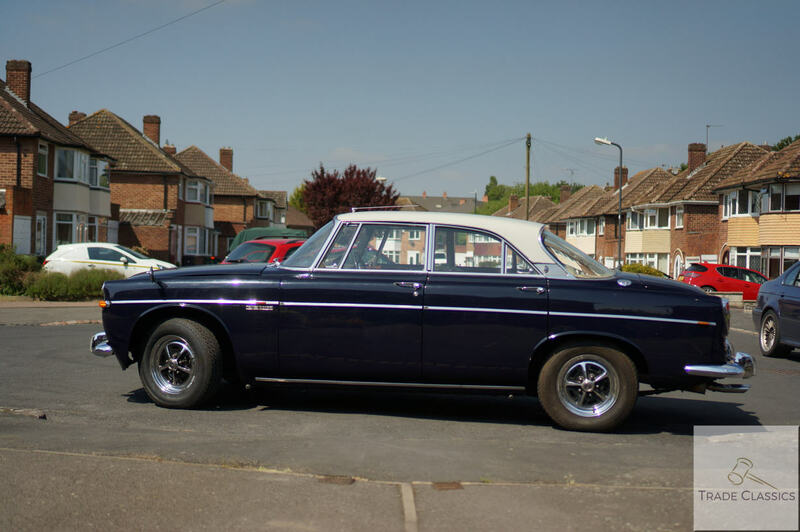 Peter bought this lovely example of a P5B, around 8 years ago after his farther passed away, with his mother as a car to use together. 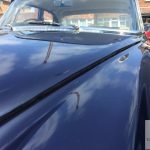 He had always liked the shape of the coupe, and so when one came up for sale in this condition, Peter was pretty snappy in securing the car. 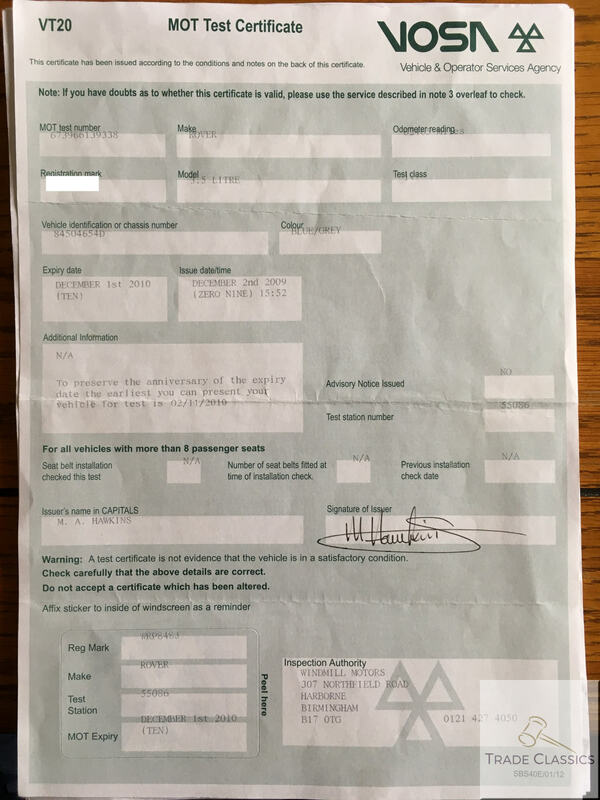 Sadly as Peter’s mother’s health deteriorated, they did not get to complete as many trips as they had originally sought out. 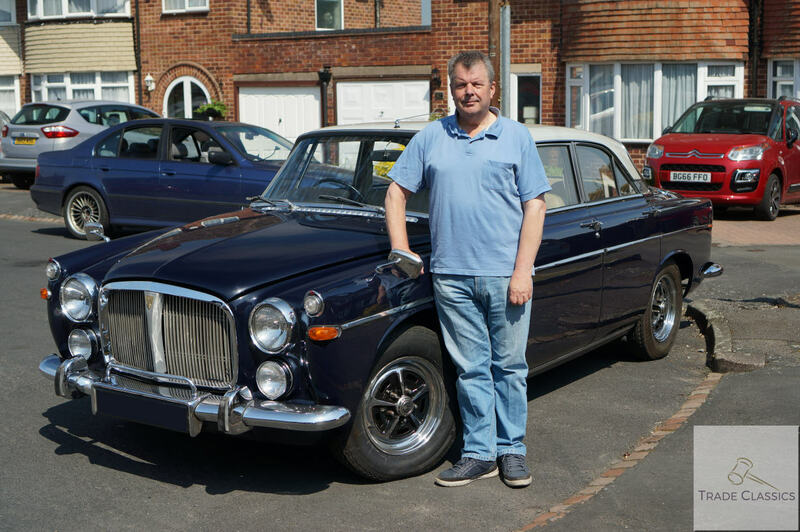 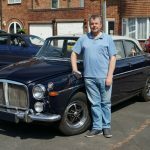 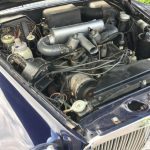 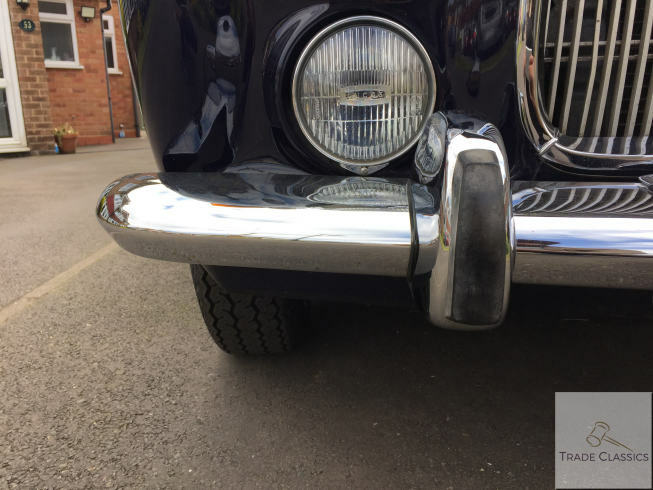 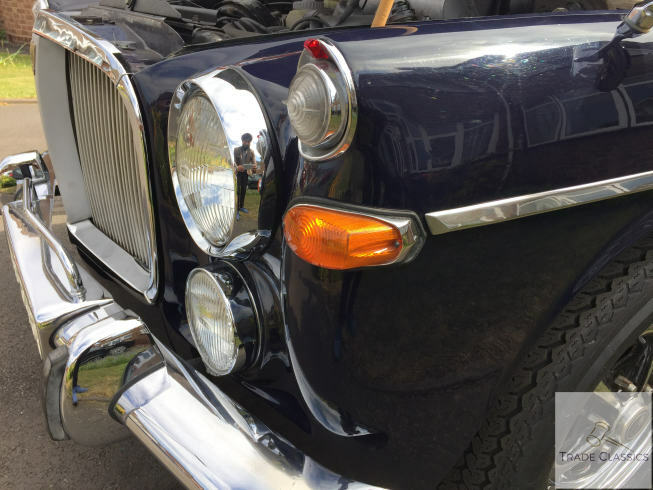 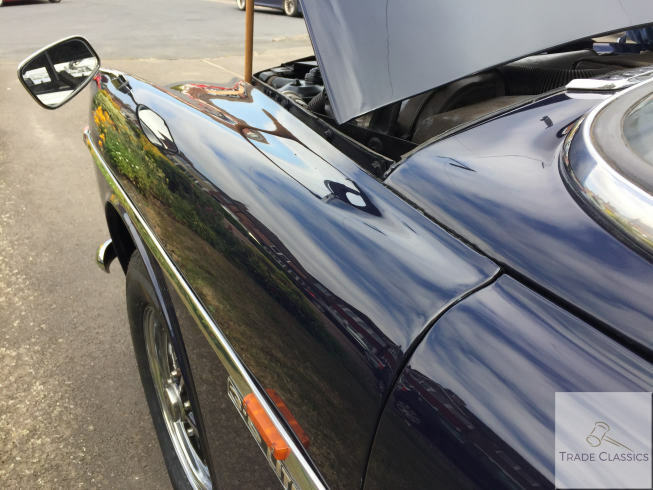 Peter enjoys his classic cars, and along with this Rover, he has owned a Triumph Stag, and the most recent addition to his collection is a lovely MGB GT. 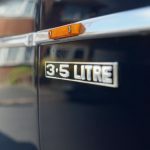 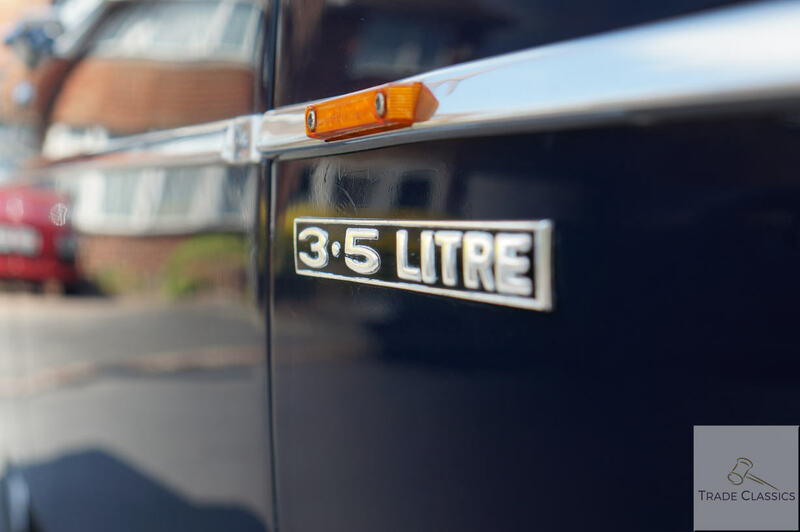 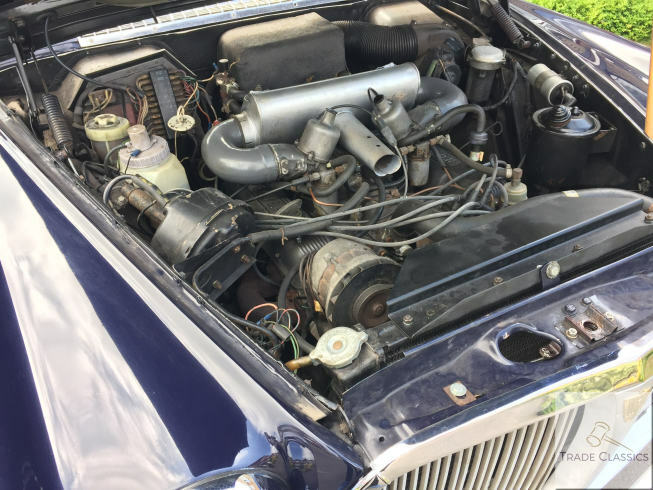 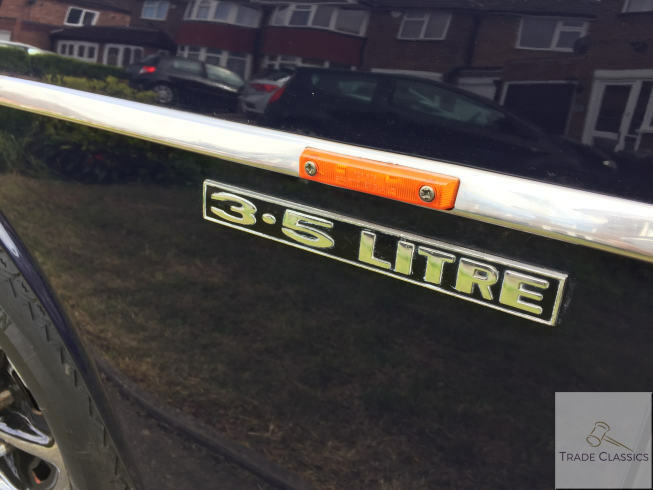 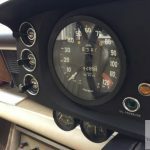 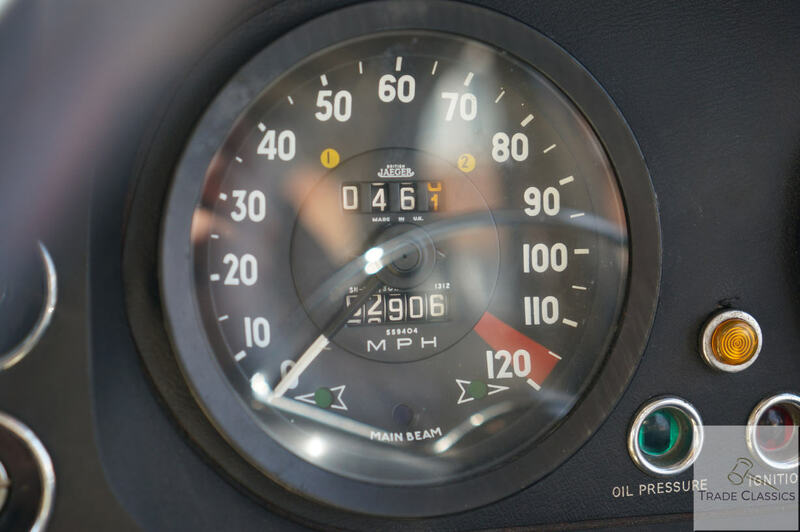 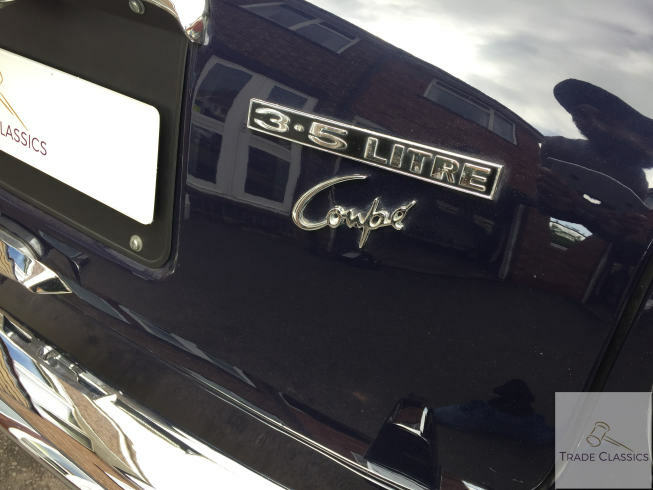 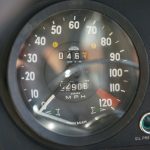 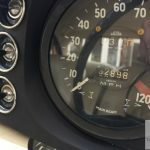 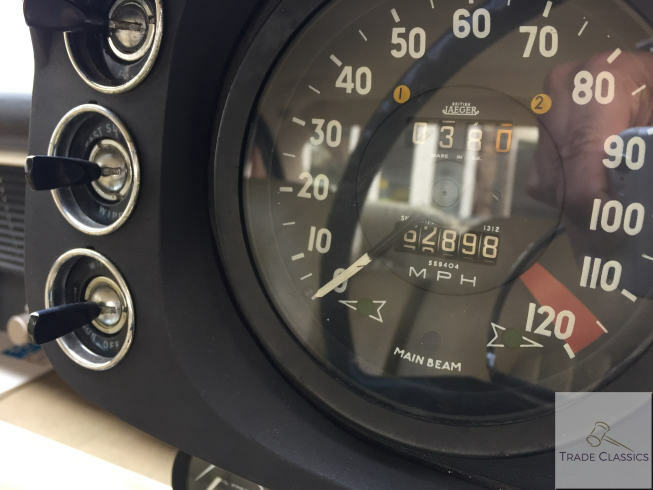 The P5B hasn’t increased in mileage much in his ownership, as the Stag was his main car for longer trips, and this shows with the P5B presenting itself in great condition. 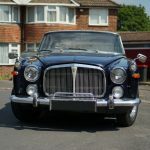 The car has been well looked after in Peter’s ownership, and that shows in the media we have taken, externally being a stunning car, and it pulling and handling on the road well. 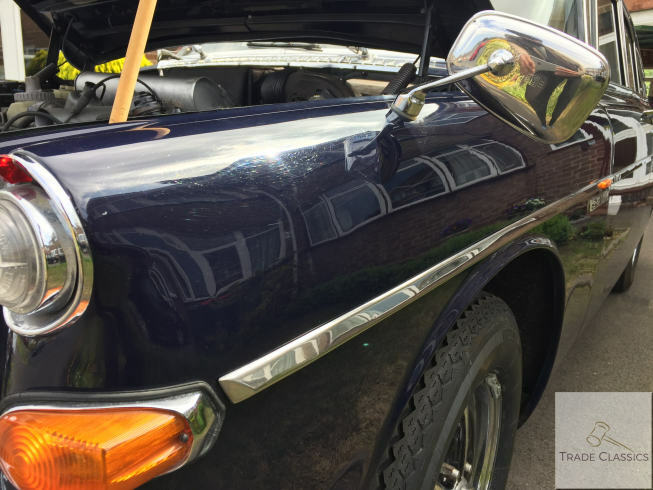 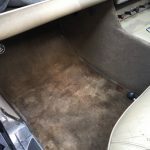 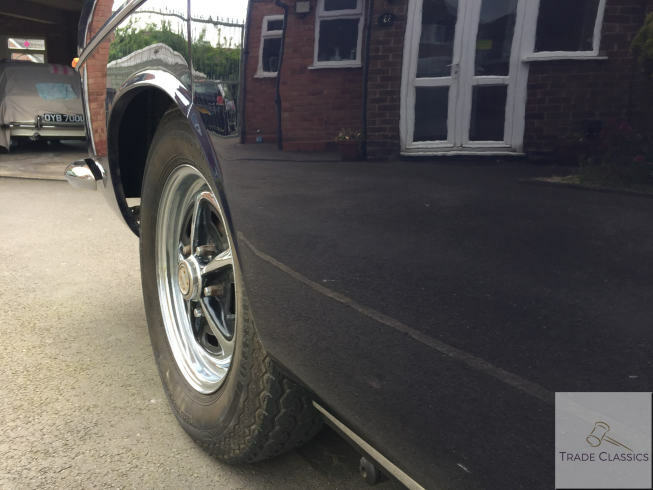 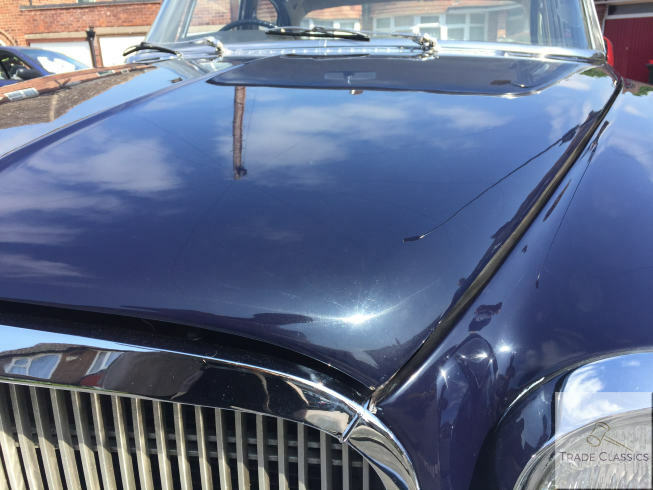 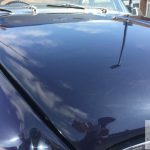 Anything that has needed attention mechanically on the car Peter has ensured has been attended to, and so the car will be ready for a new owner to enjoy. 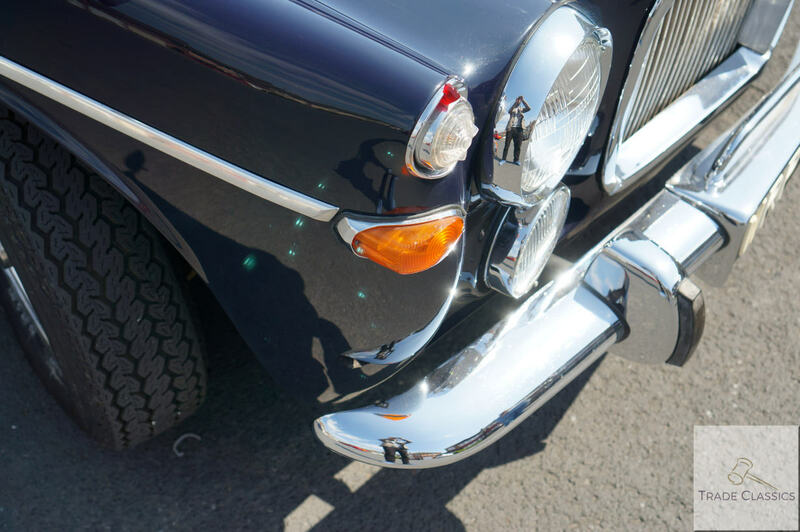 The car has a real wow factor even today when you see it. 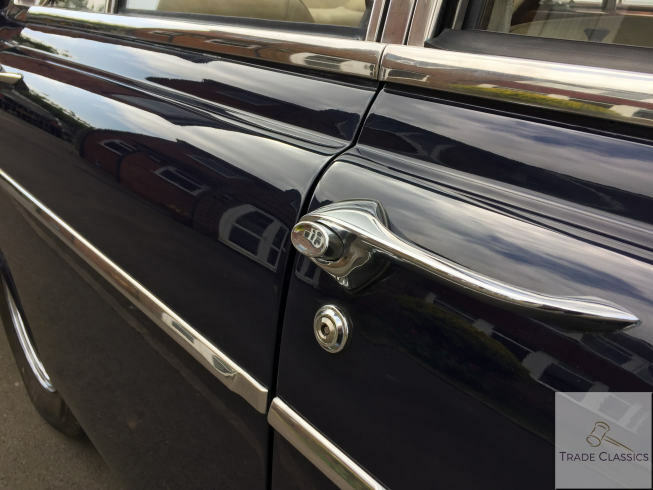 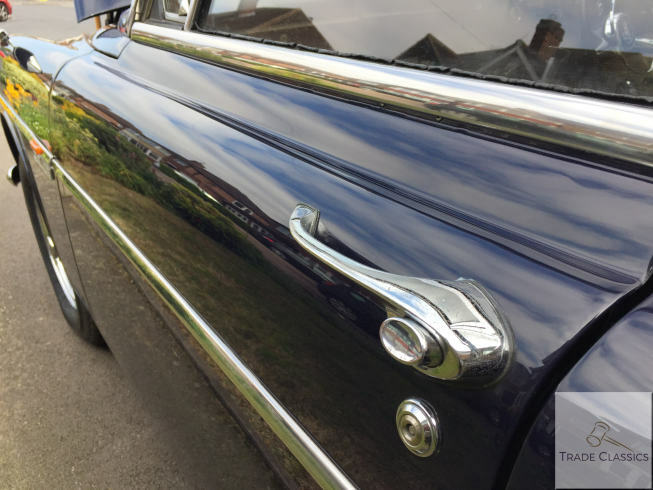 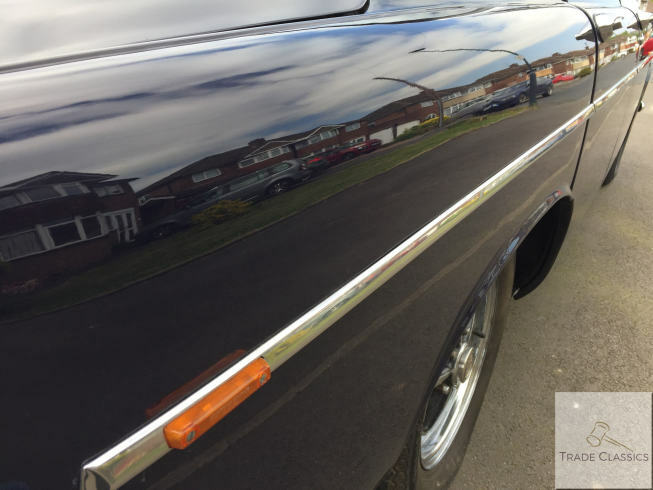 The paintwork is absolutely lovely to look at, and I was really surprised to see how good the brightwork looked too for a car of this age, testament to how Peter has cared for the car. 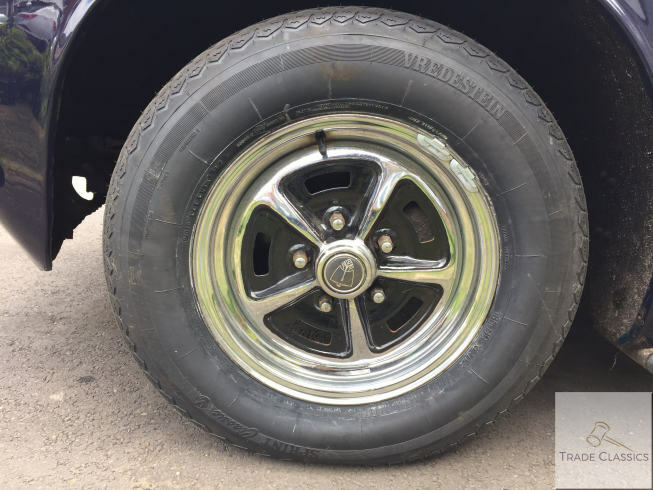 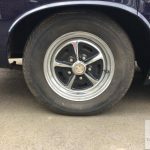 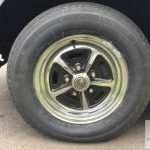 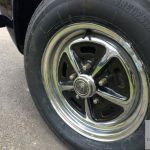 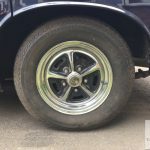 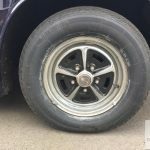 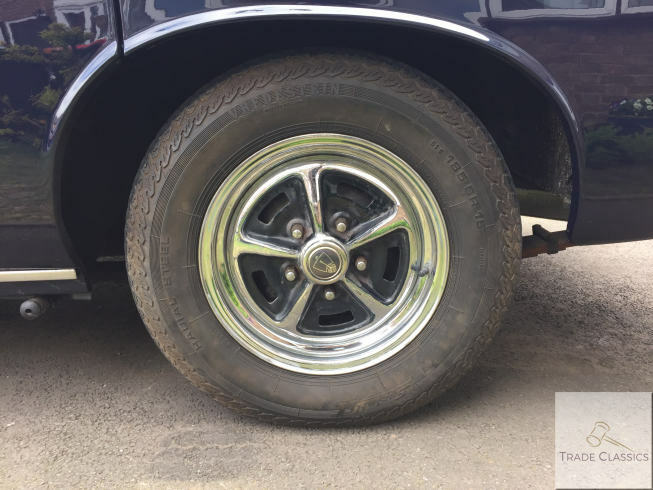 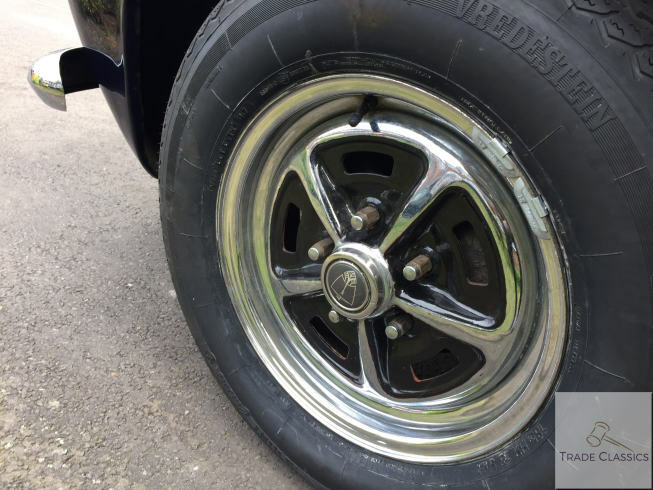 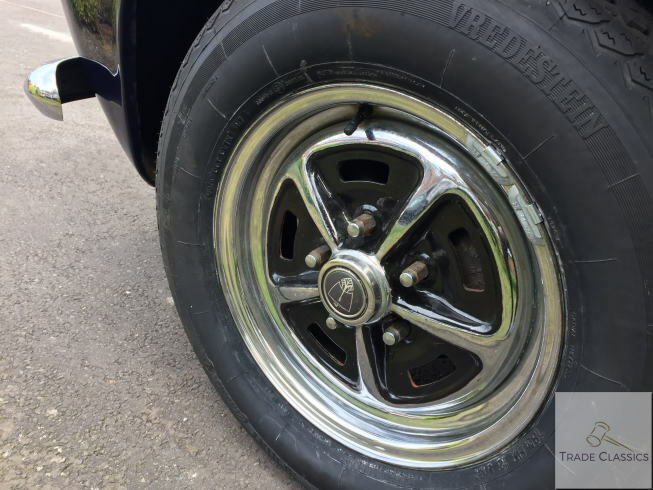 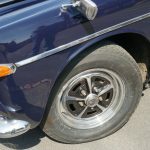 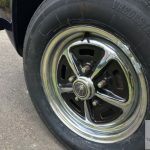 Featuring the very American and of the era, Rostyle wheels, they set the car off well. 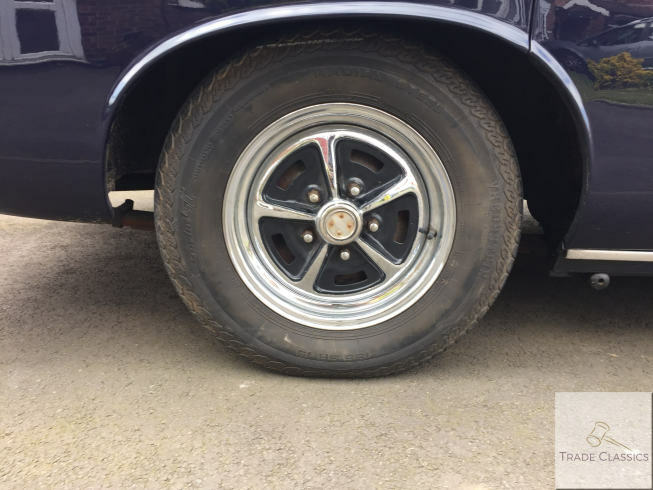 The wheels looked to be in good condition, and tyres looked to be in order too, as documented in the media. 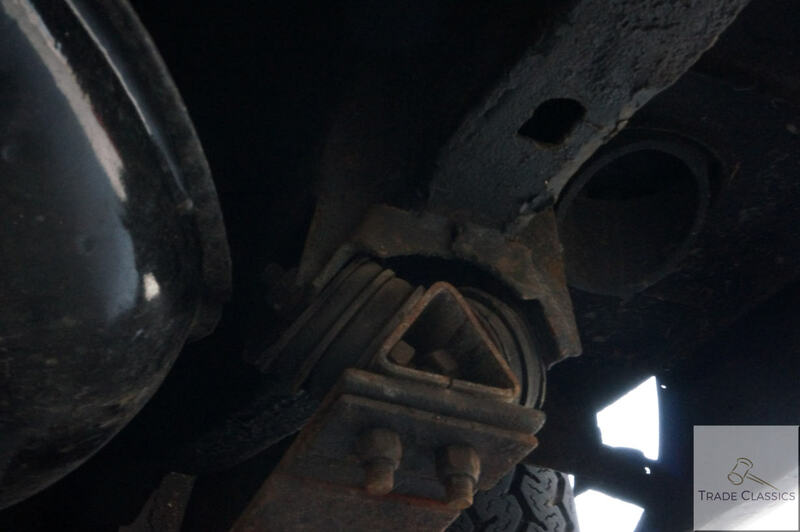 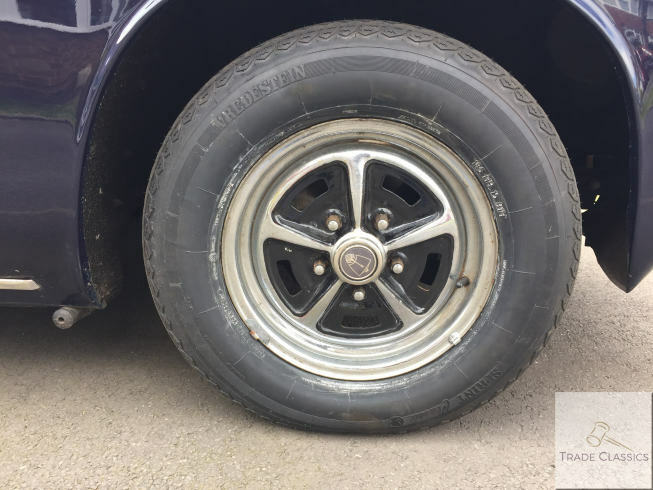 The rear offside wheel is missing its Rover centre-cap, all others being present. 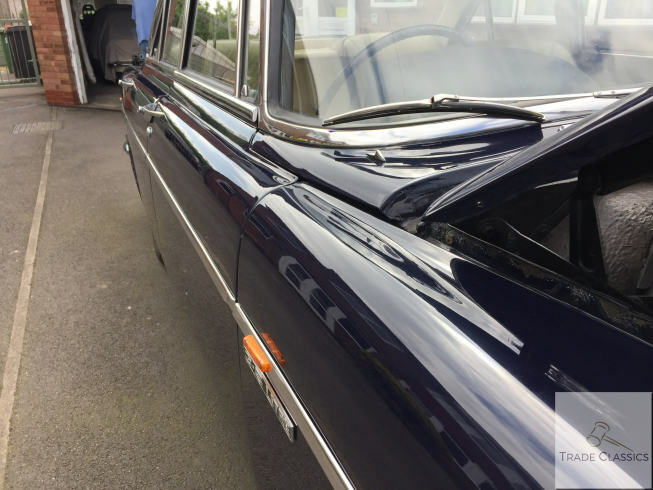 The bodywork on this P5B presented itself in good condition. 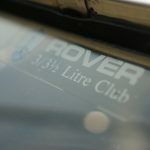 The video media we have included covers every panel, and there was only one small spot of bubbling noticed, this is on the boot on the offside corner nearest the windscreen. 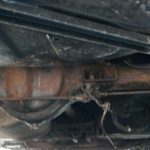 The video under the car also shows the car to be in good condition. 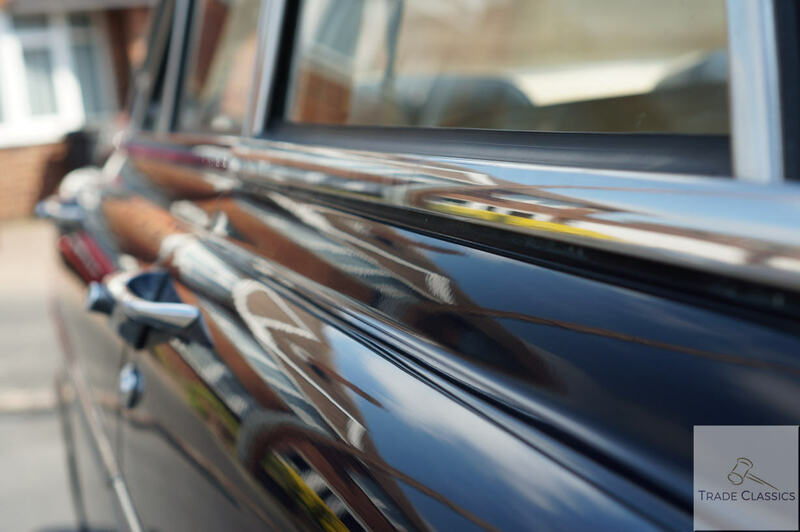 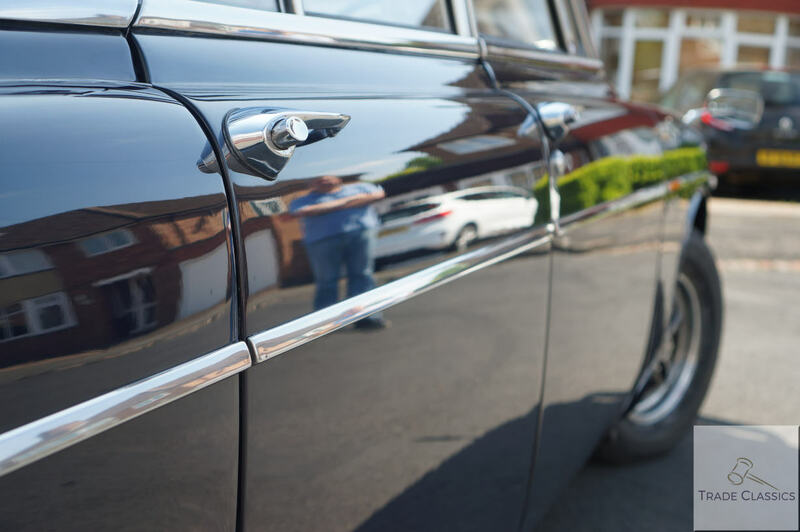 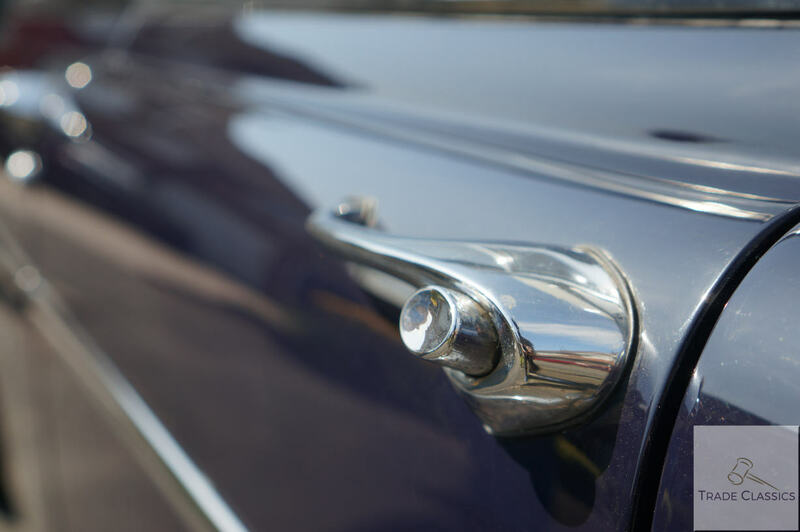 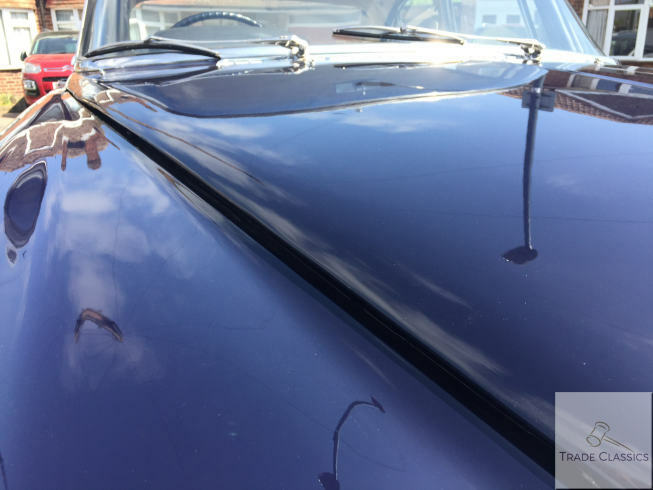 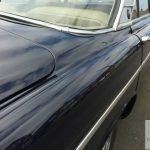 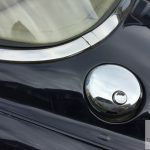 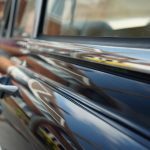 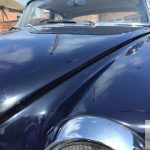 With the quality and finish of paint on the car, Peter assumed that the car has been restored at some point in its life. 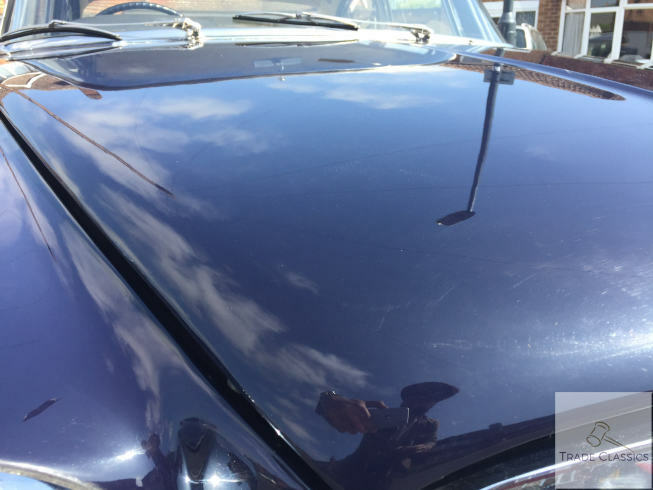 The blue paint across the car looks deep and not faded in the slightest. 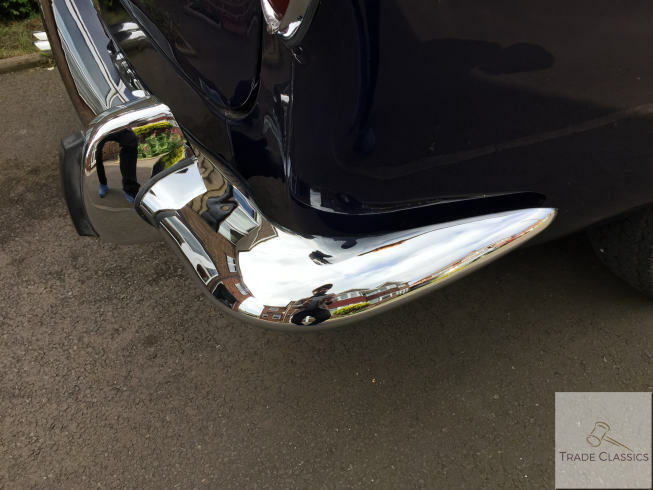 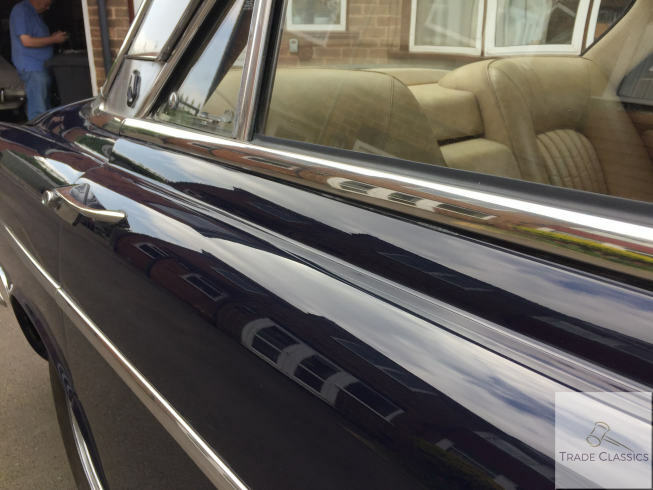 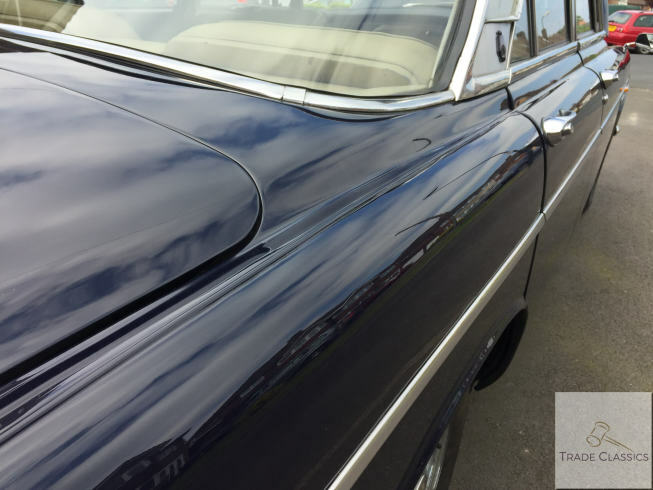 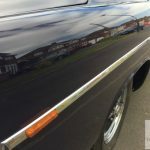 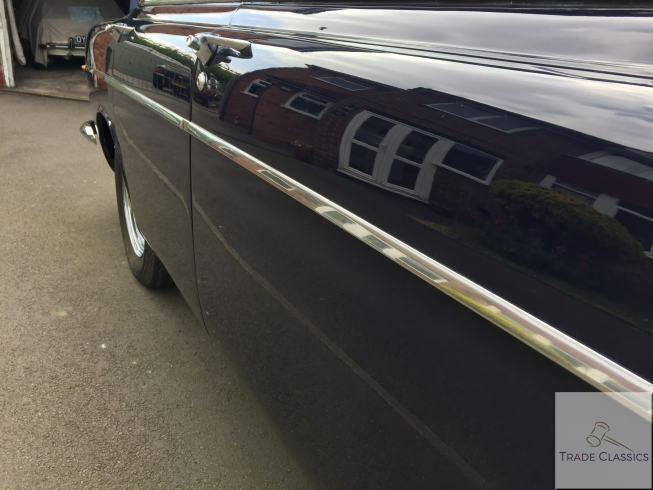 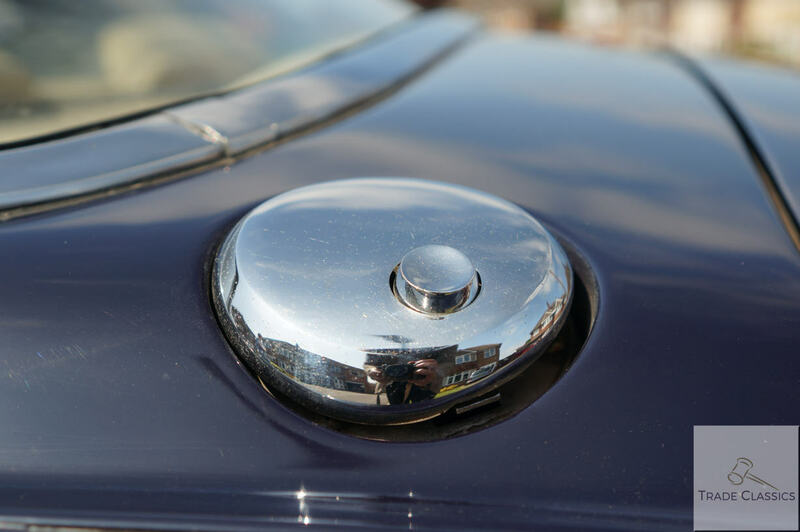 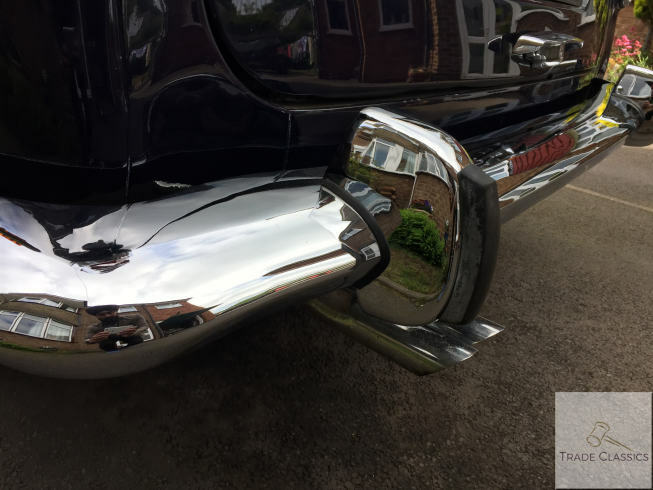 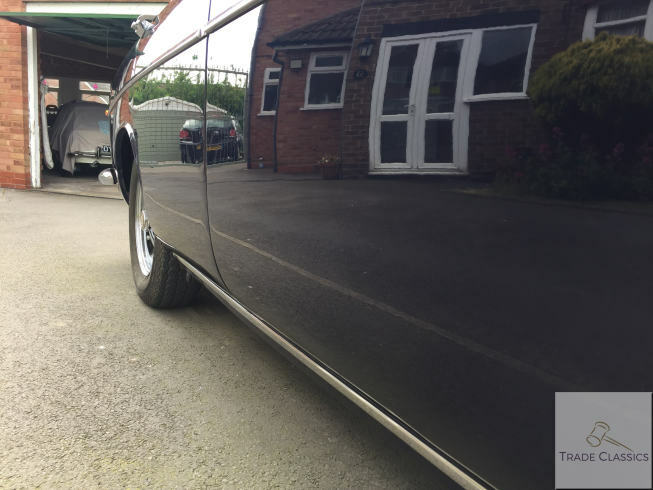 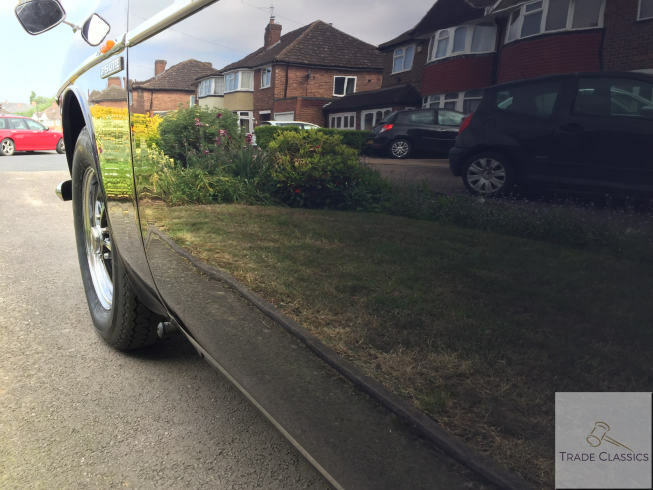 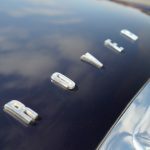 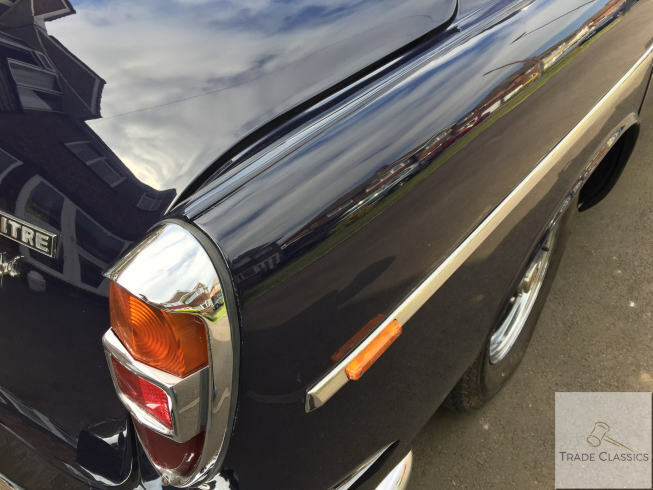 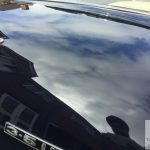 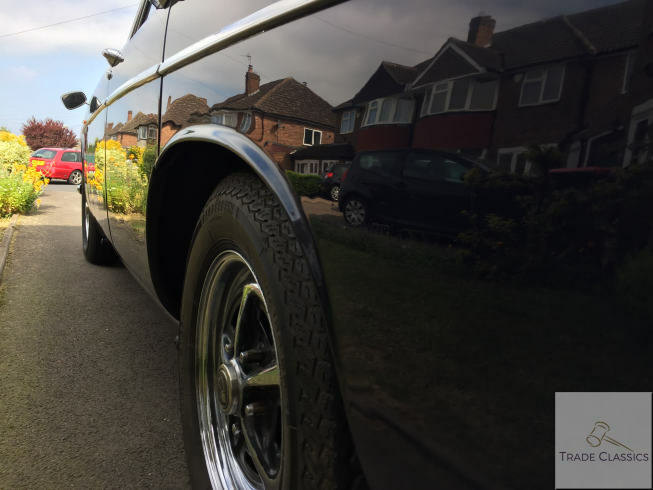 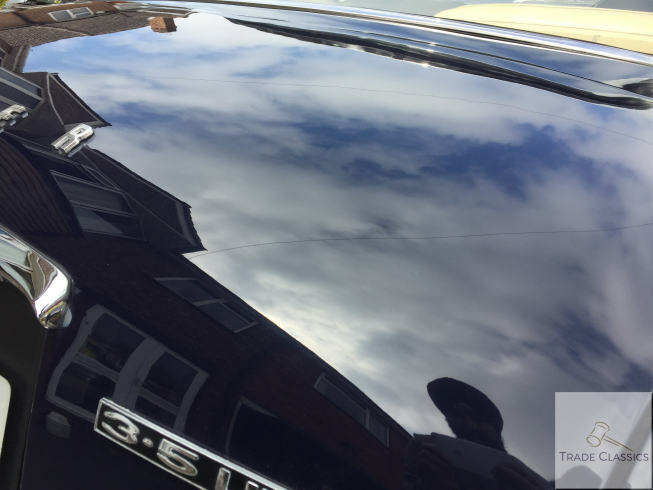 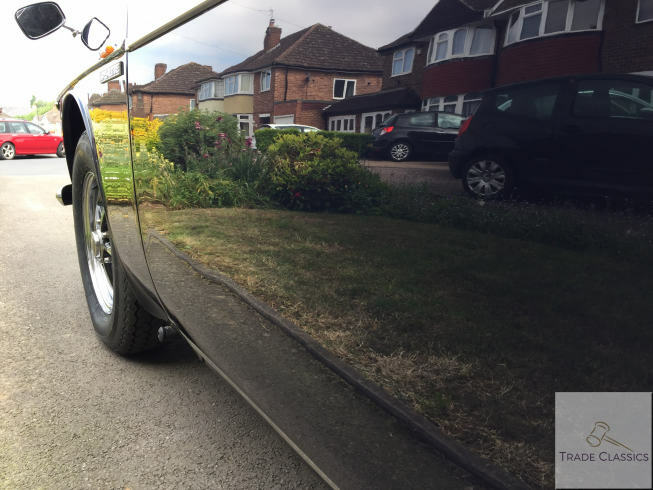 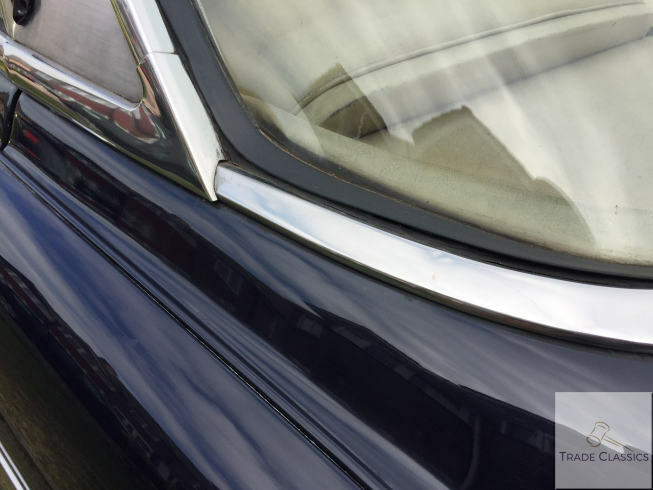 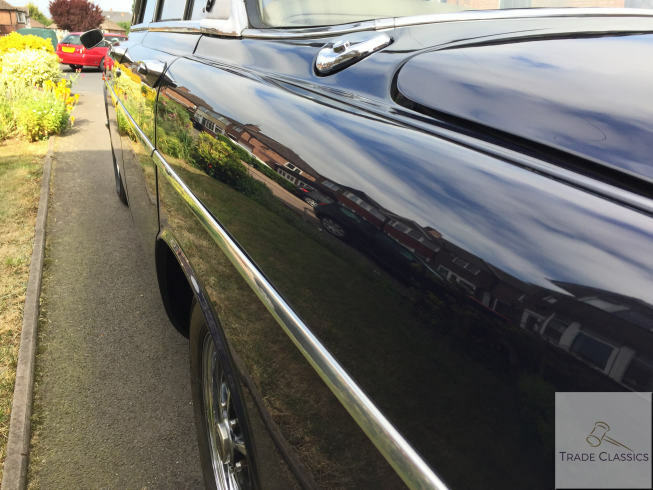 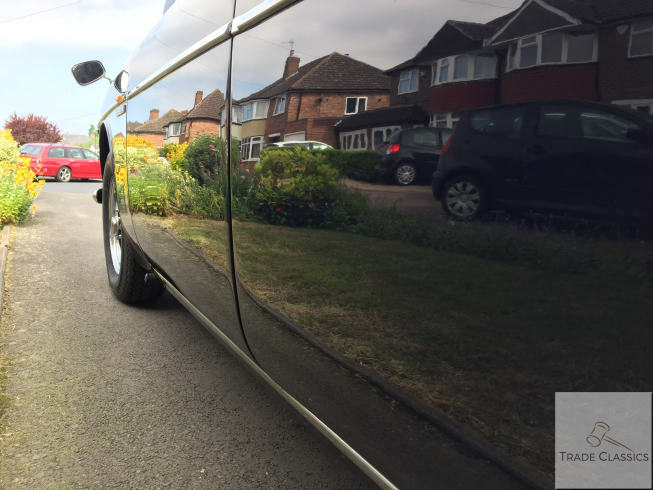 Peter has looked after the car by waxing and polishing and this shows in the clear reflective properties too. 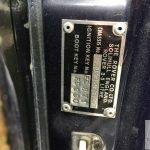 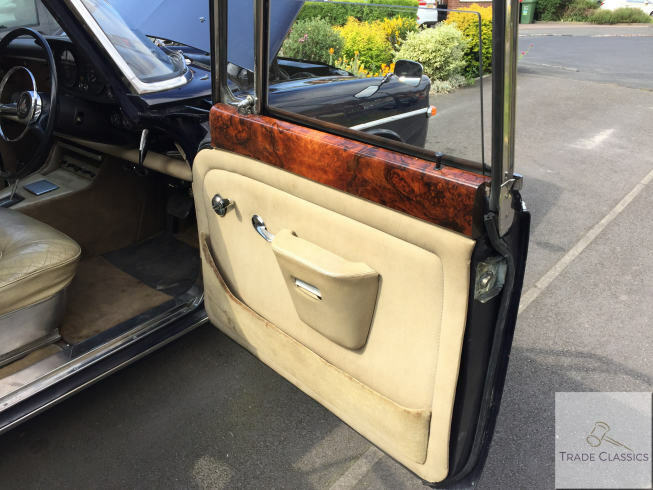 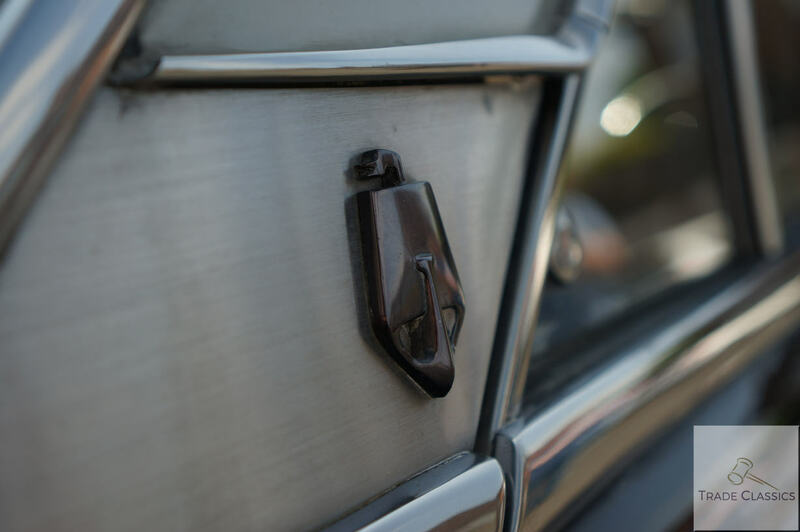 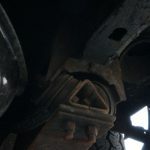 There are a couple of areas where in the past doors and boots have met on the inner bodywork and the paint has been removed, these are documented in the video review and are not visible externally. 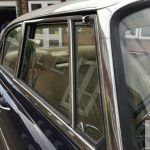 The glass, trim and brightwork all look in good condition. 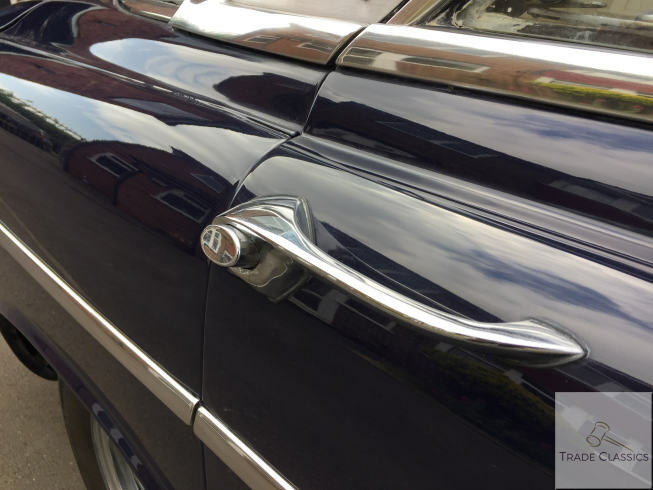 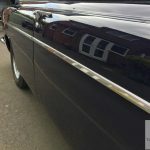 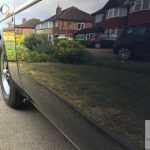 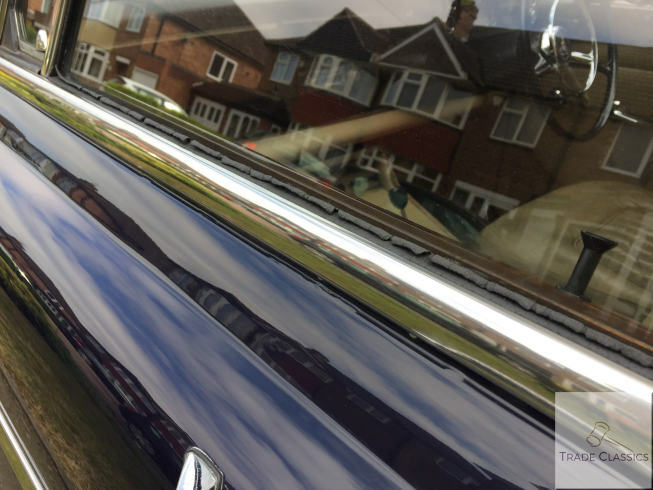 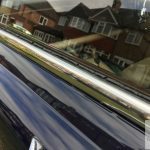 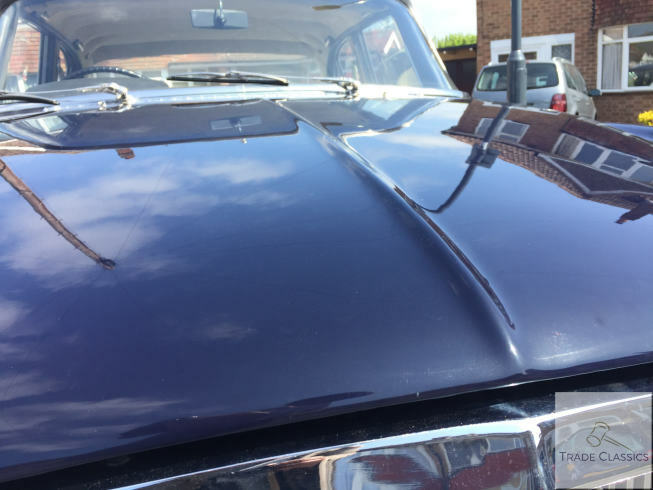 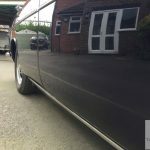 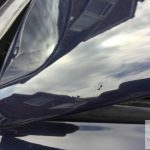 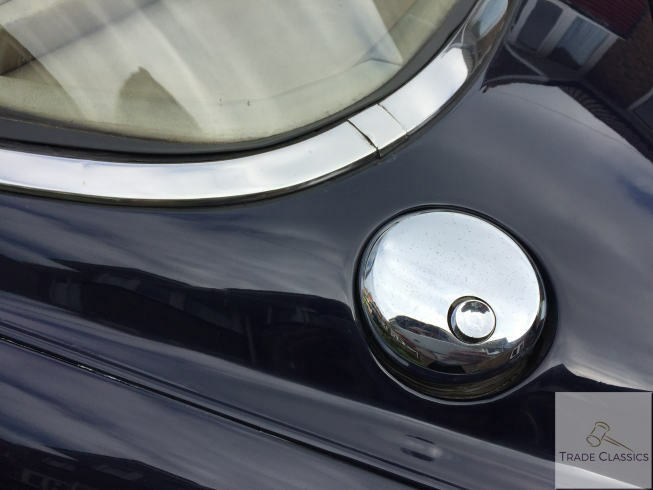 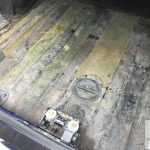 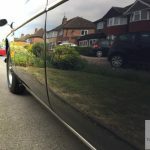 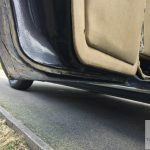 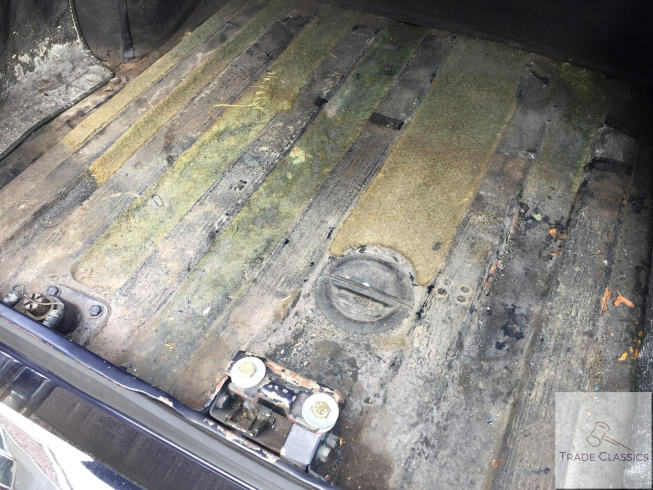 There are a number of areas on the car where it seems clear that rubber seals have been replaced and treated as they look very fresh. 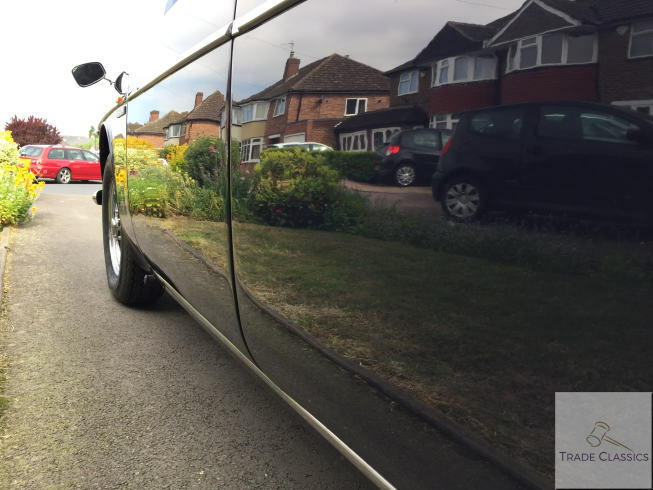 The brightwork across the car is particularly striking, and there is very little pitting present that you would expect. 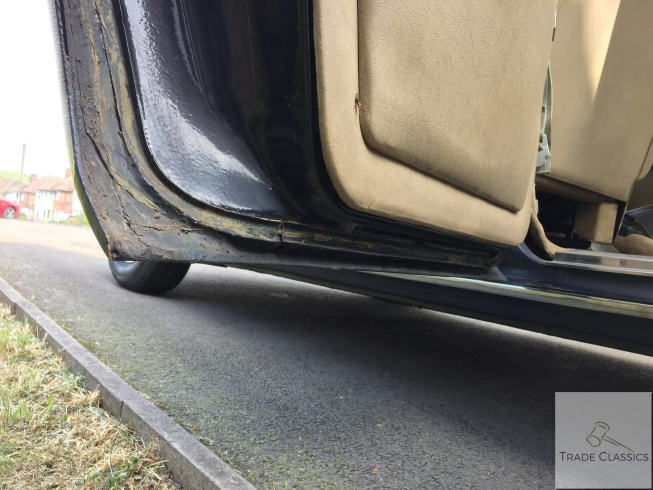 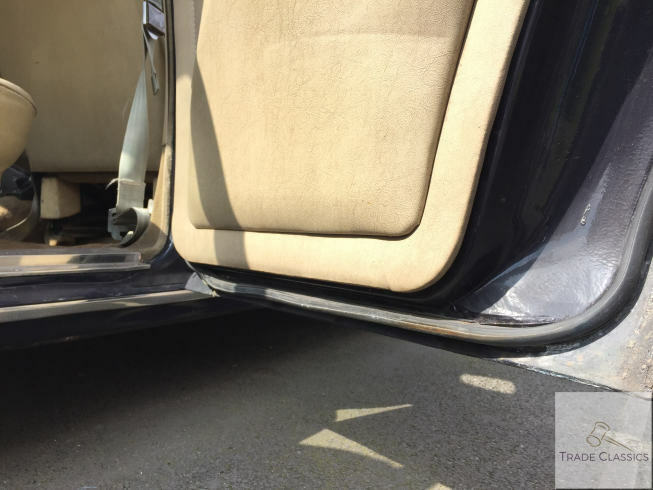 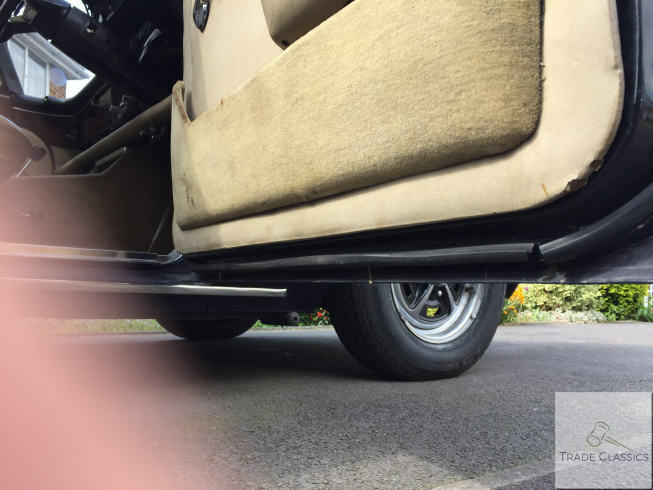 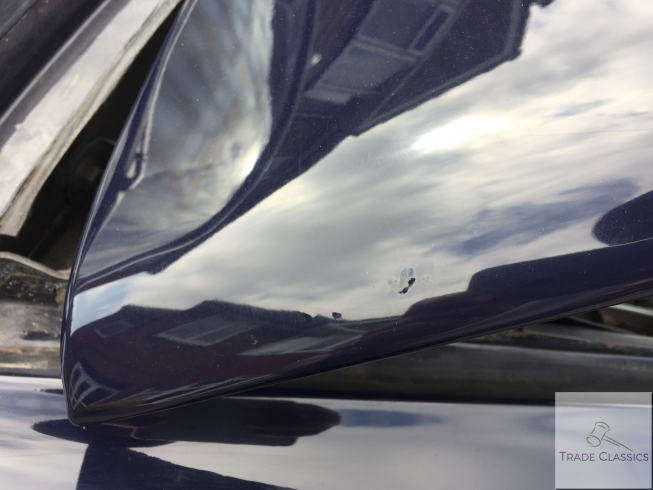 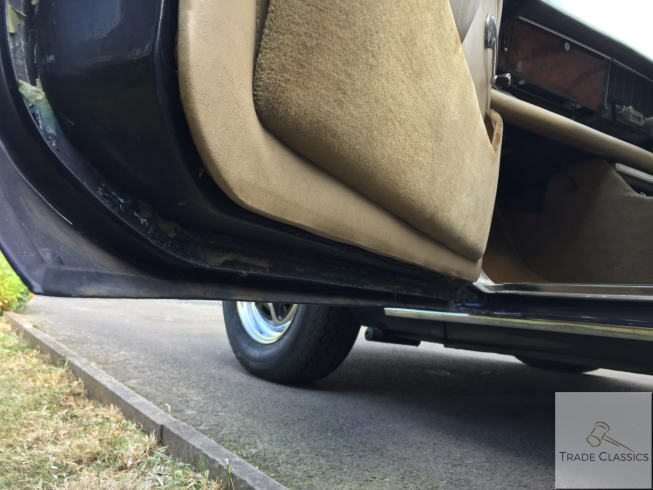 The nearside front passenger door window rubber has perished somewhat, and has visible cracking as documented in the video, all others appeared in good order. 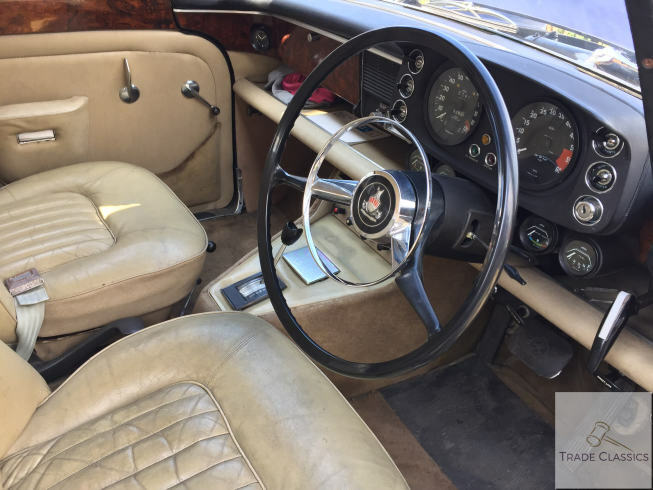 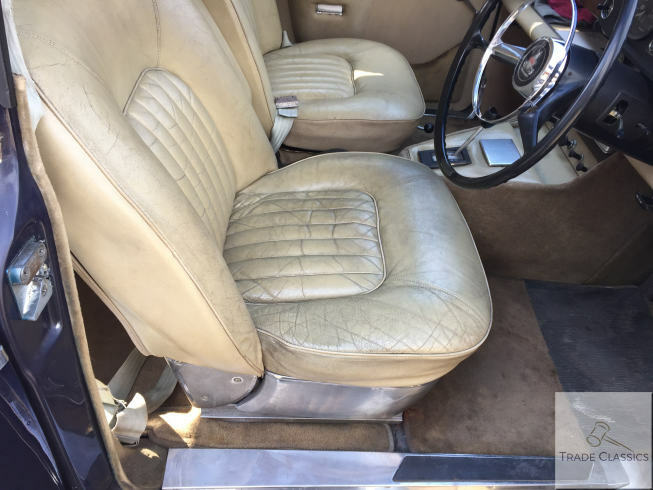 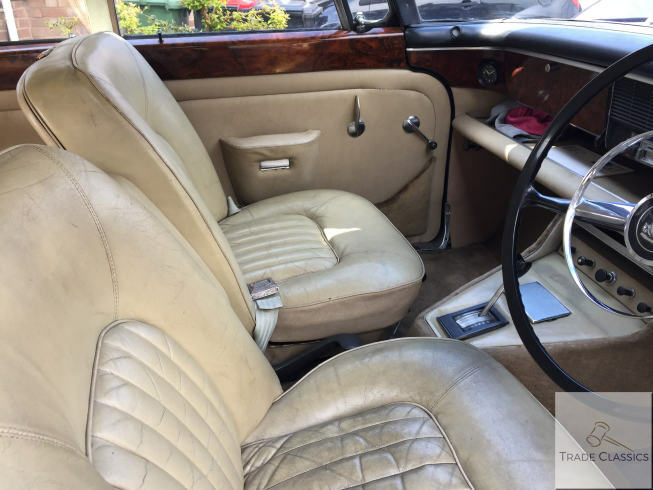 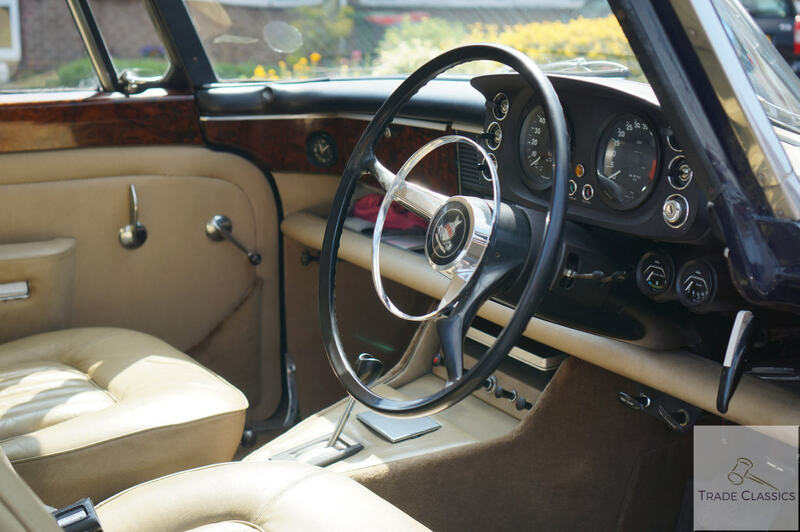 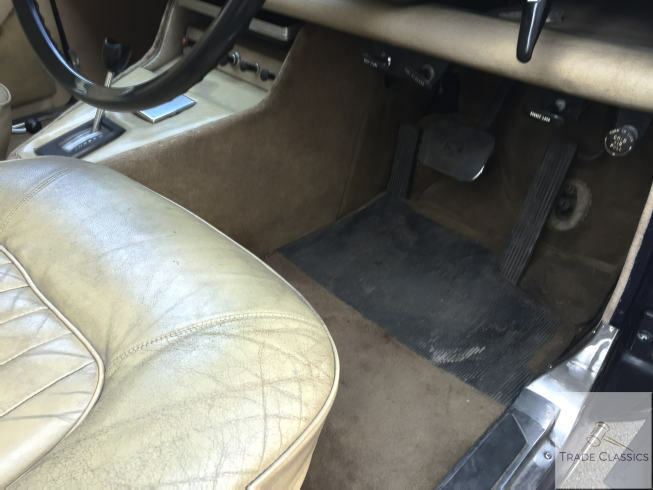 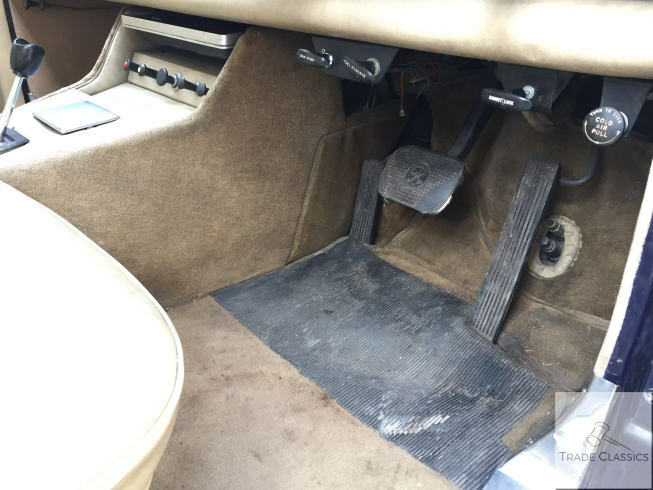 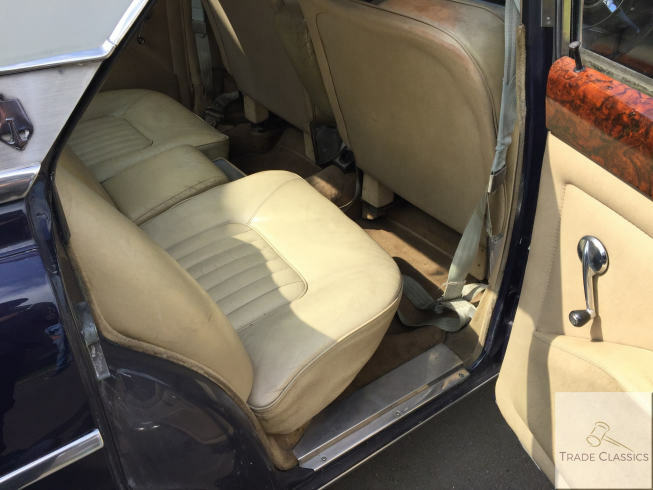 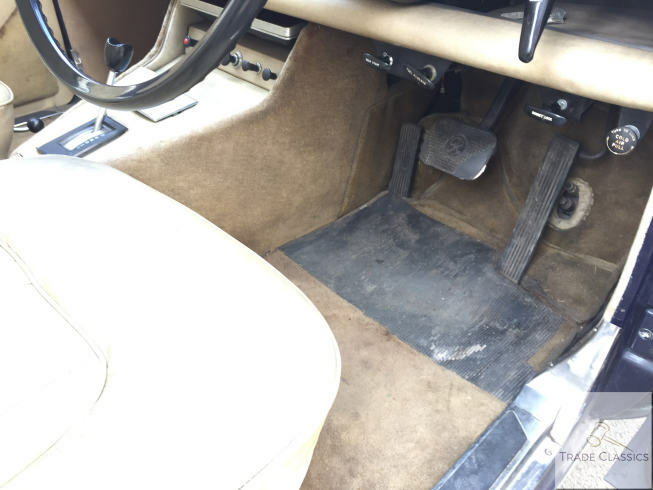 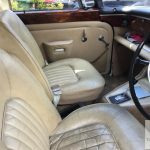 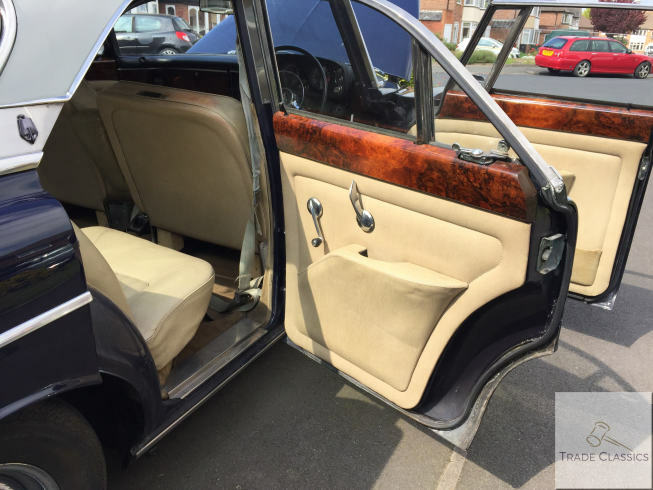 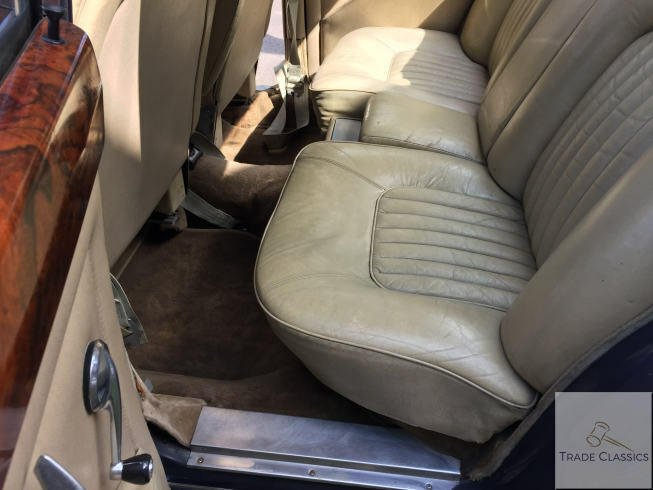 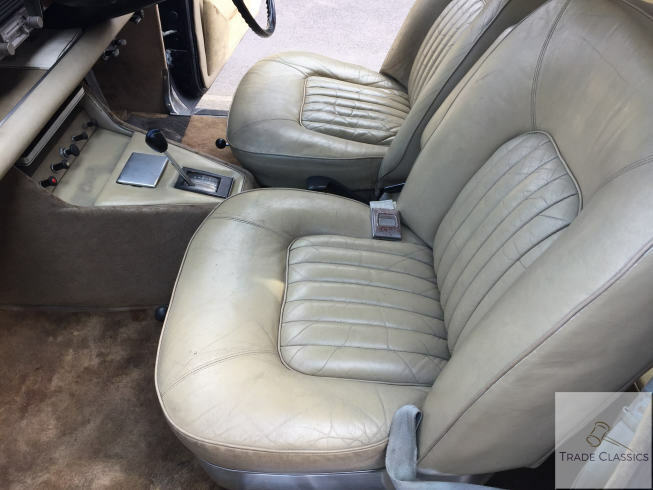 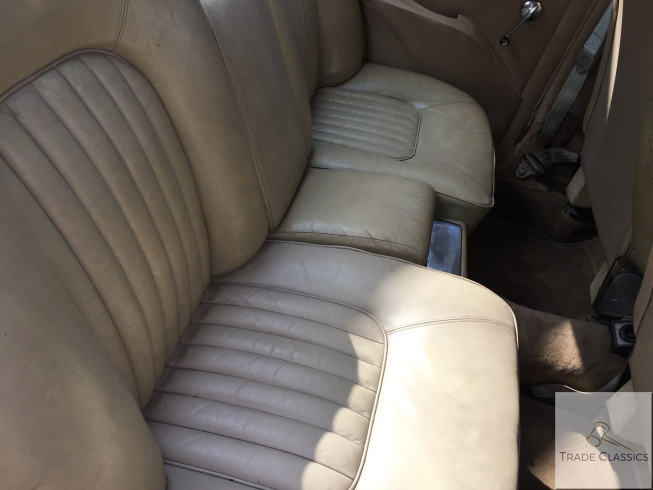 Interior on this car presents itself in original condition. 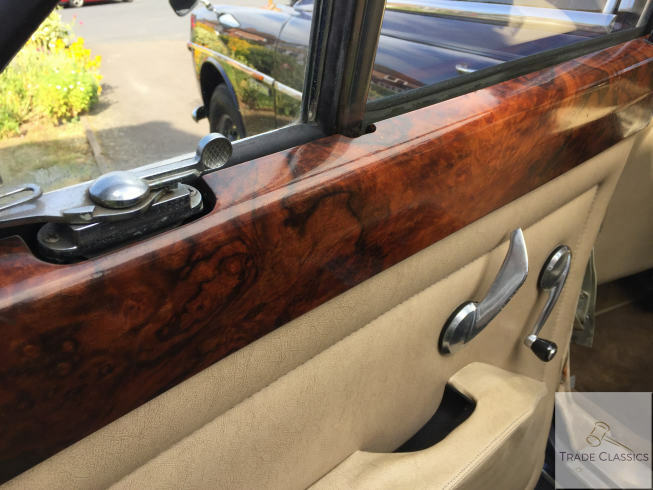 Unlike the exterior, the interior does not appear to have been restored, but it is still a very nice cabin and shows some nice patina. 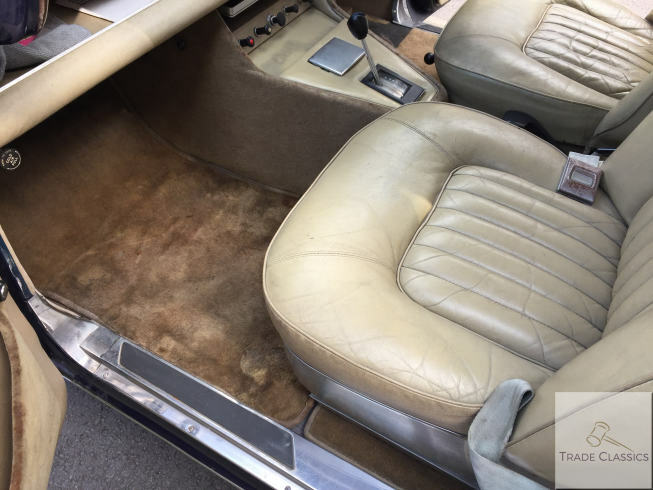 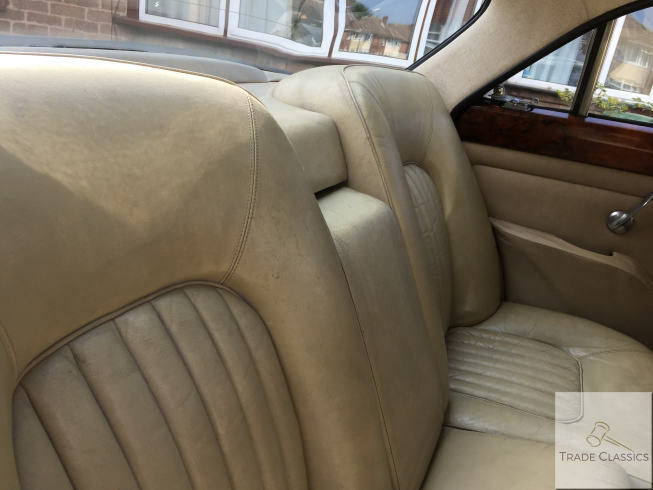 The seats show a nice patina across the car, but could be brought up to a better standard with the right treatment. 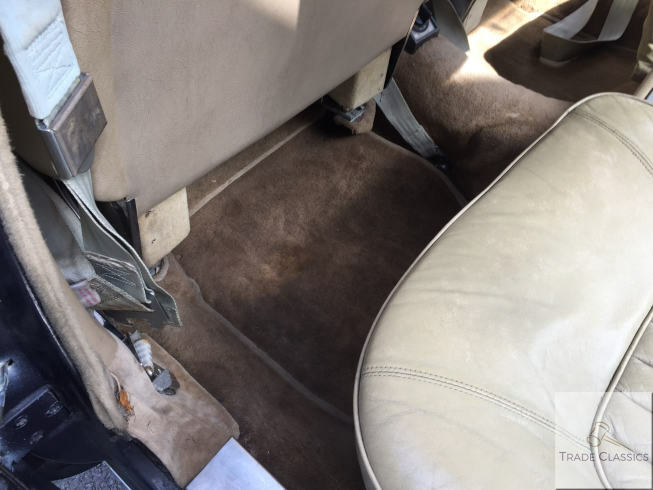 The seat bolsters and cushioning are all in good order. 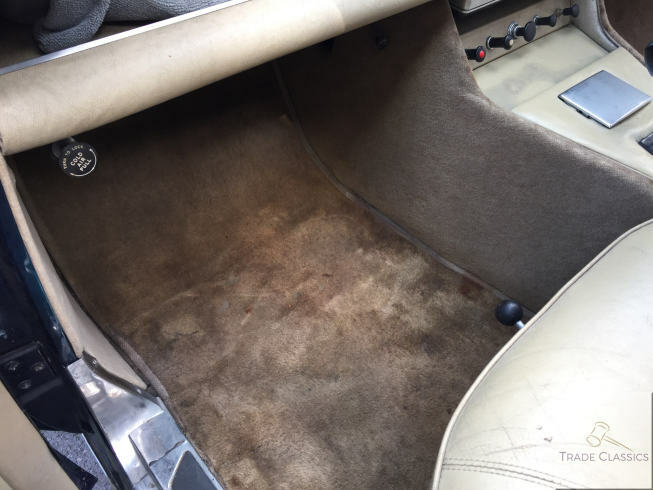 The carpets look original and a little tatty in certain areas where they have been caught. 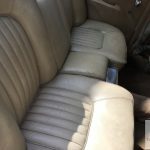 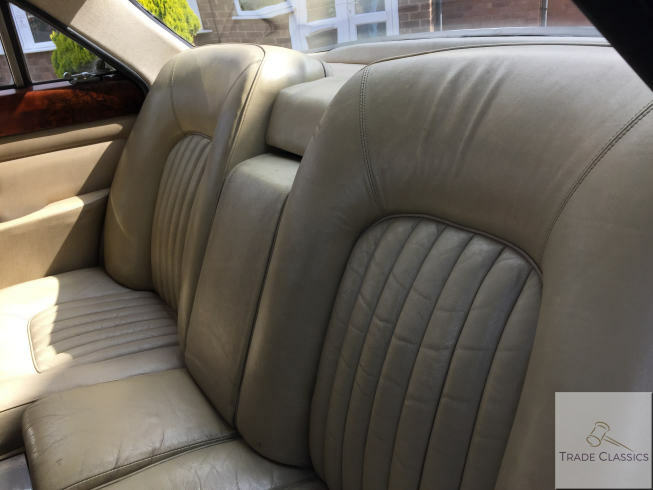 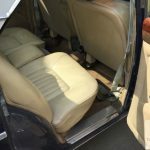 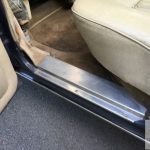 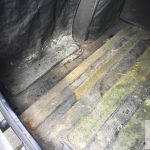 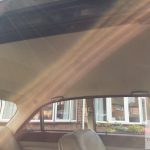 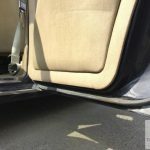 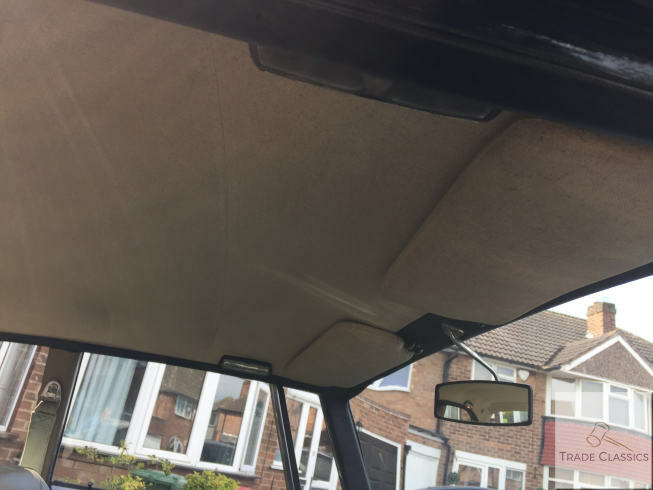 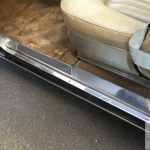 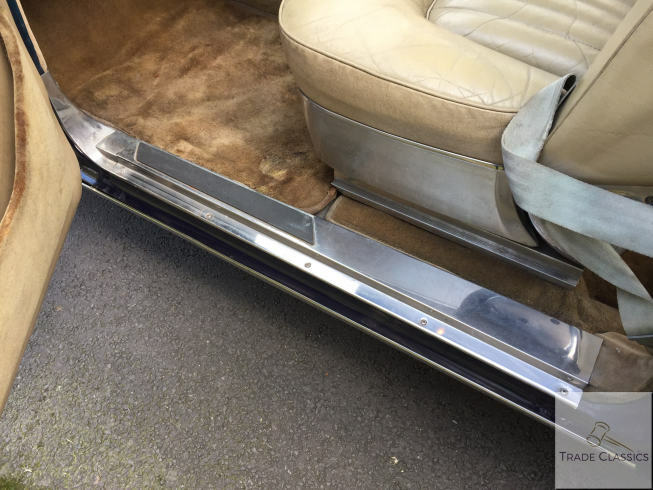 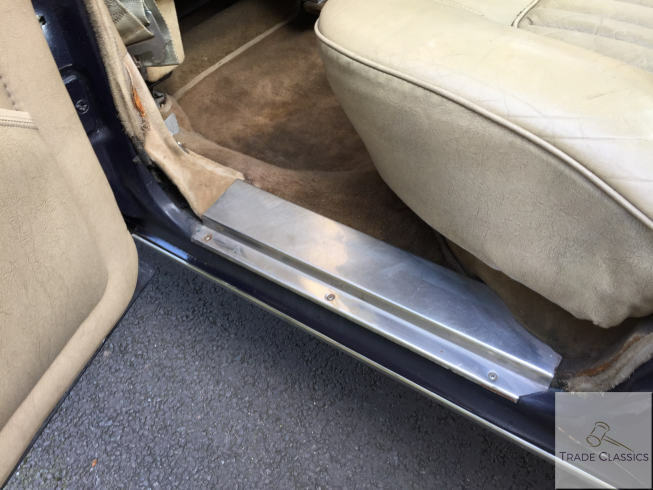 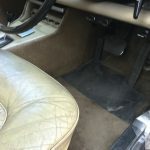 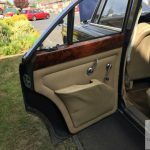 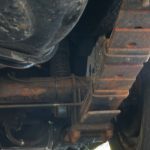 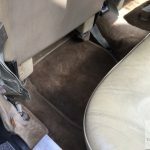 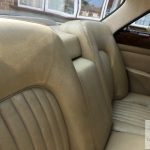 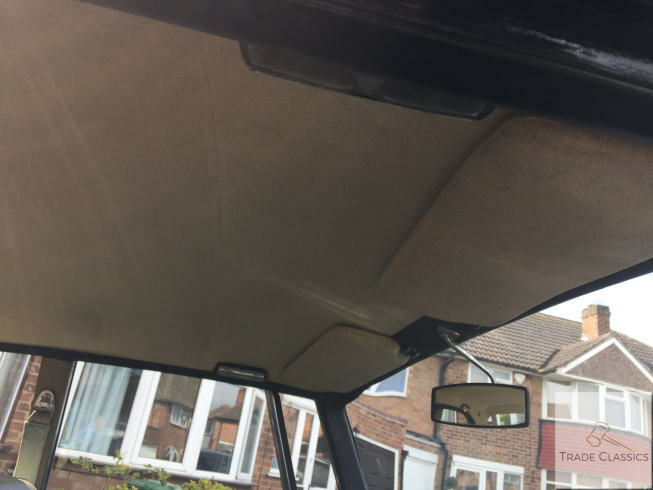 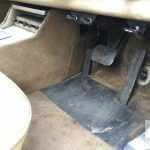 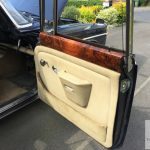 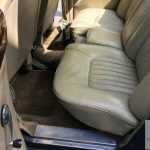 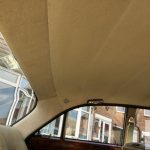 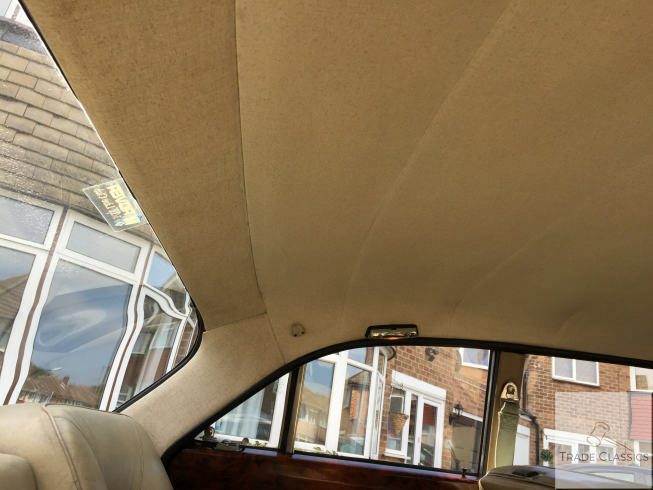 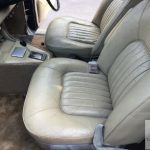 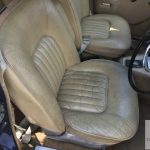 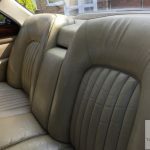 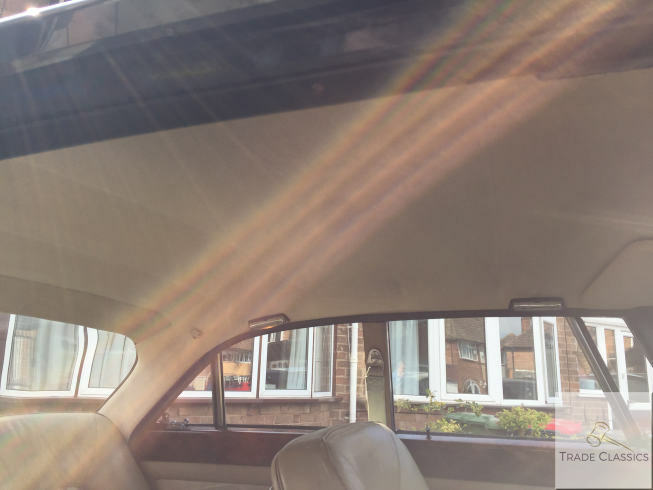 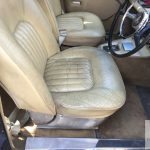 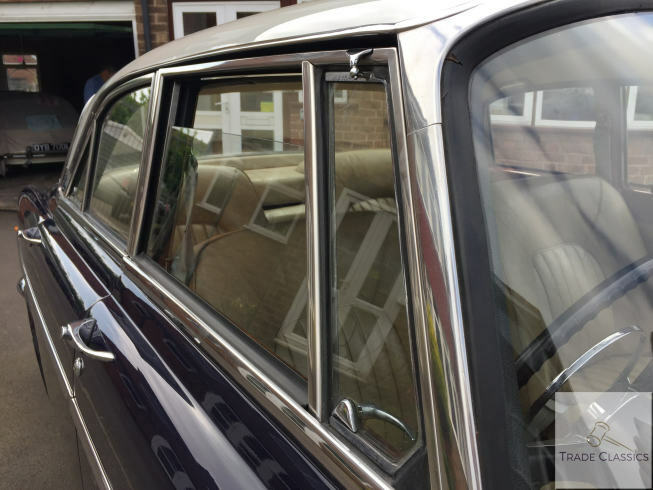 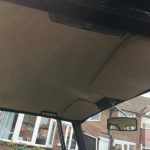 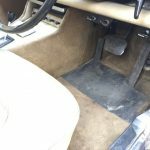 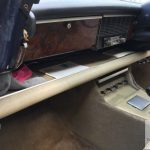 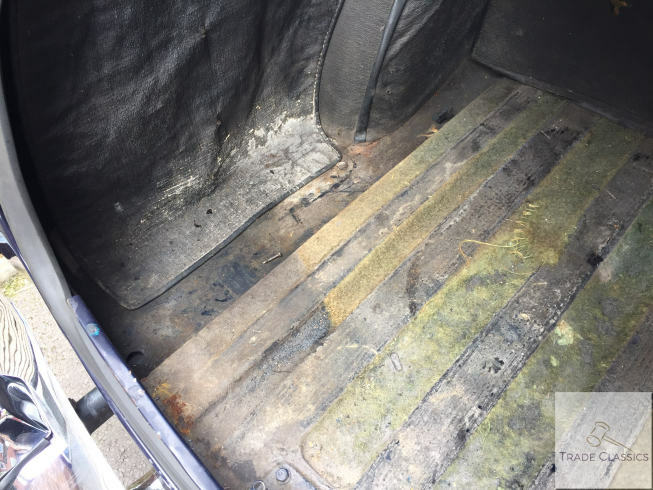 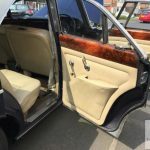 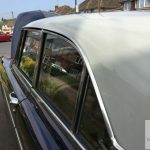 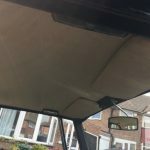 The front seat belts have covers attached to them which has worn over time, although the seatbelts themselves are in good order as expected with the car passing its MOT. 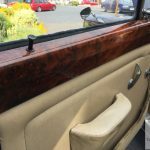 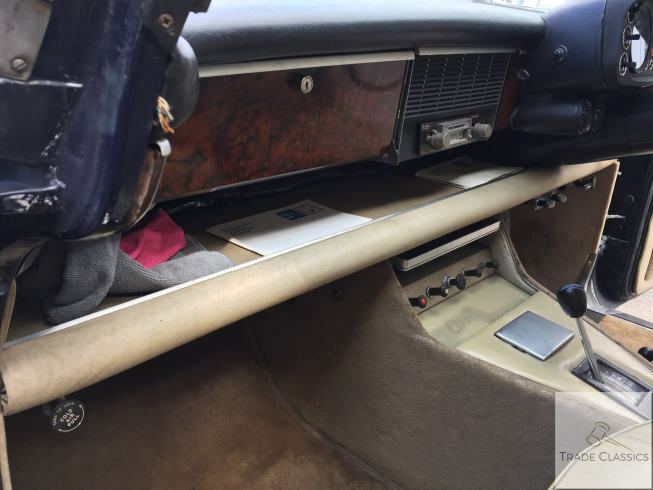 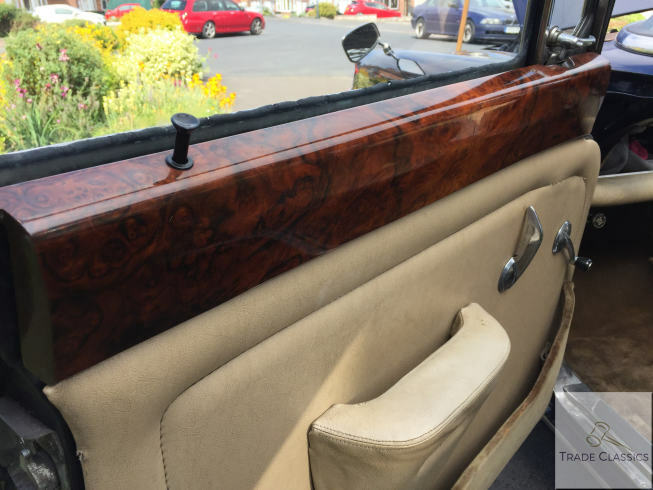 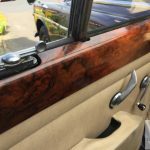 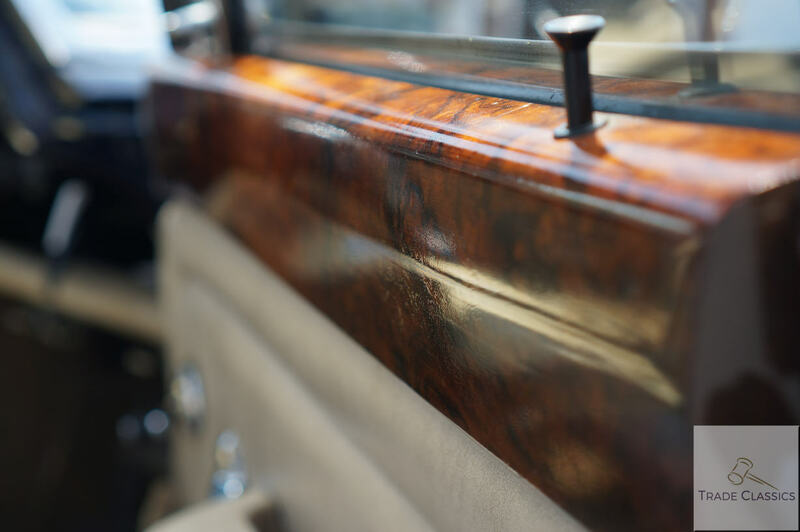 The dash and woodwork in the car looks very rich in colour. 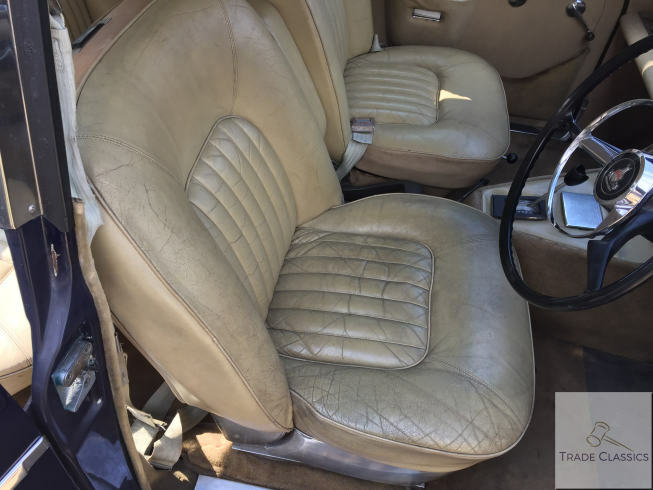 It has really held its own compared to the patina shown on the seats. 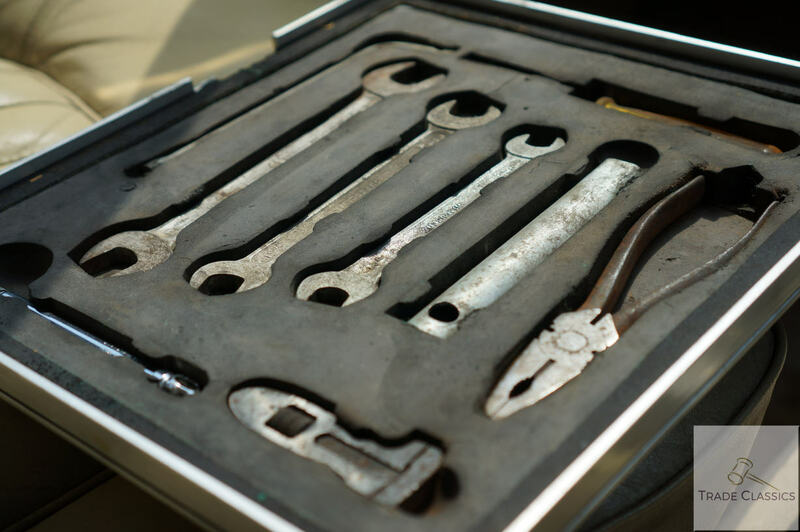 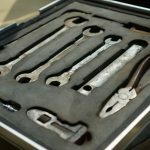 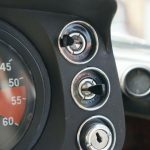 There is no cracking in the dash, and the car features a neat little tool kit which is accessible from a tray in front of the gear lever. 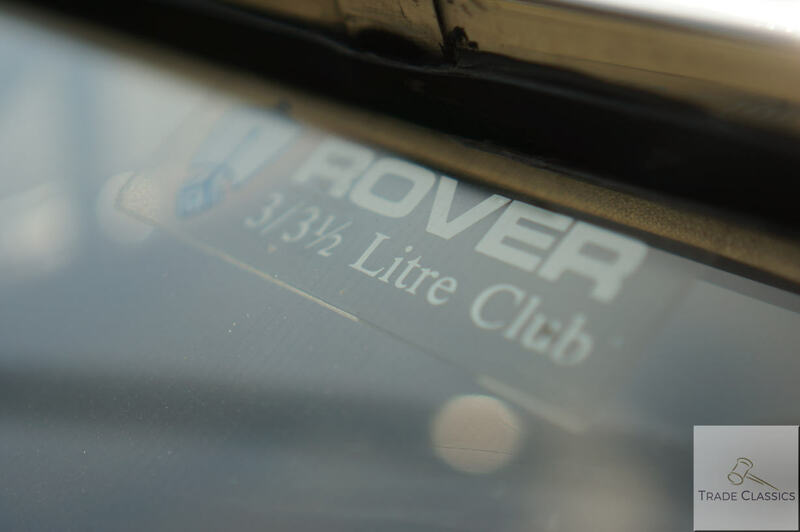 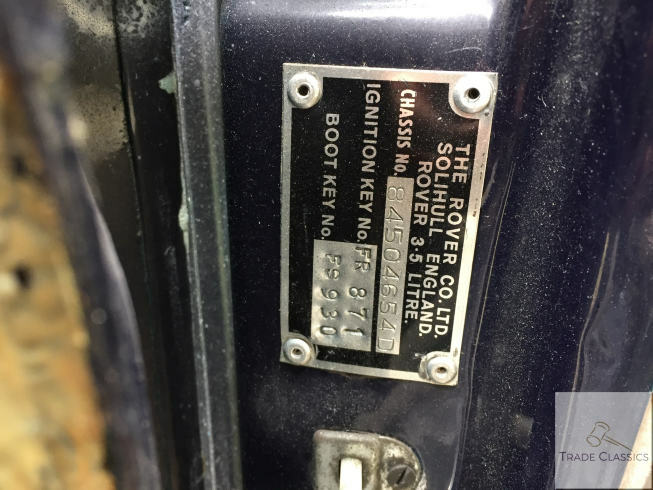 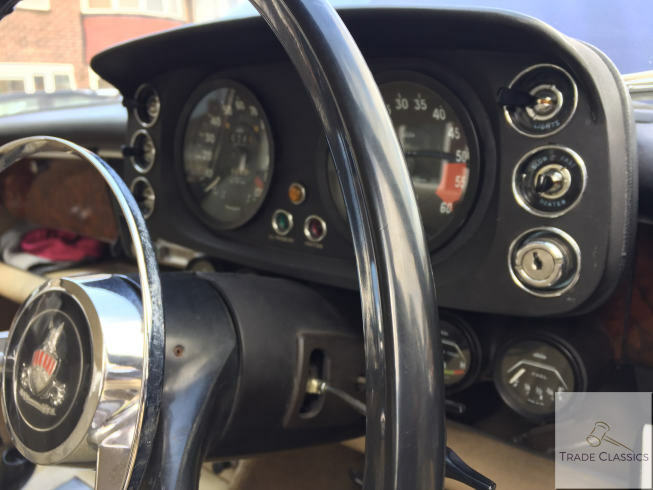 A lovely steering wheel wearing the Rover emblem with pride, and thin inner horn ring put you in control of the car. 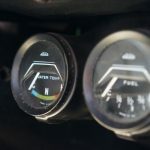 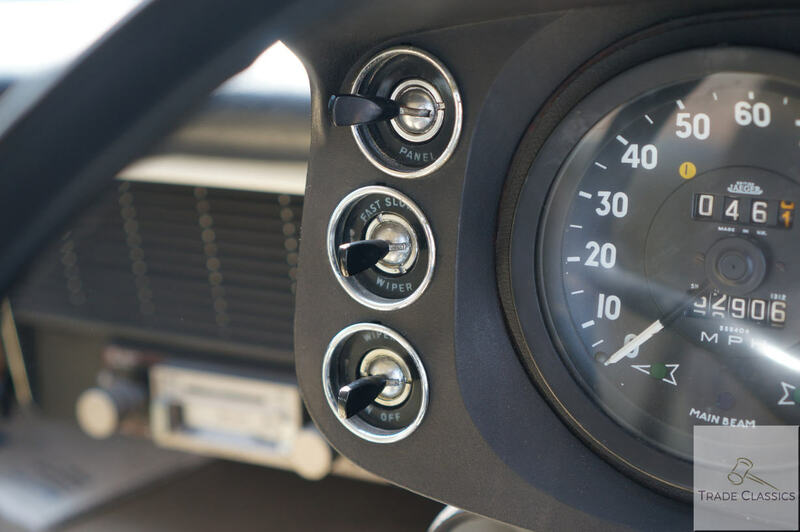 The automatic gearbox is controlled via the central console, and this presents itself in good order, with the gear selection indicator clearly visible. 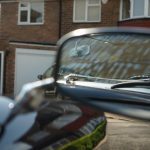 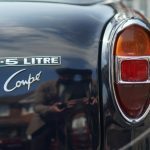 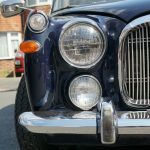 I went on a short drive with Peter around the local area to observe how the car handled from a passenger perspective. 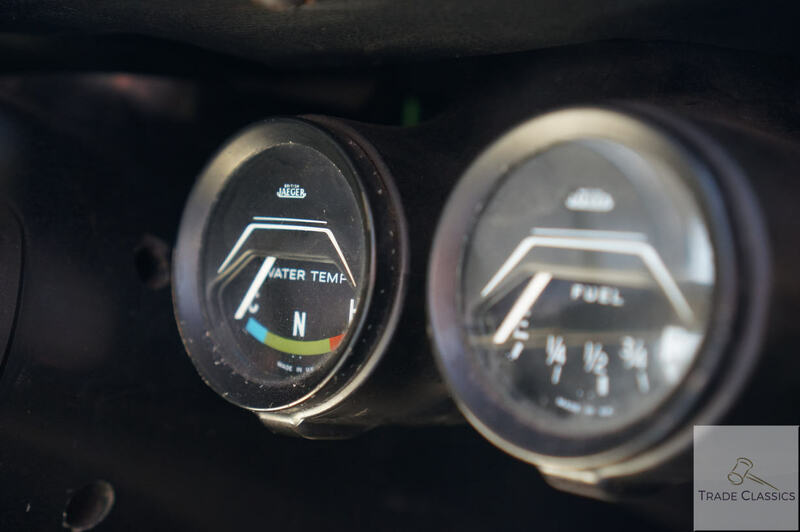 You can see the video along with a cold start in the media provided, and the detail below. 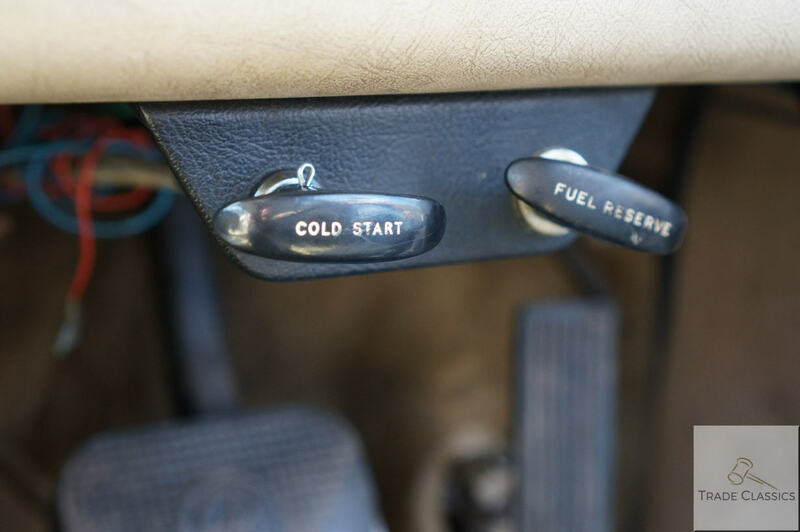 The car started first time on all occasions I was present, and idled smoothly. 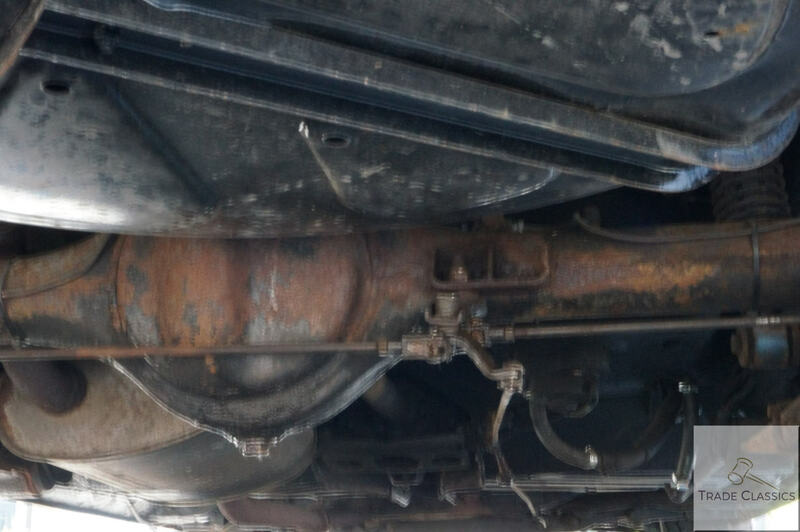 There was no smoke to worry about coming from the exhaust on start up or after a run. 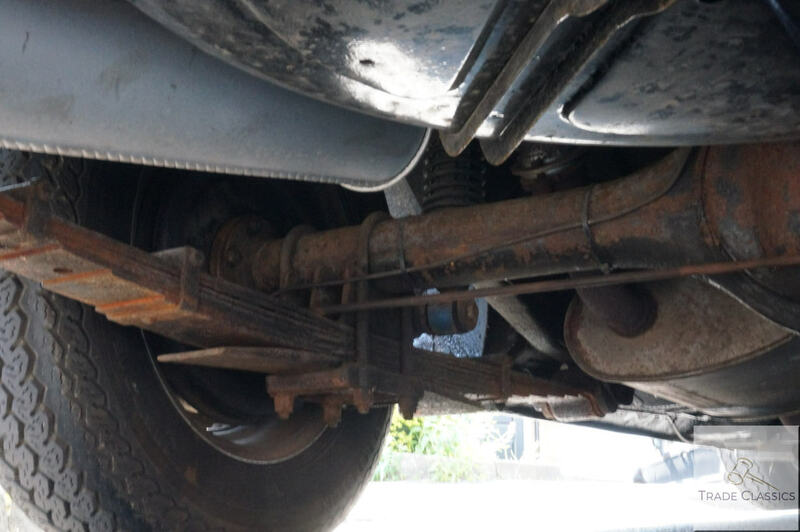 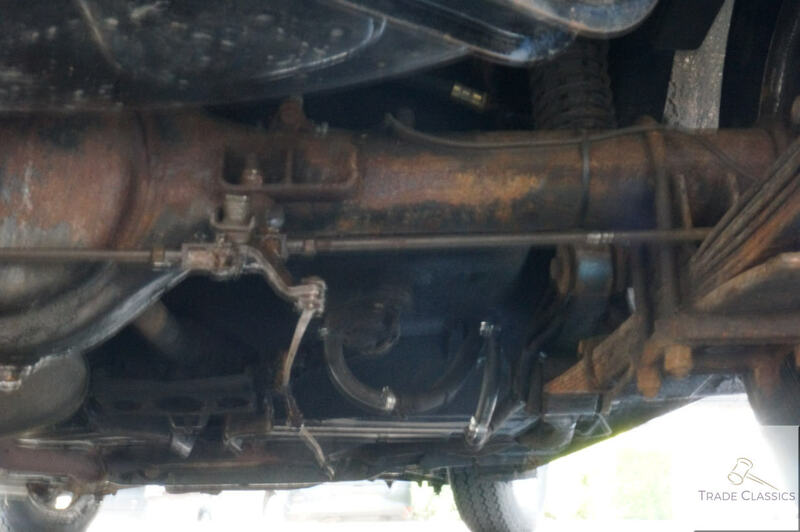 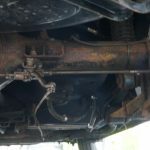 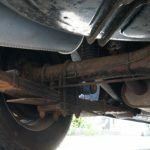 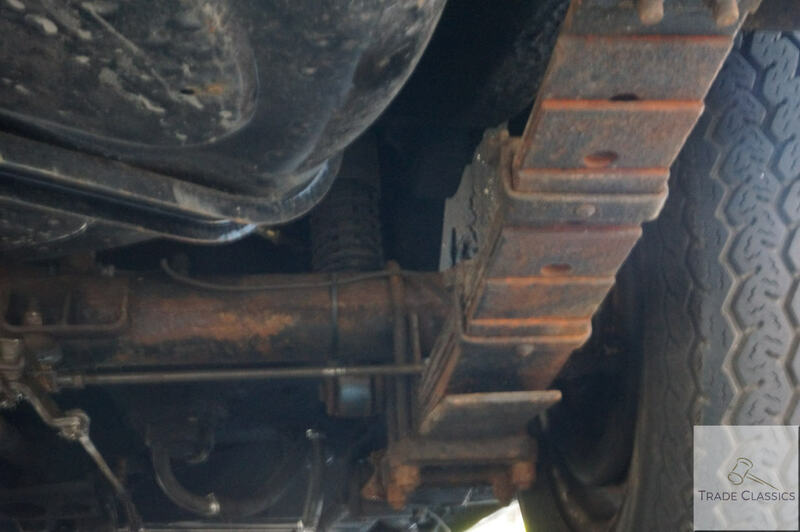 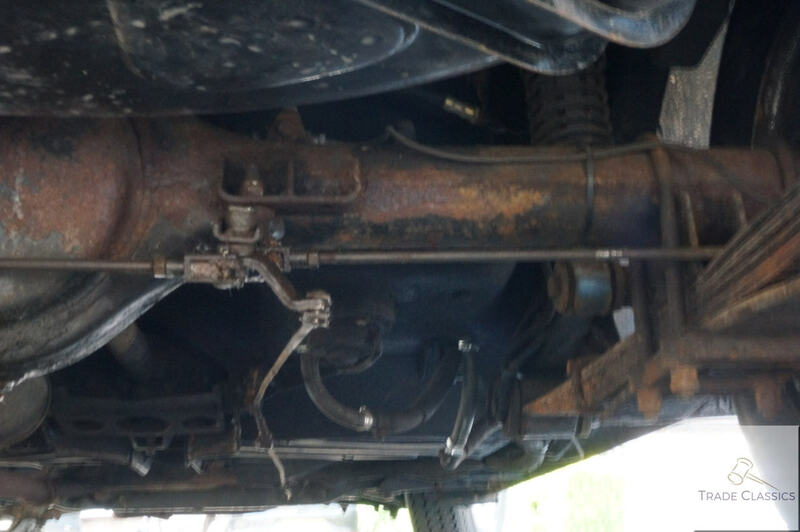 The car went through its gears without issue, including reverse. 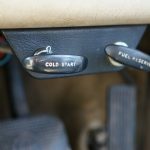 As mentioned in the video, when cold the change of 1st gear up to 2nd had a noticeable jump, as you would expect for a car of this age. 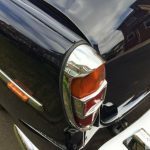 The short run took us through the village which included a number of speed bumps. 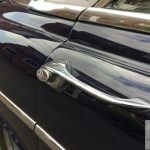 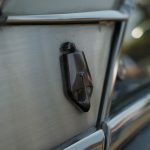 The car handled these well and no knocks or rattles were observed. 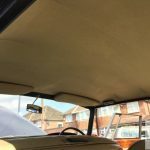 As described and detailed in the video the ride was comfortable both through the town and on a dual carriageway at speed. 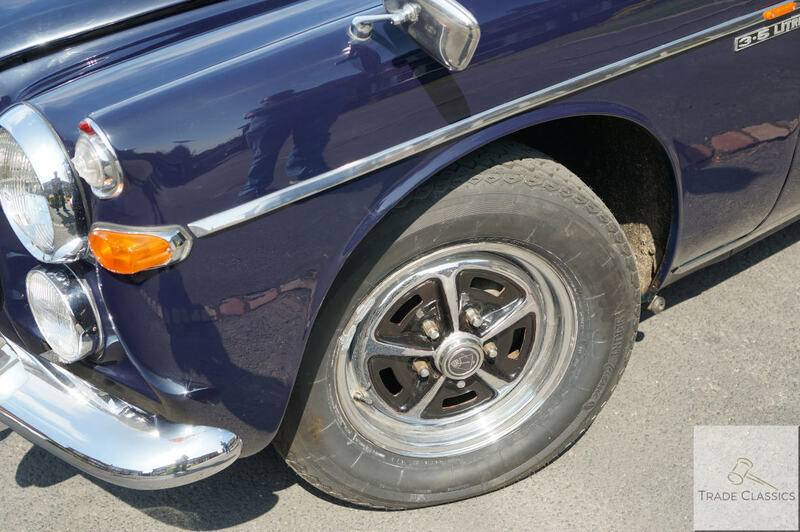 Both through the village and on the fast road at speed, the car pulled well along with going through its gears without issue on the run. 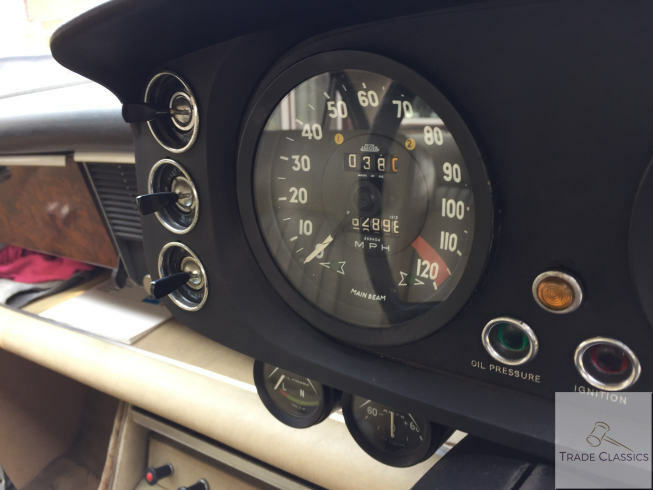 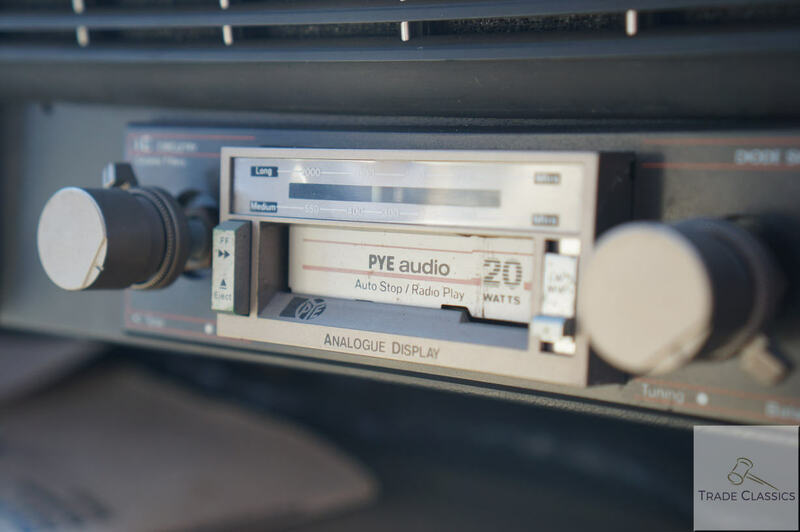 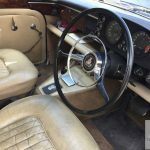 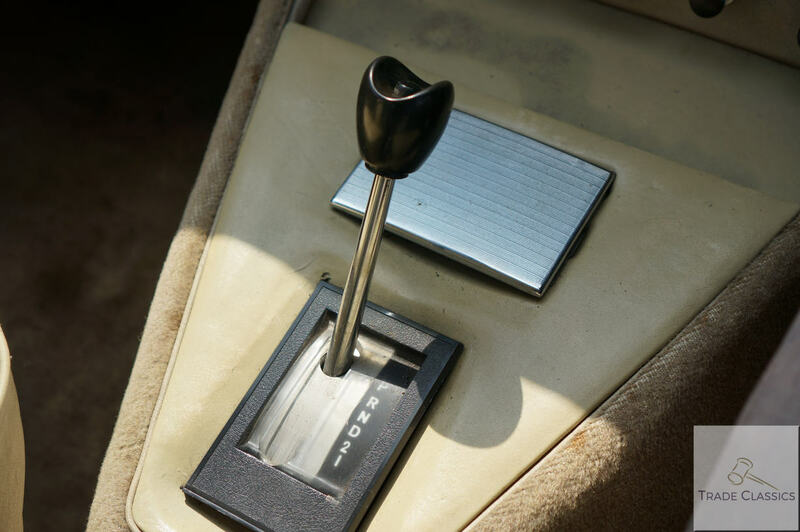 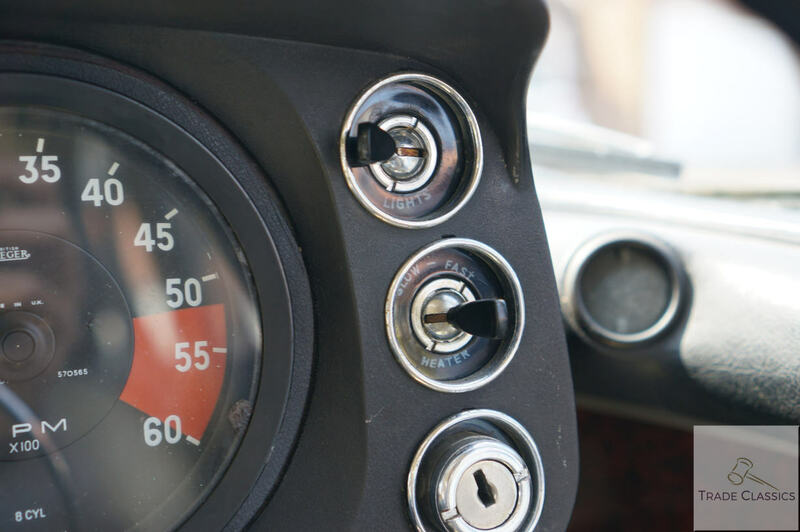 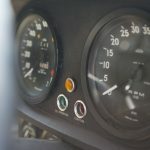 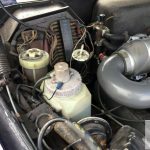 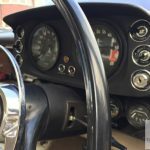 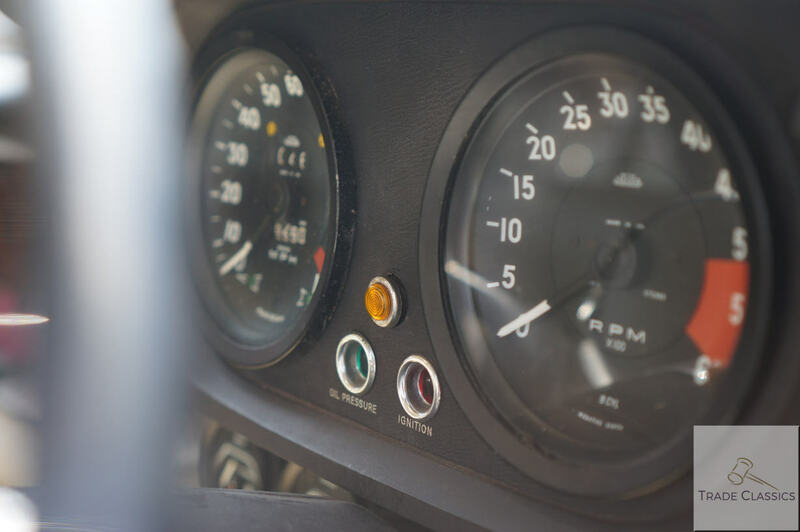 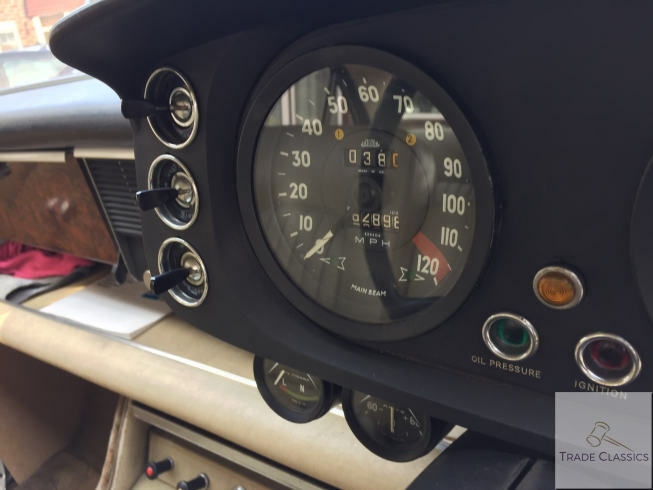 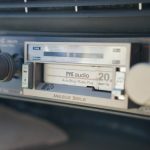 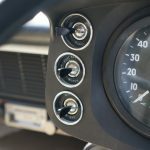 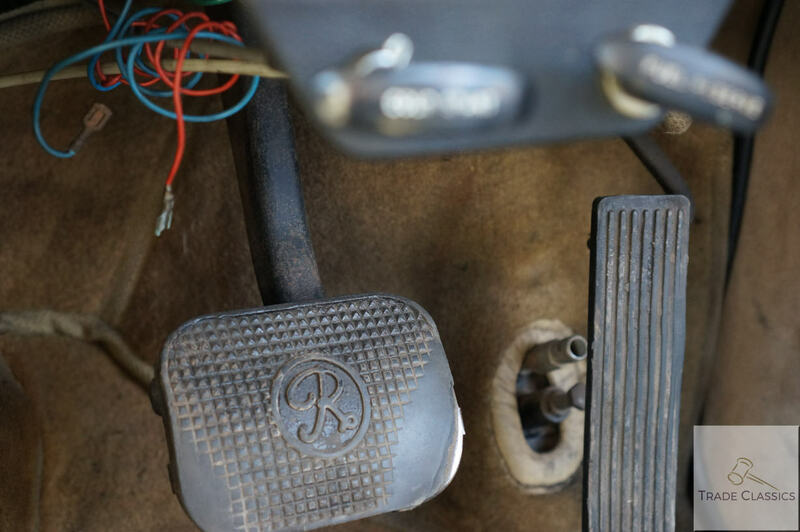 Peter has reported that everything works as it should do, although he has never tried to use the period radio that is present in the car, preferring to listen the sound of the V8 in the cosseted environment of the cabin. 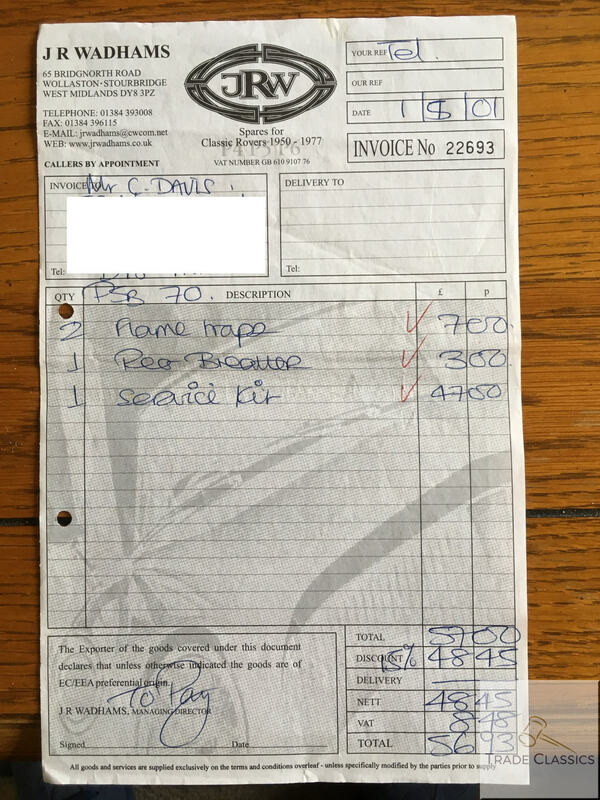 Peter has the receipts of the work he has carried out in his stewardship, and some from the previous owner. 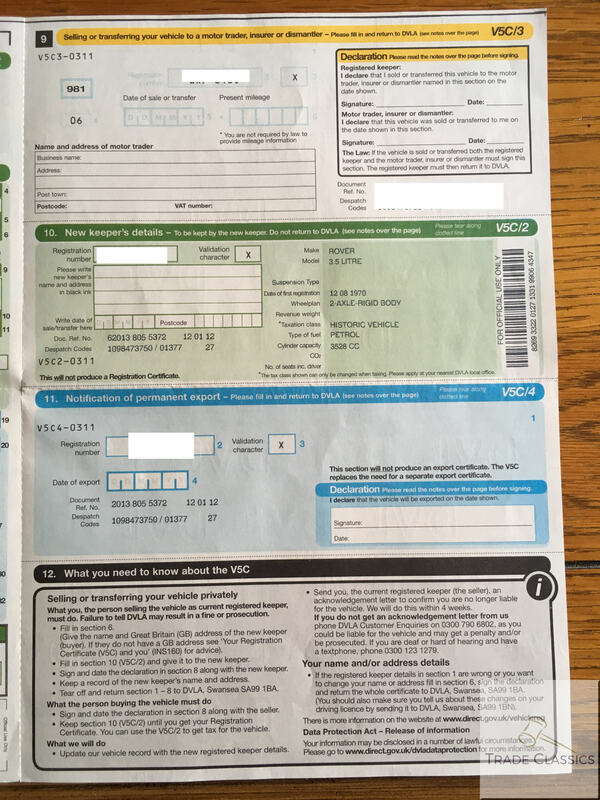 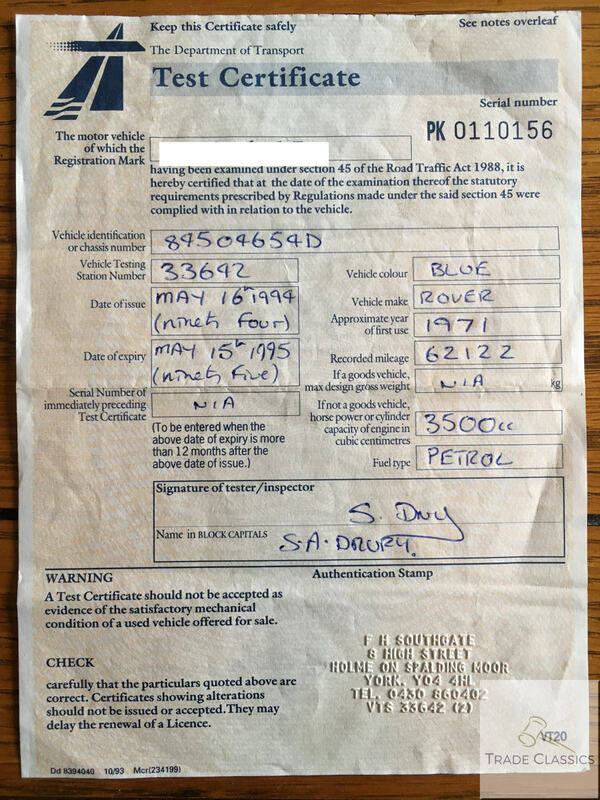 These have been included in the media, along with the MOT’s that are available. 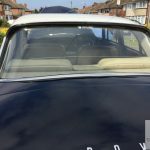 The car is showing 62,898 as of 23.05.2018. 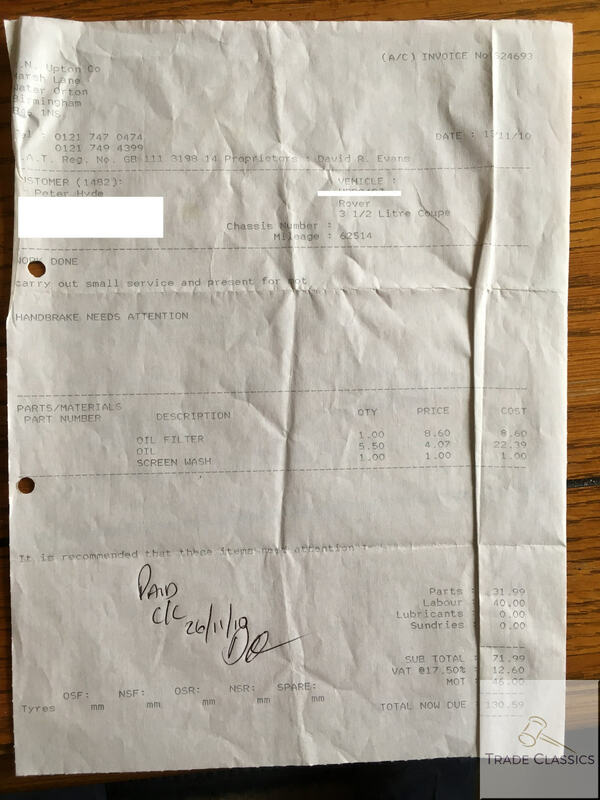 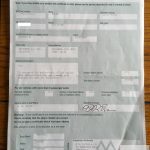 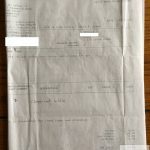 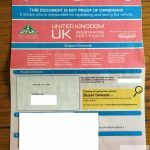 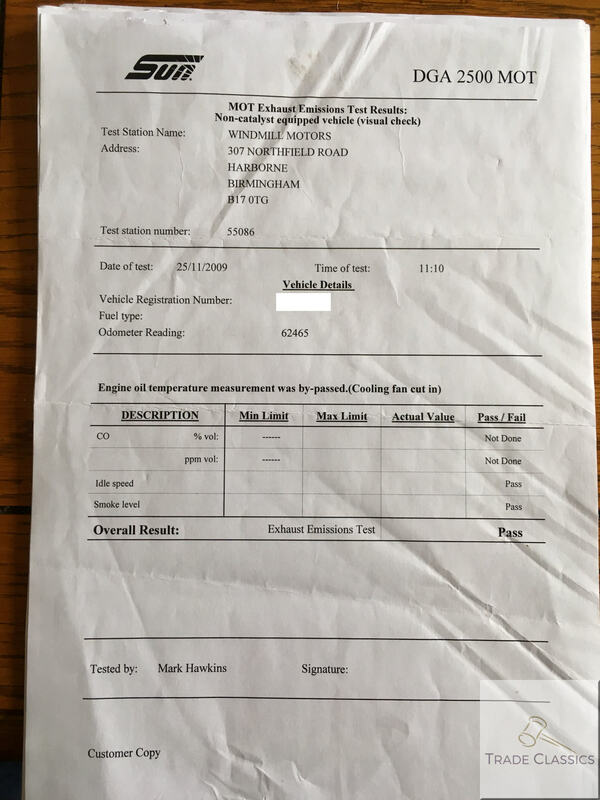 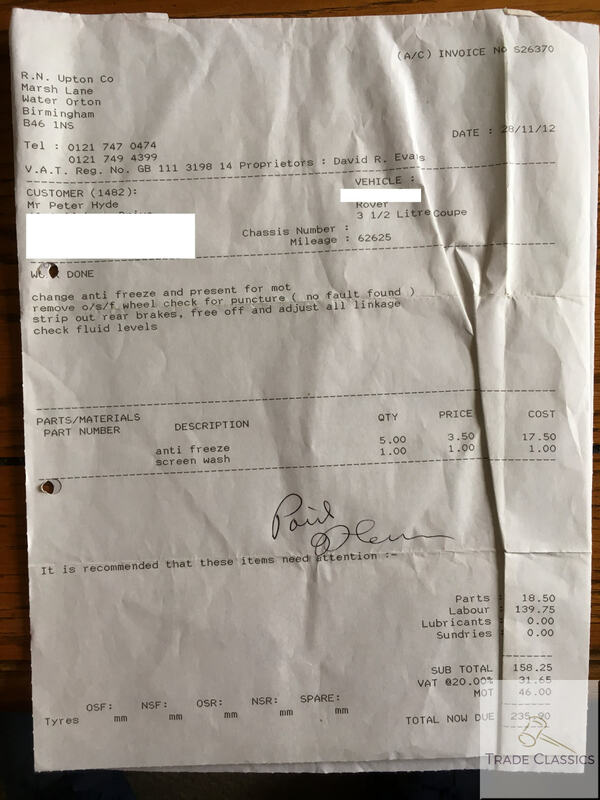 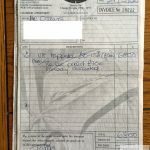 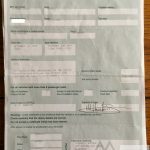 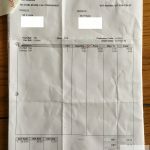 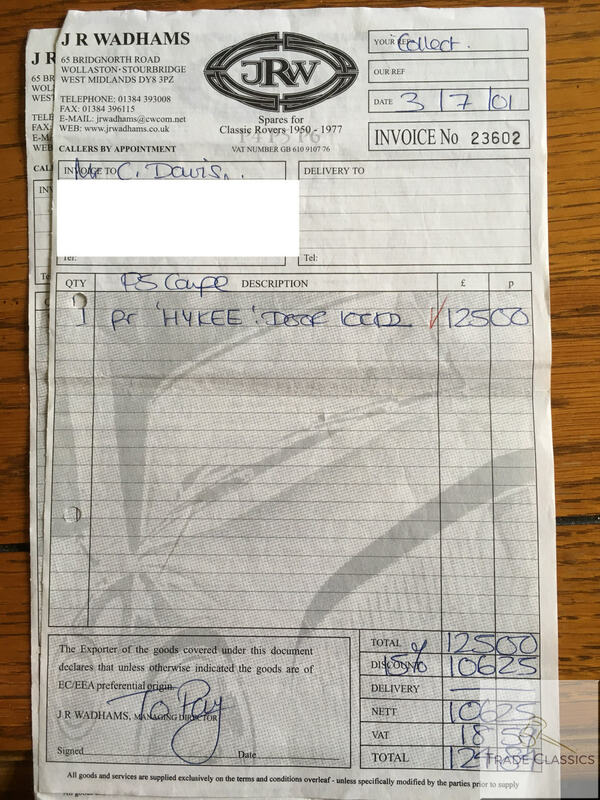 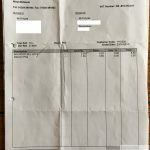 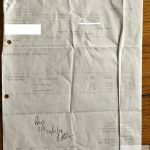 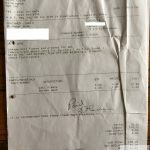 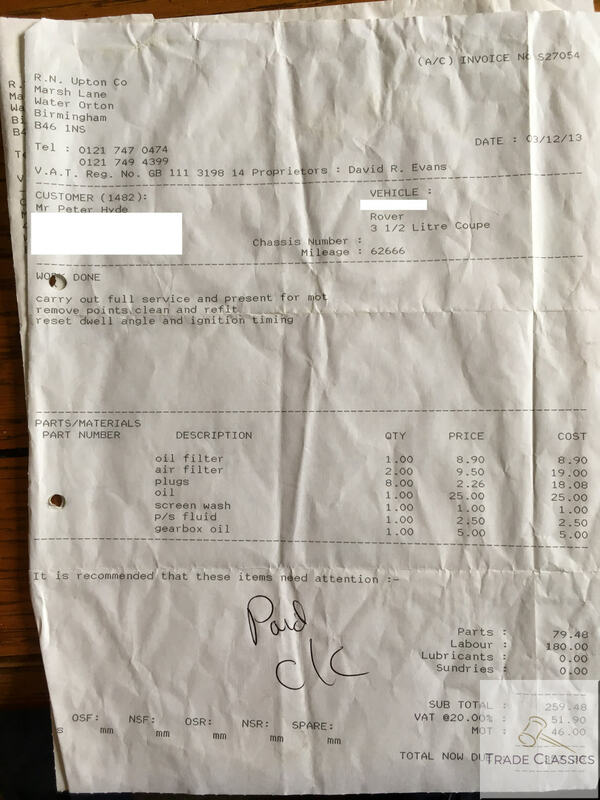 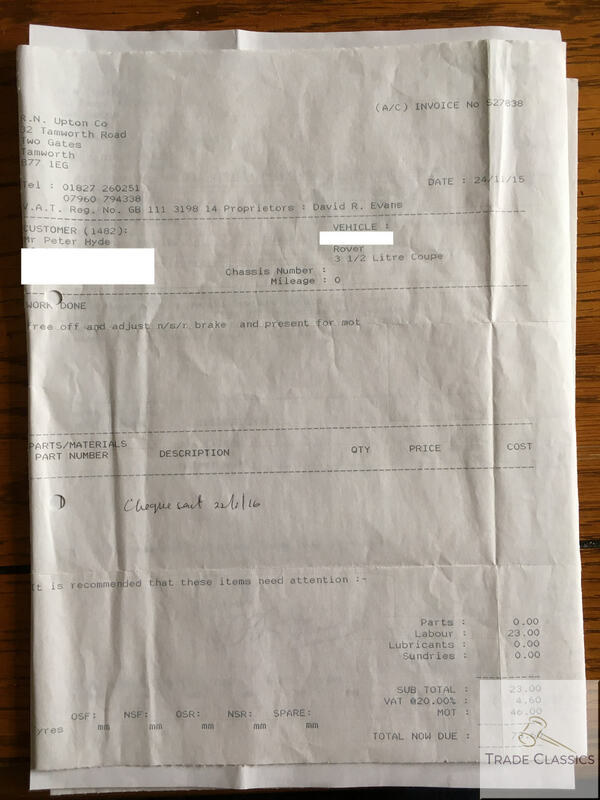 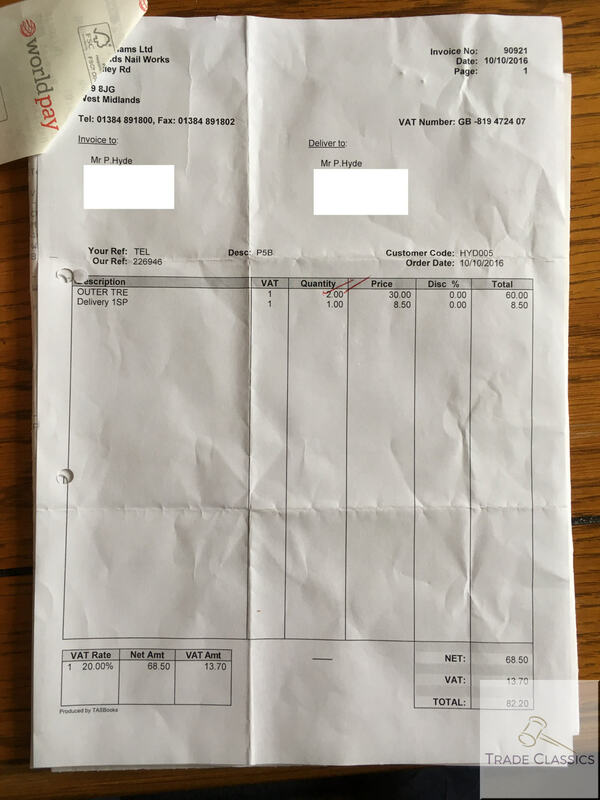 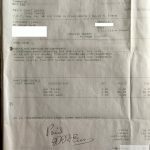 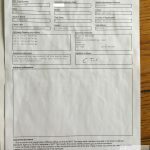 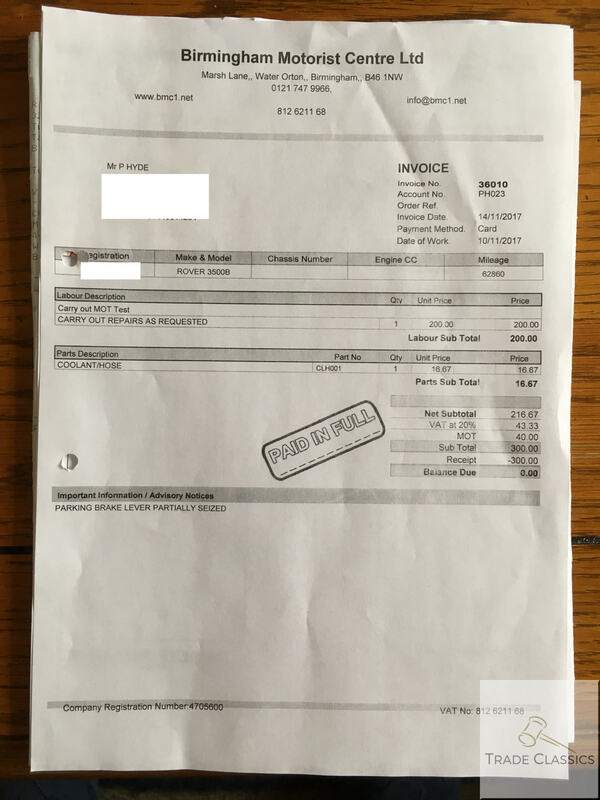 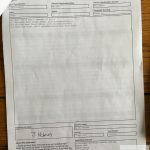 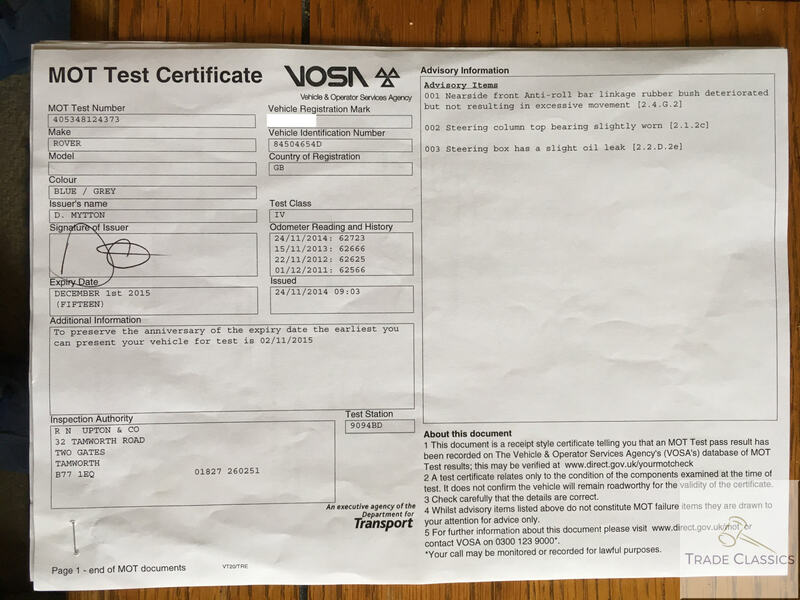 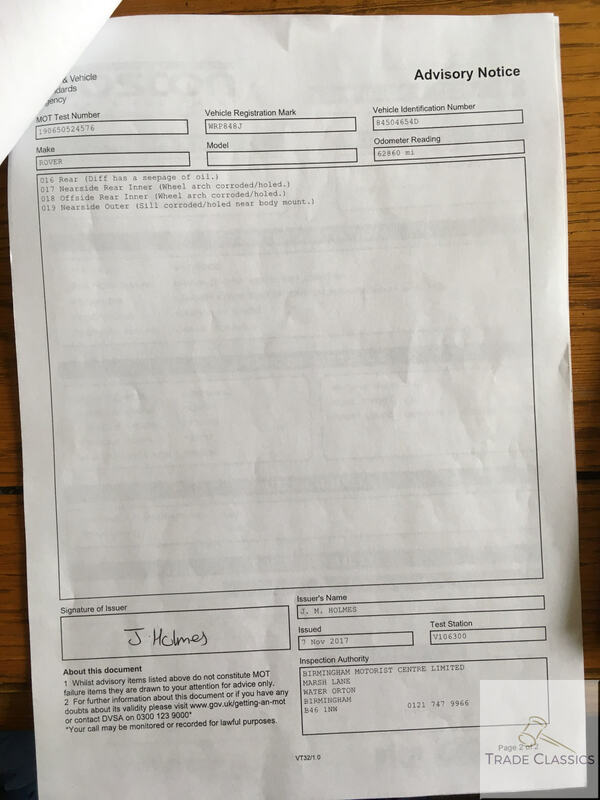 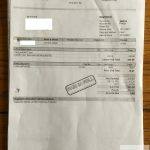 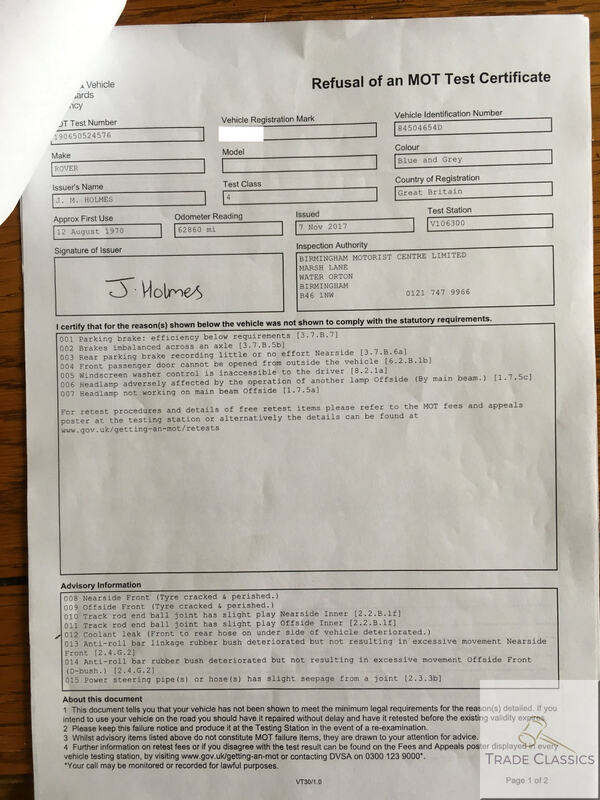 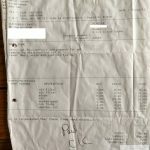 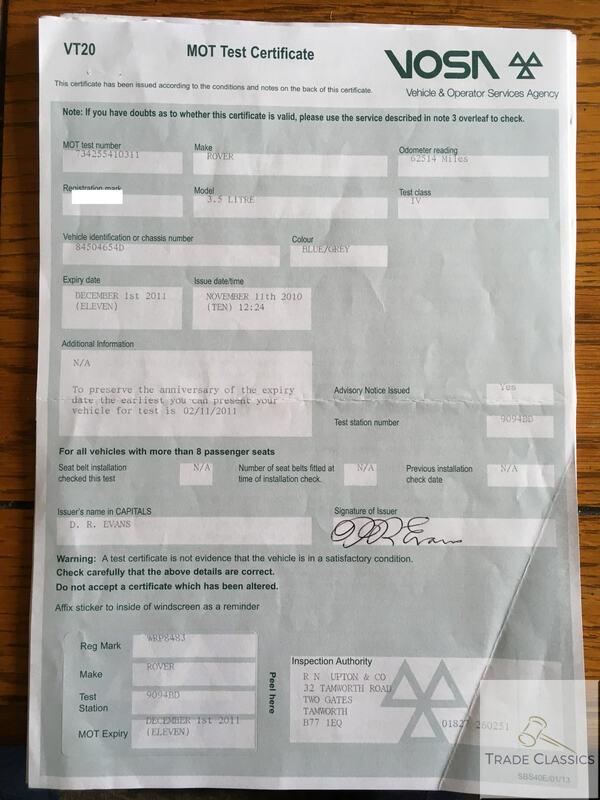 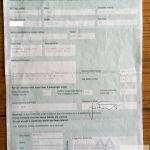 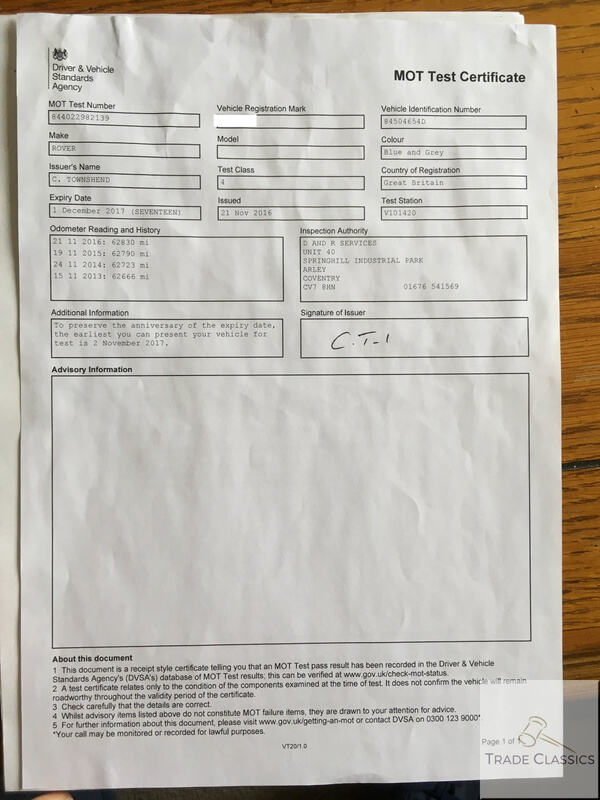 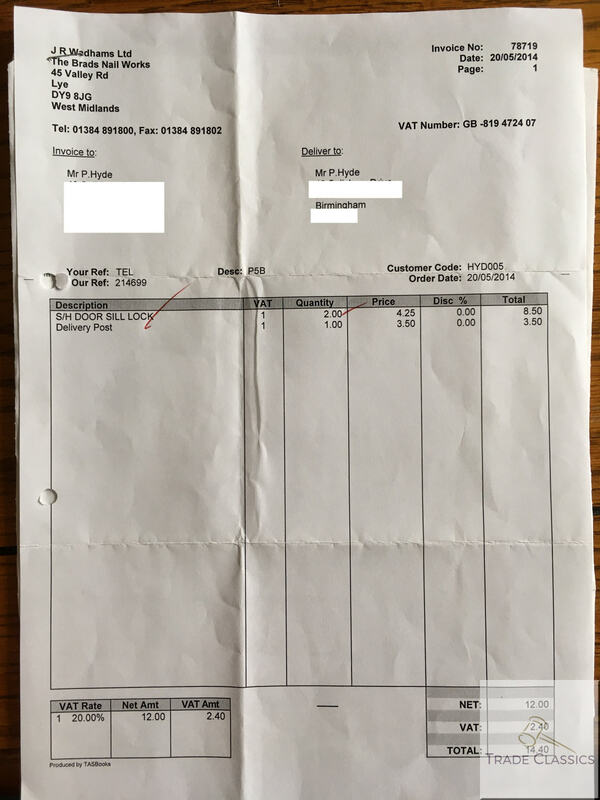 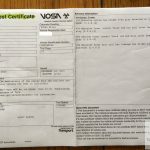 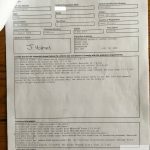 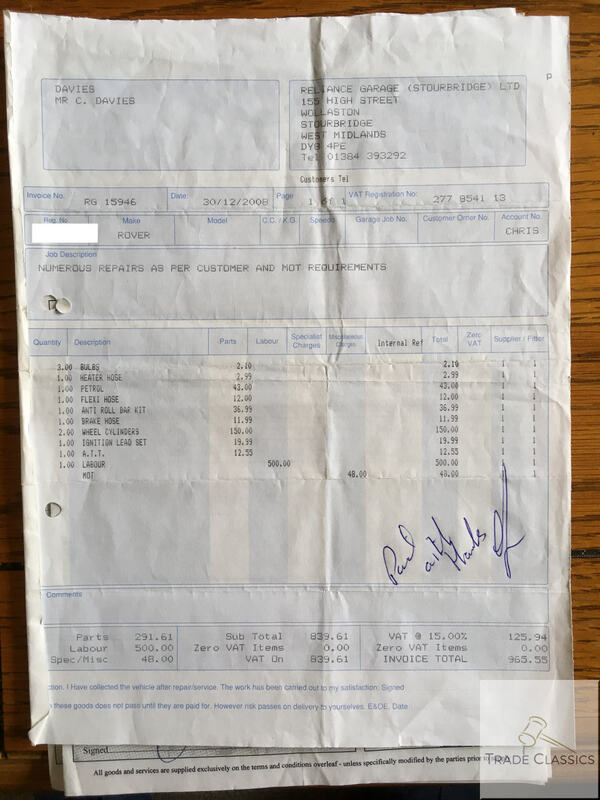 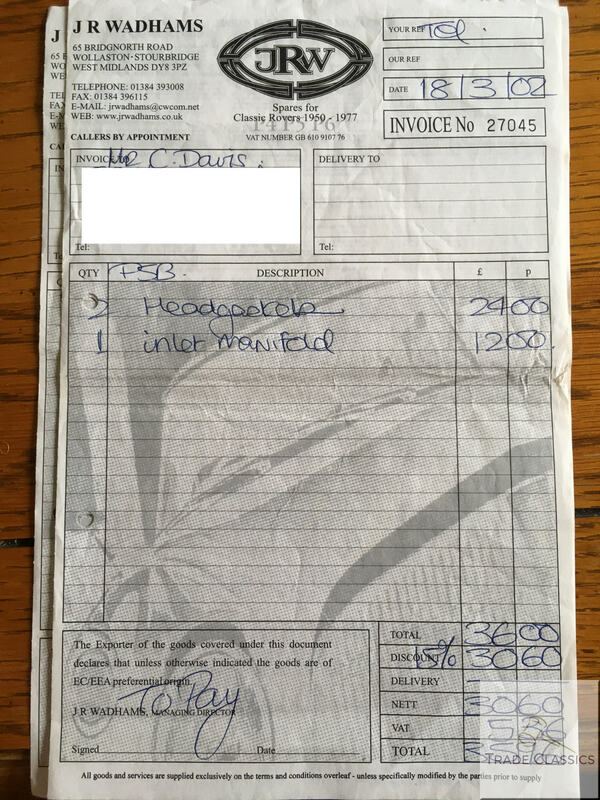 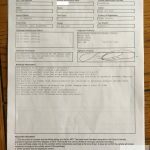 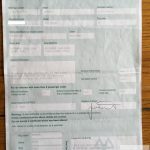 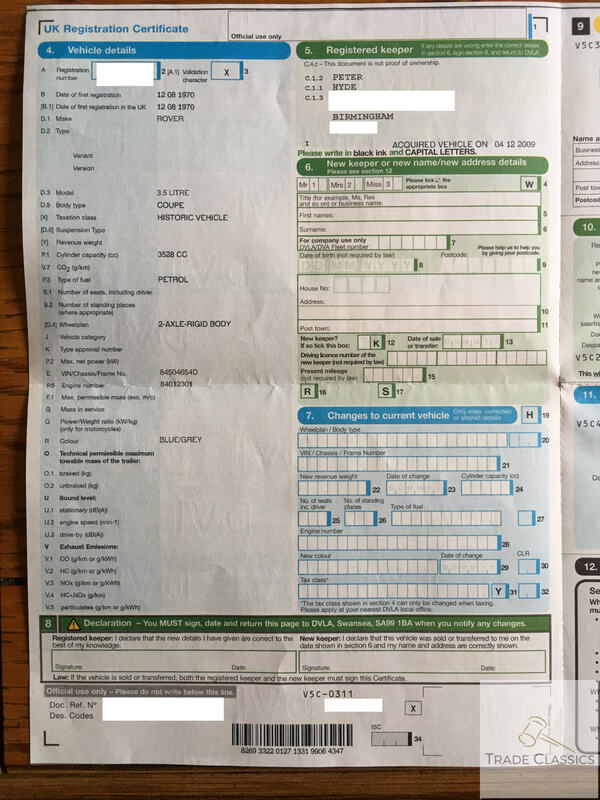 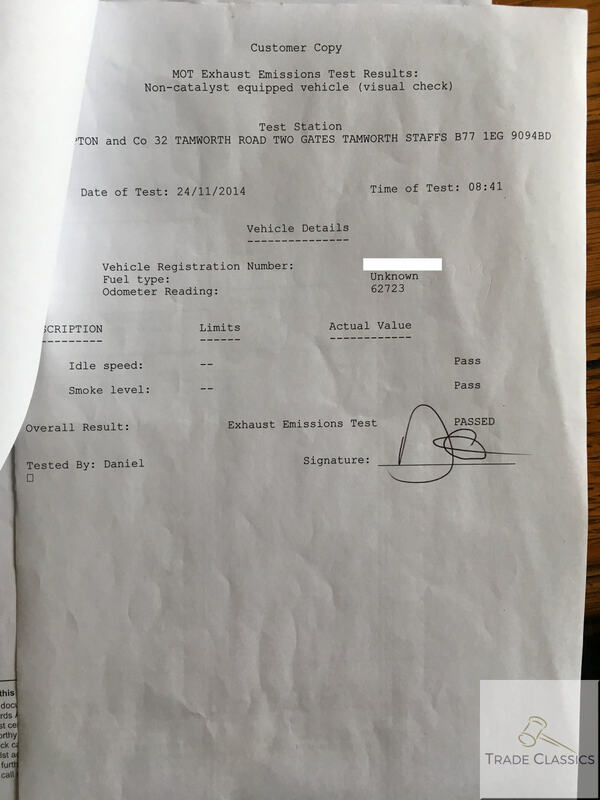 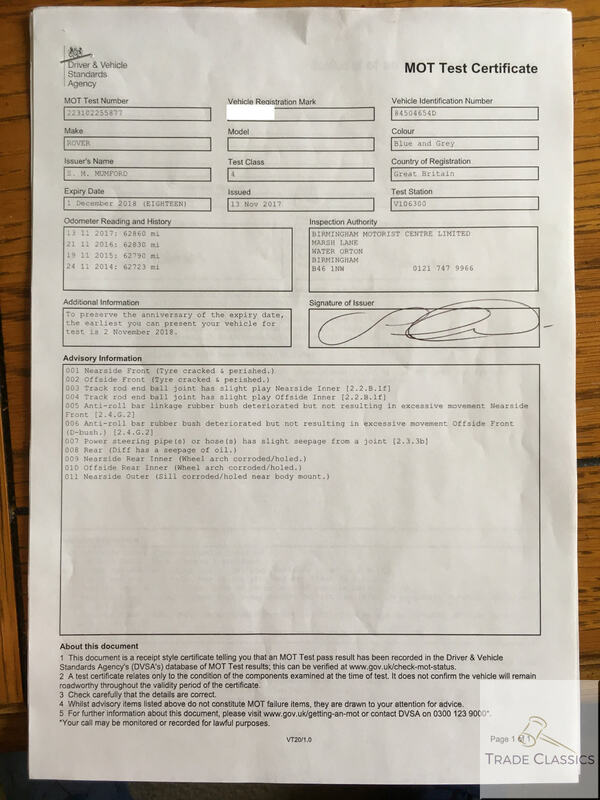 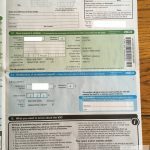 – No outstanding finance or any previous insurance claim – HPi clear. 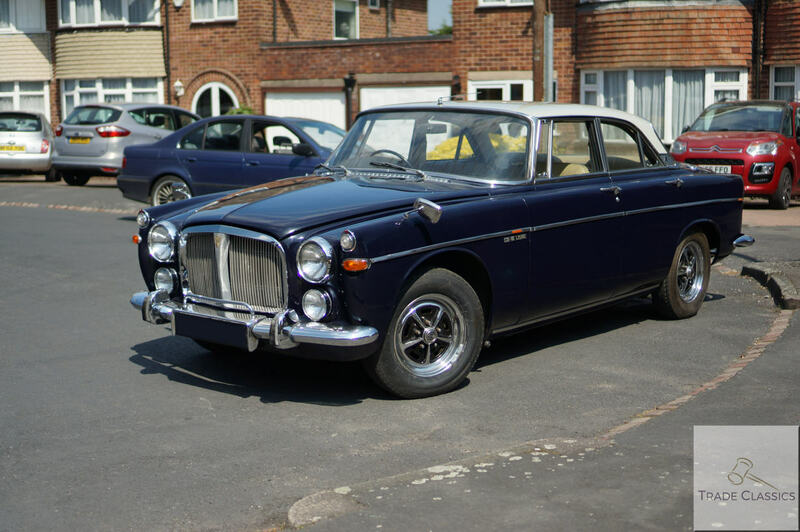 A very nice example of a Rover P5B Coupe. 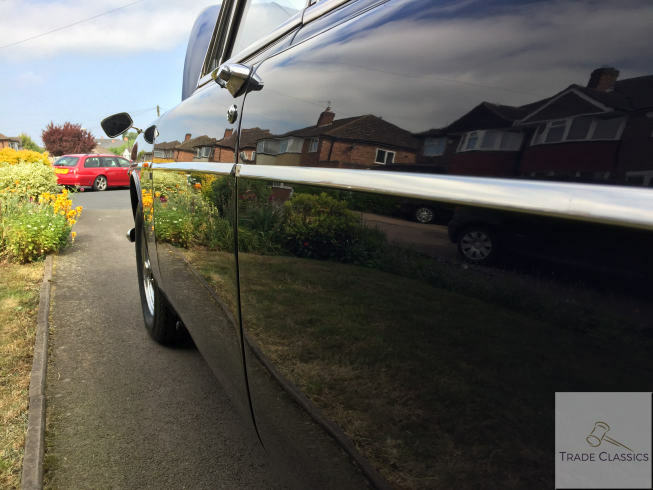 The exterior paint and brightwork really make this a car that stands out when it is cruising around on the roads. 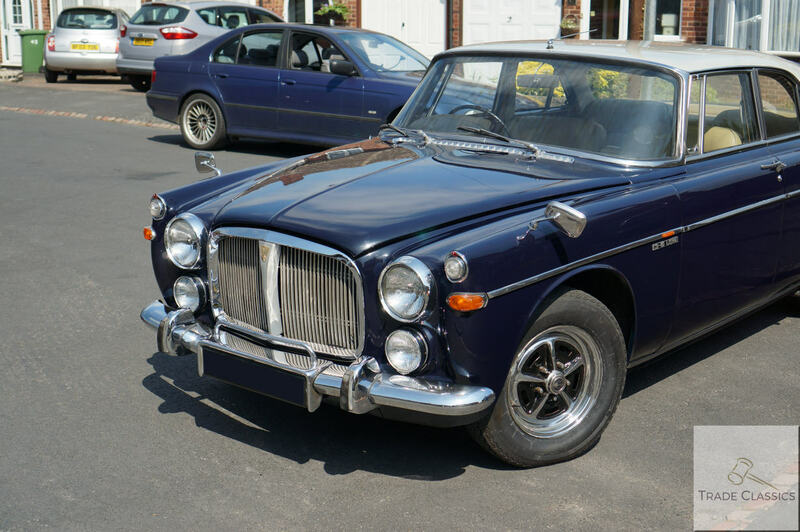 This car was so popular with government officials in the 70’s that a number of them were bought and kept new by the then government so that they could continue to be enjoyed. 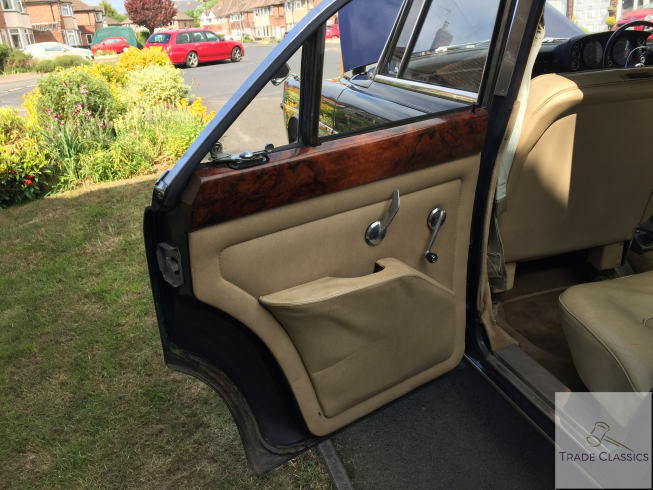 The fact that the Queen also owned one is testament to the quality and luxury that was afforded in this model. One of the stand-out models from the marque, and last of the line with the larger V8 engine, we think this example would be great for a light rolling restoration of the interior to add to the value that comes form the ever increasing rarity of the model. 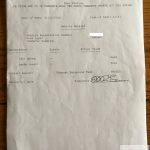 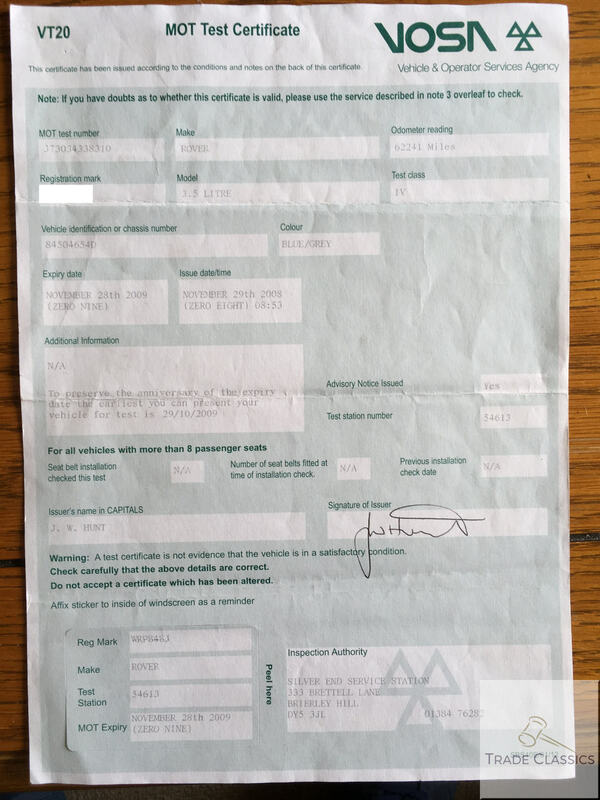 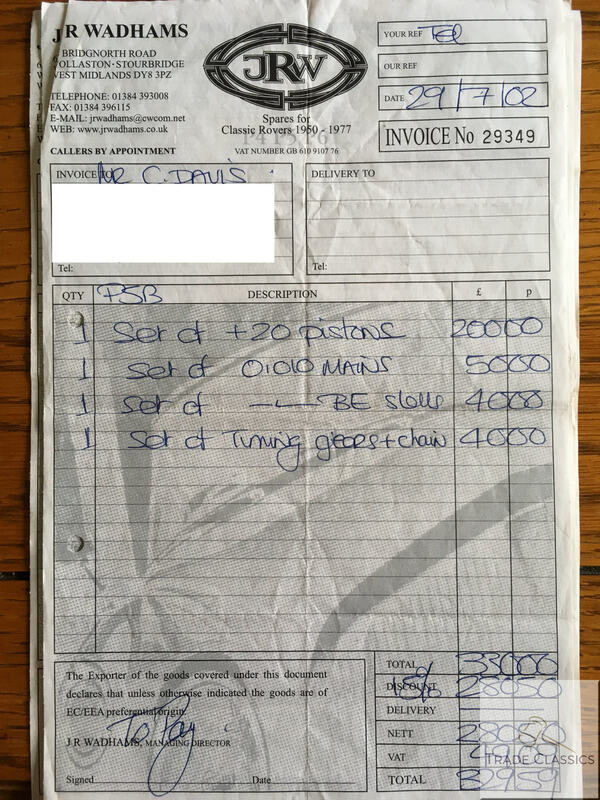 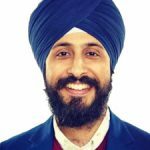 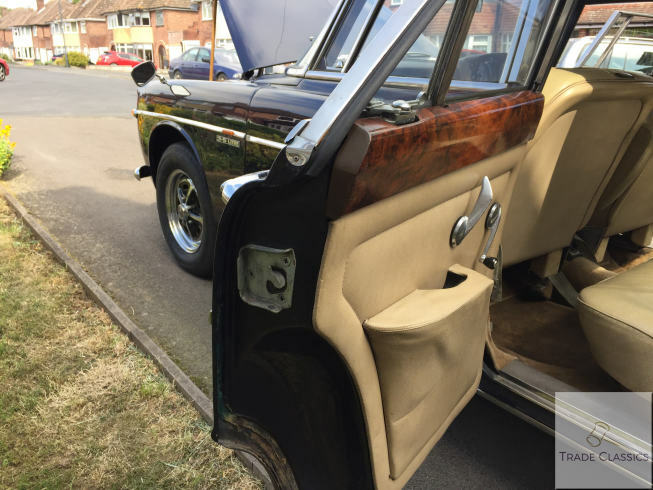 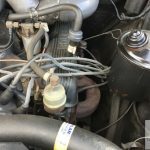 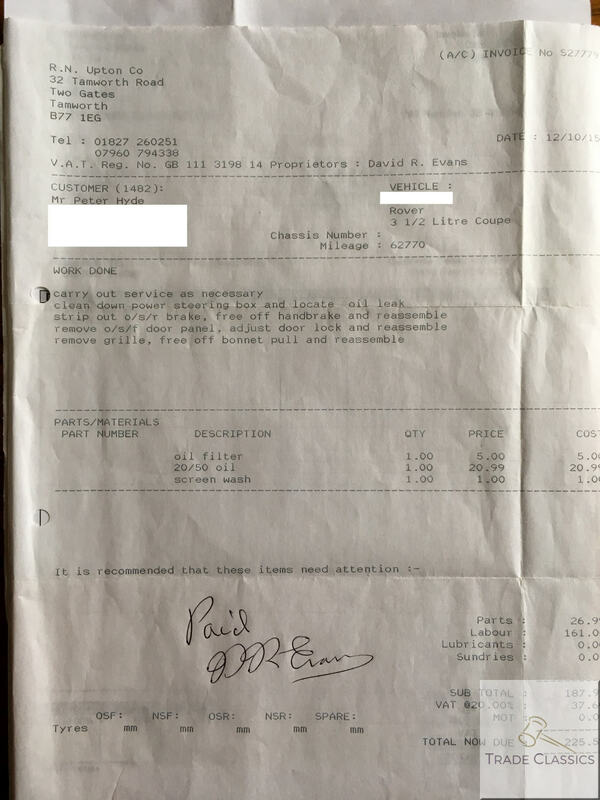 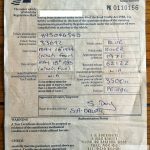 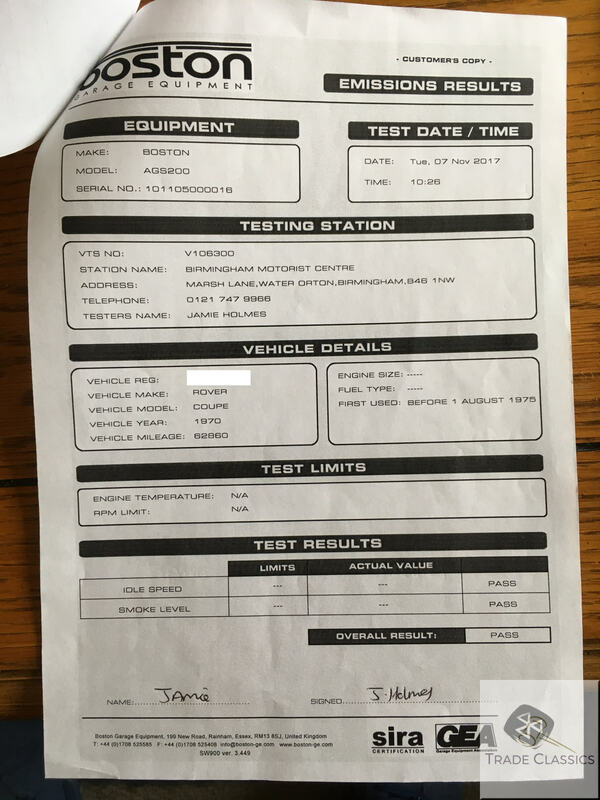 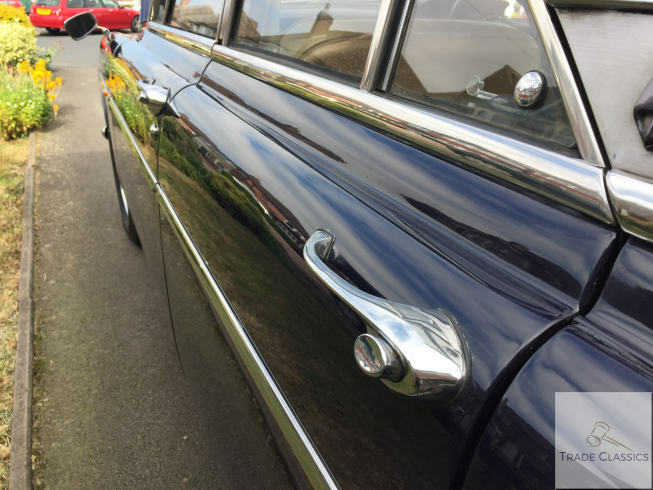 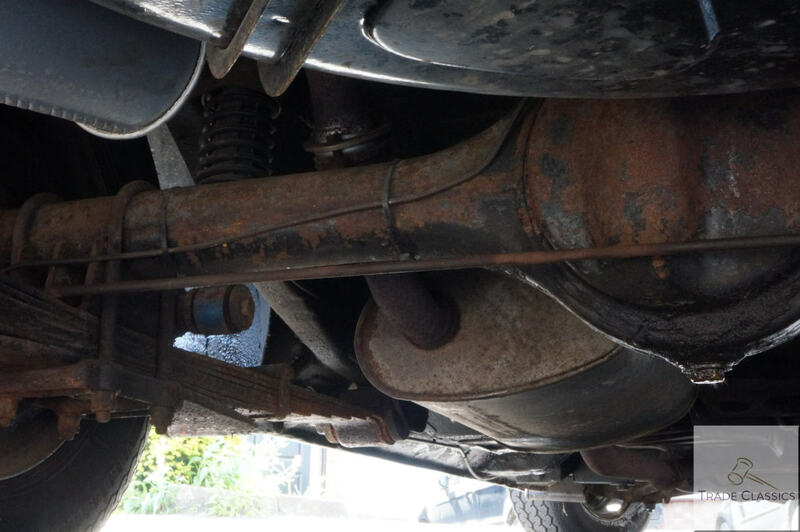 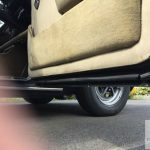 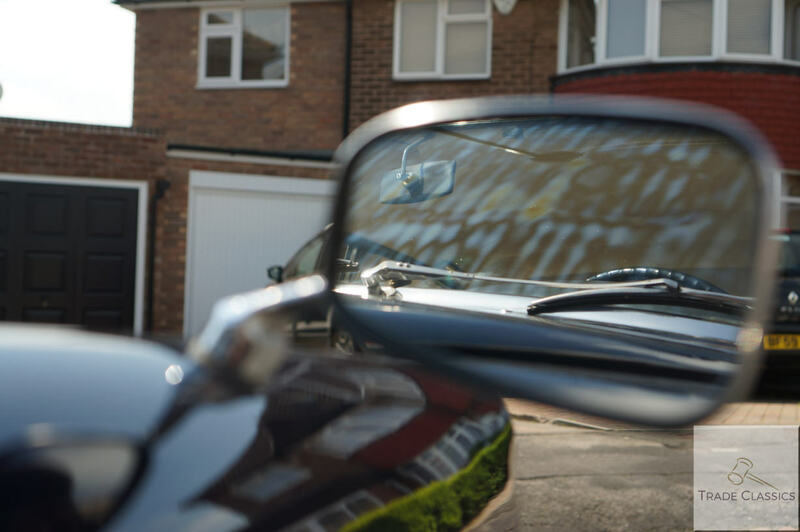 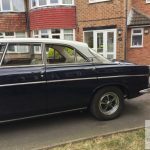 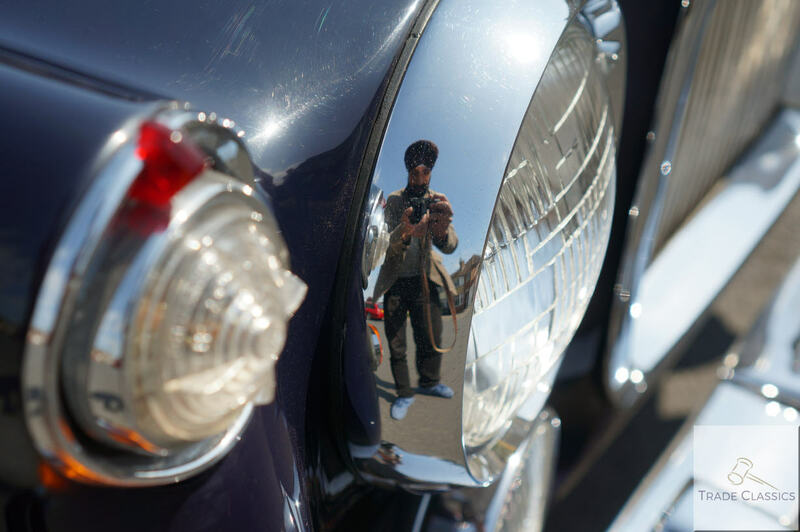 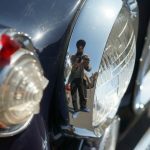 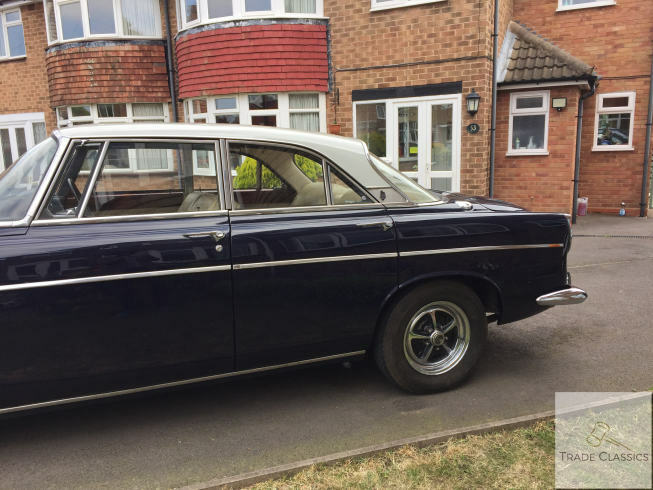 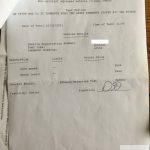 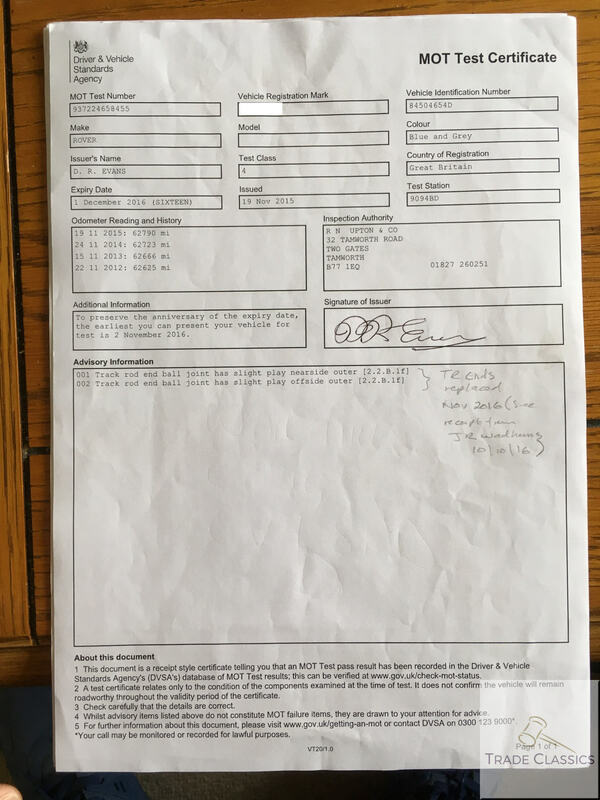 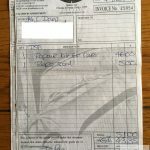 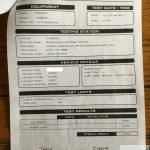 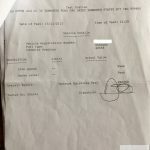 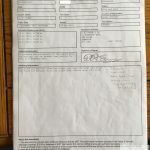 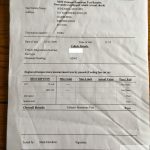 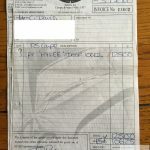 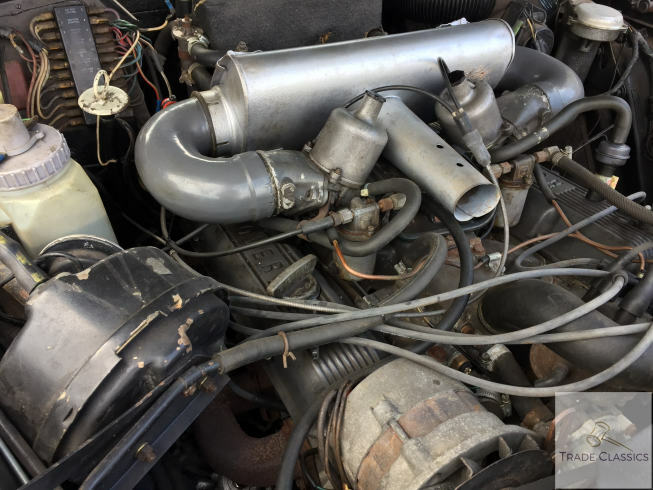 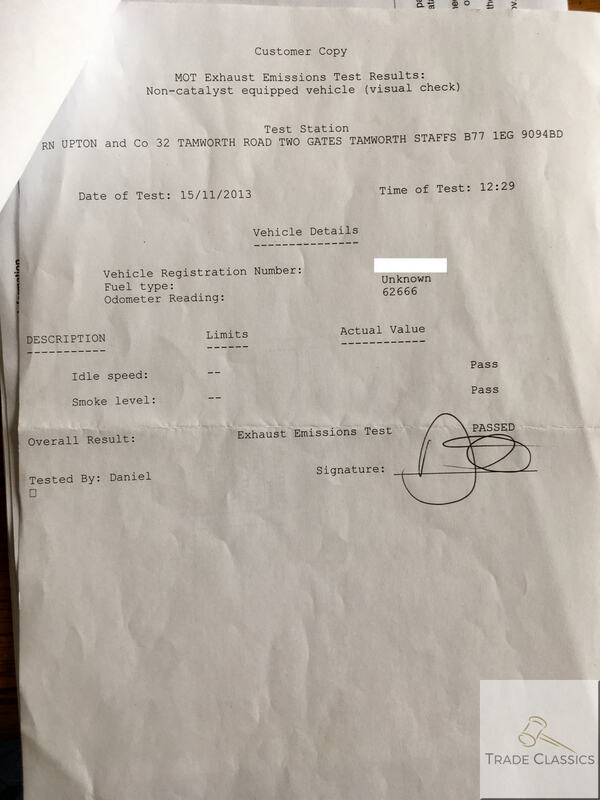 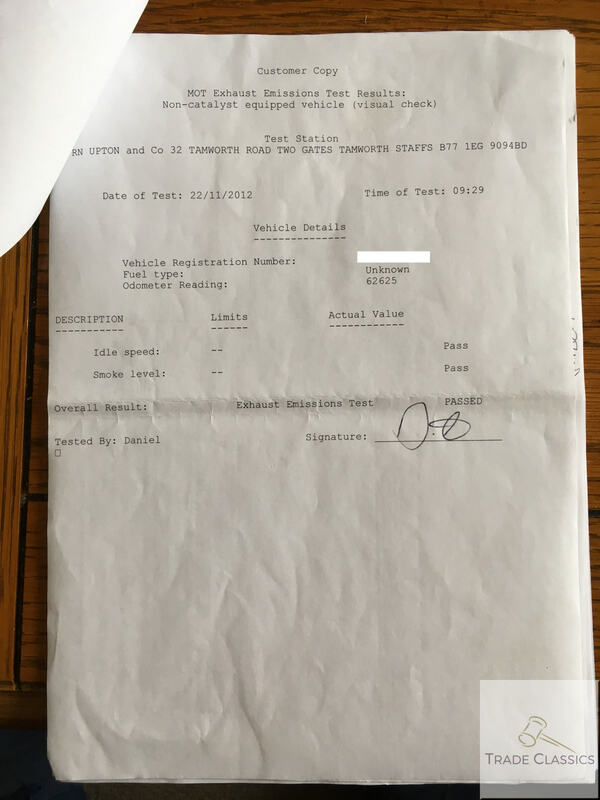 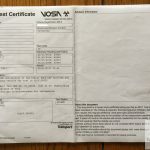 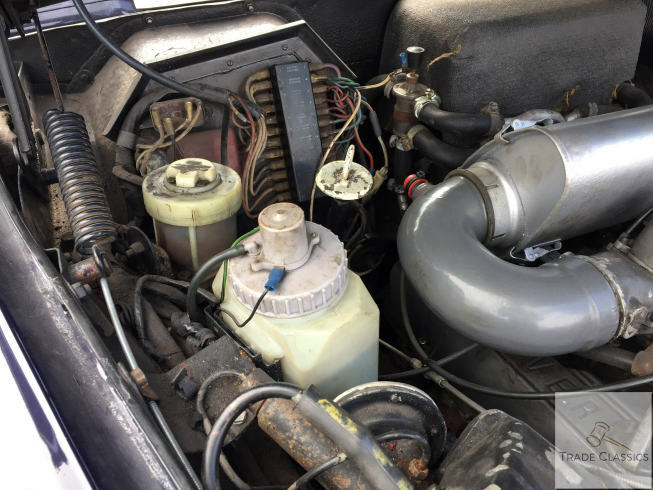 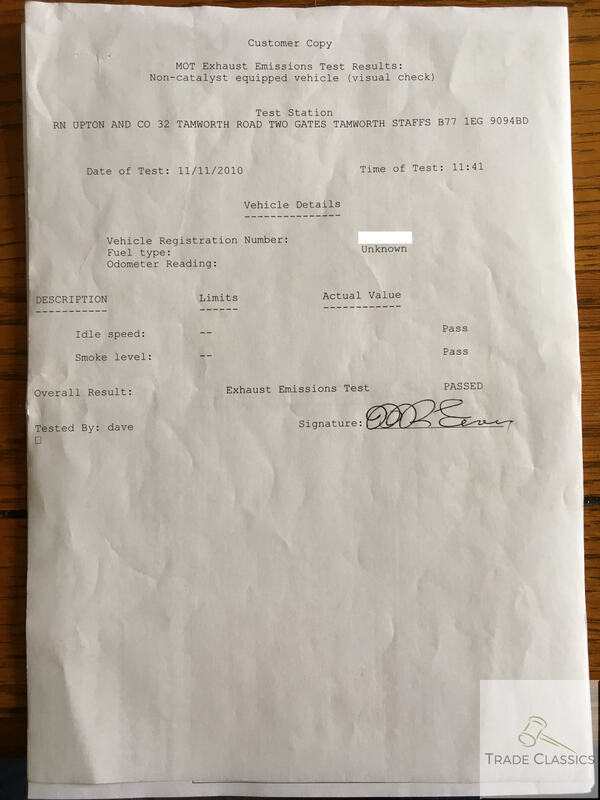 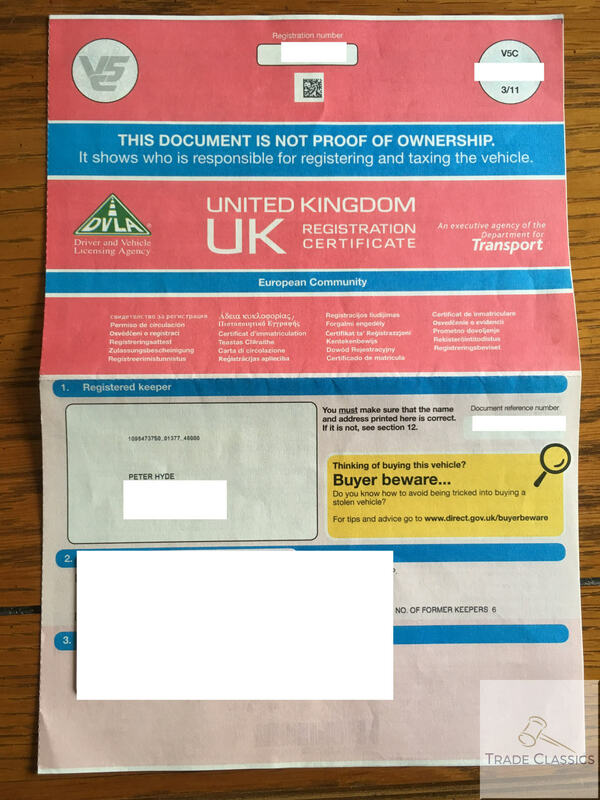 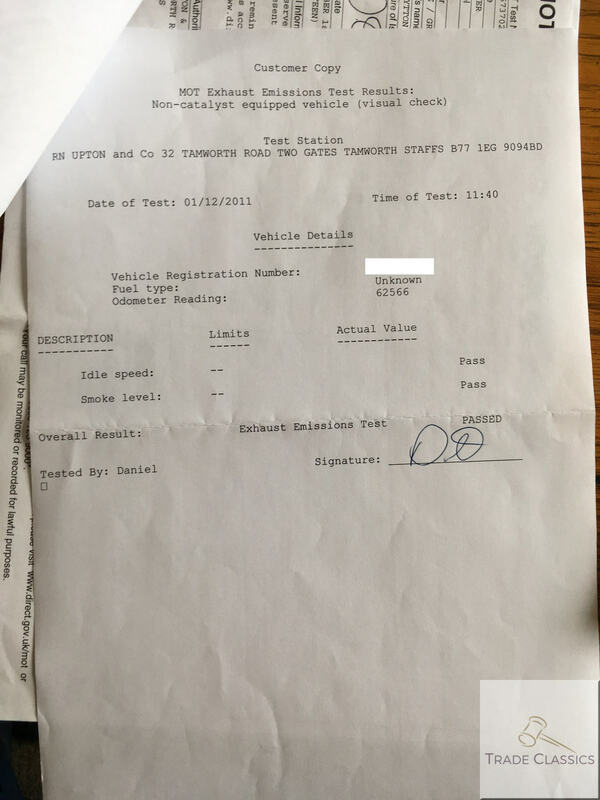 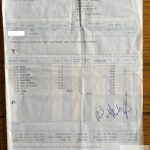 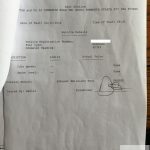 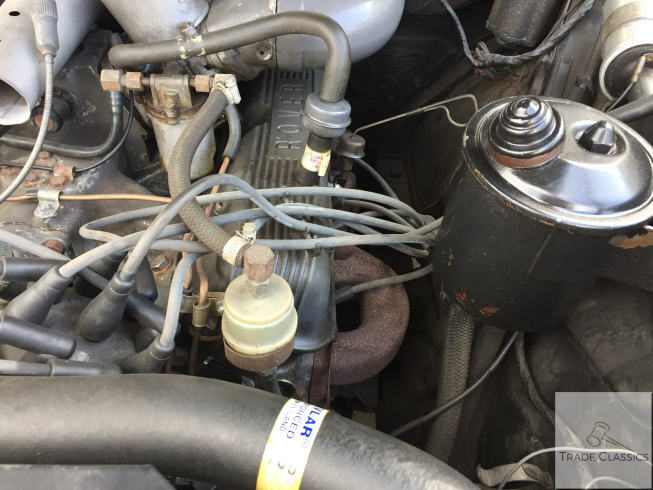 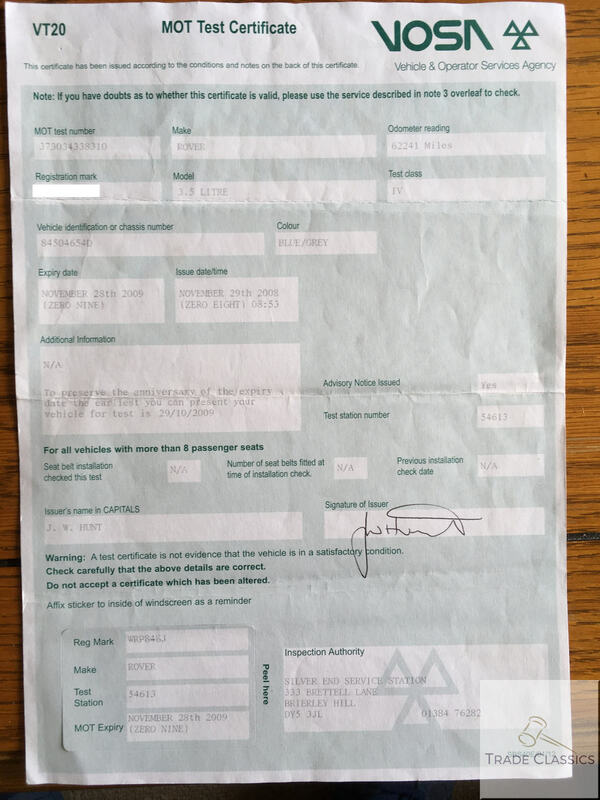 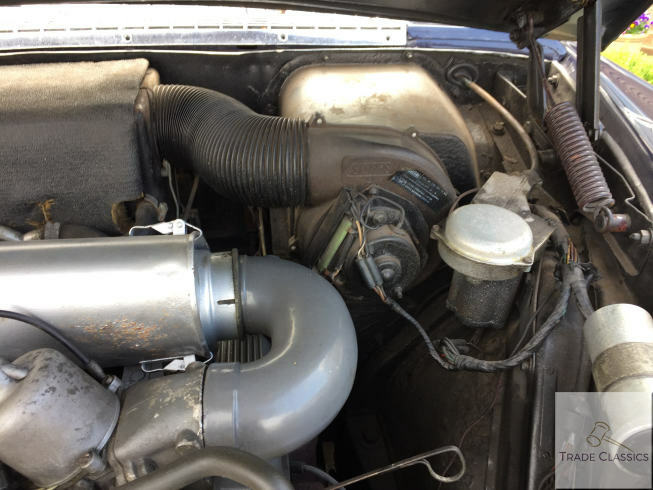 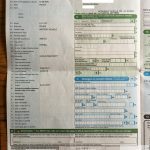 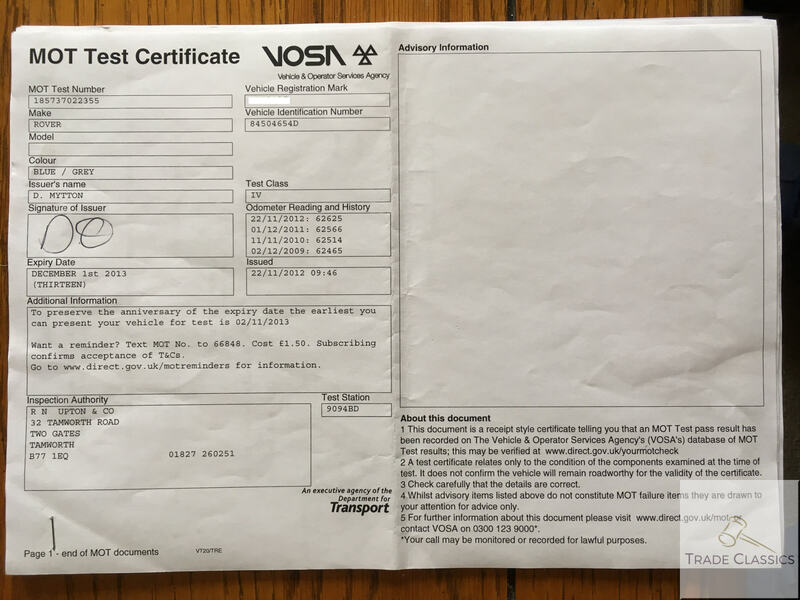 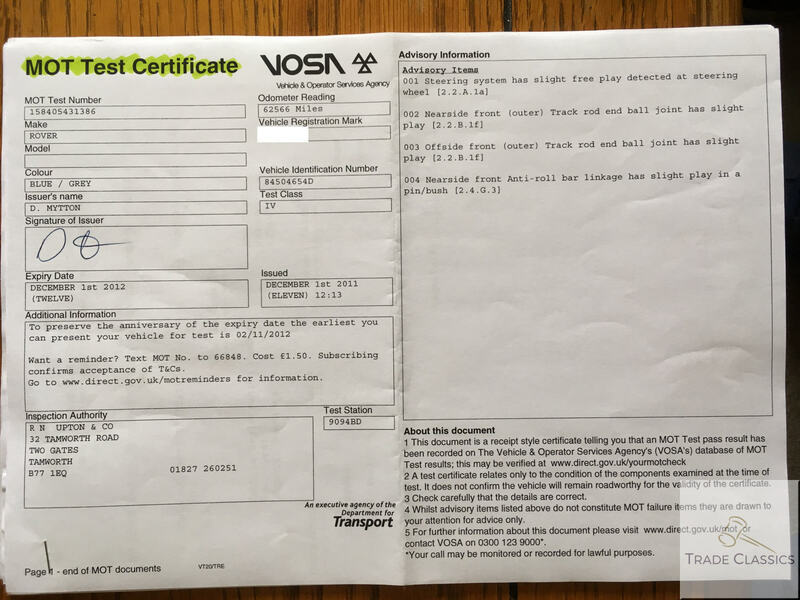 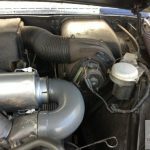 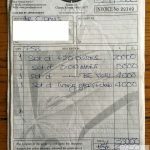 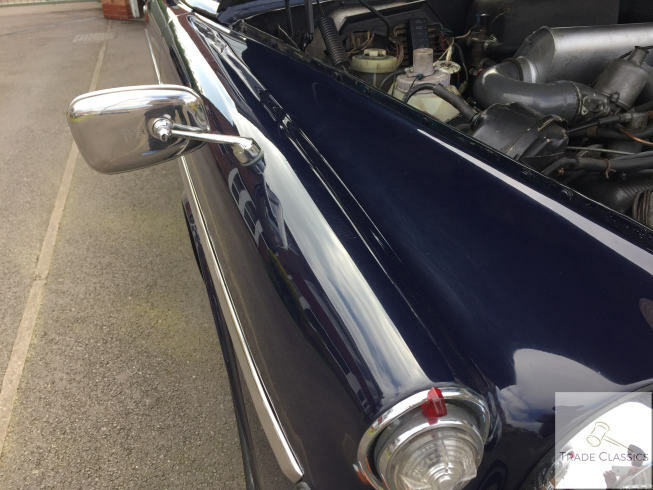 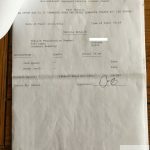 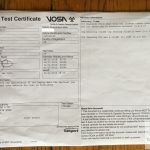 This auction listing was written by Kulraj Singh Salh from information gained from Peter (owner and seller of the vehicle) and having visited and photographed the vehicle. 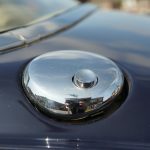 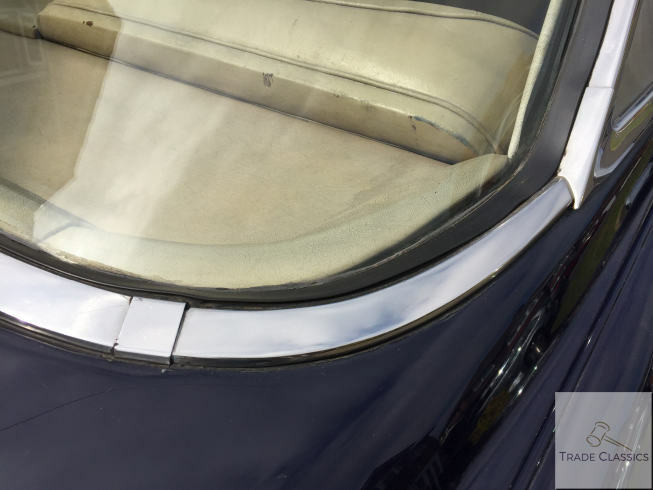 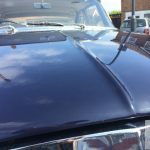 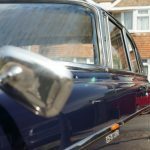 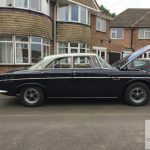 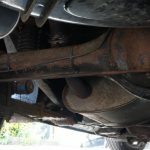 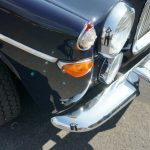 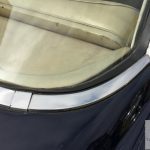 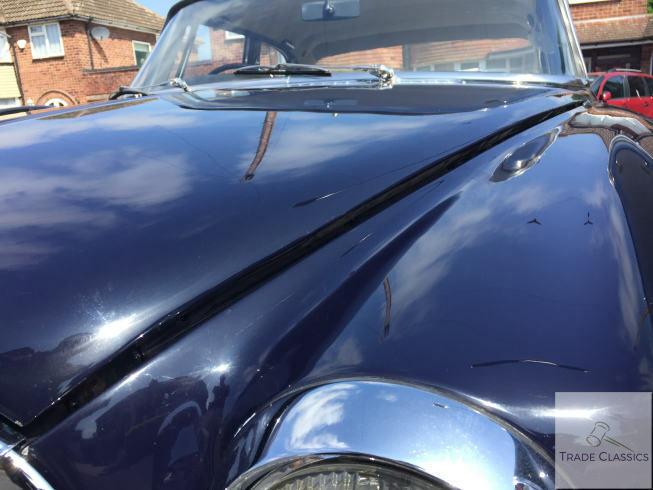 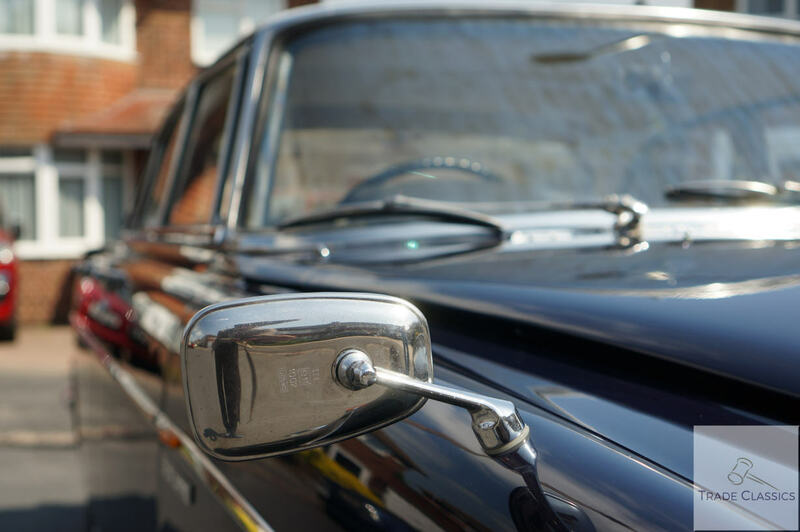 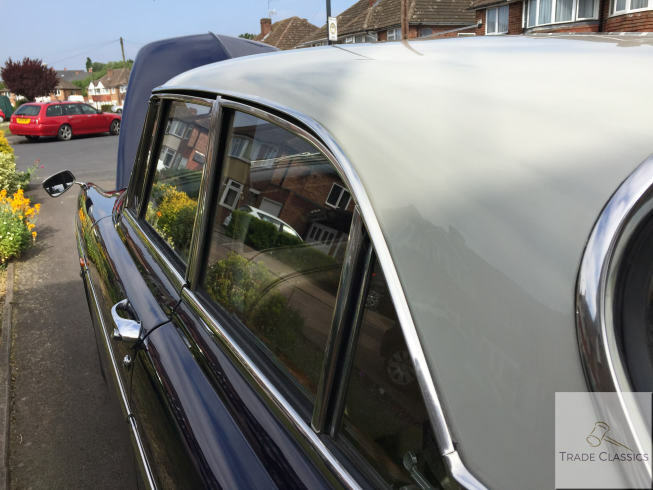 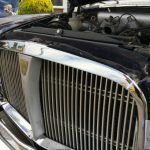 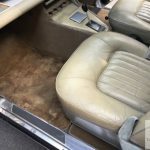 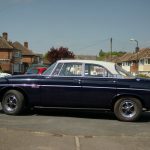 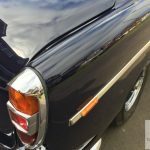 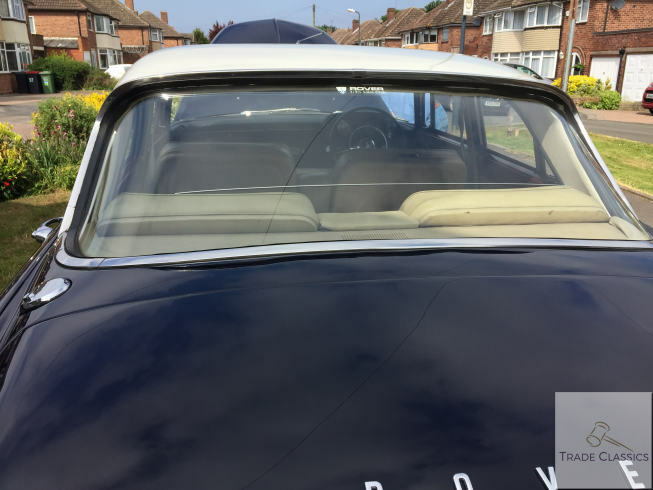 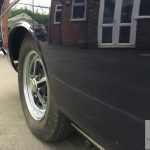 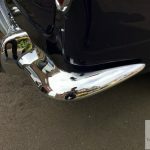 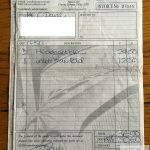 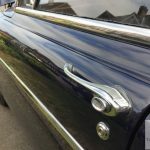 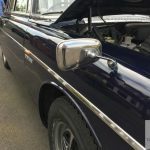 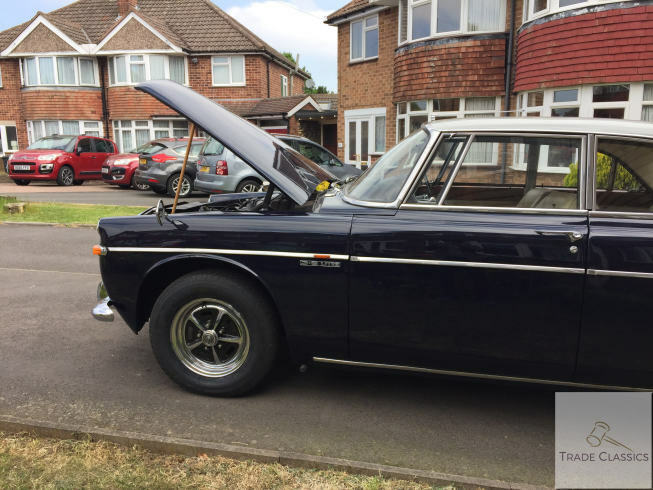 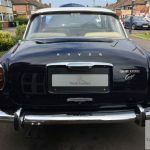 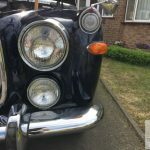 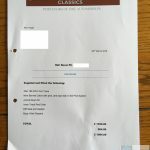 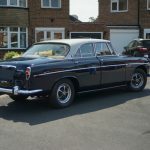 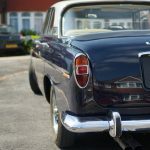 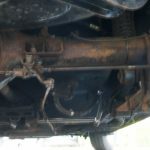 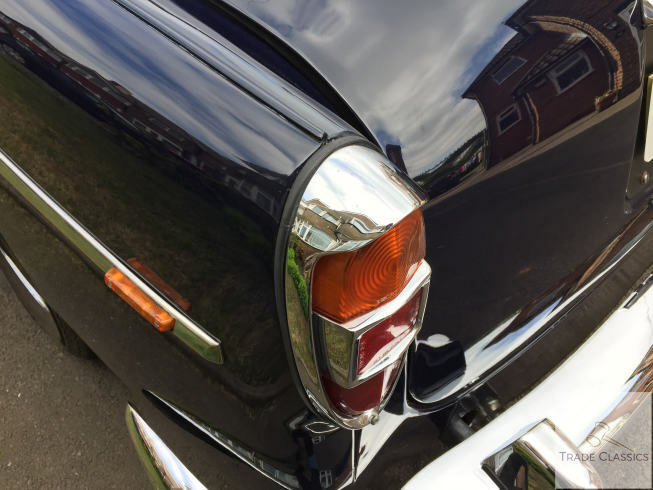 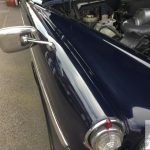 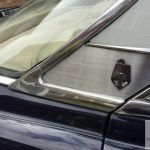 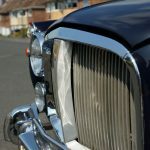 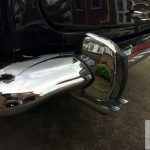 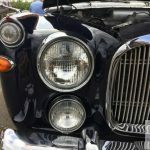 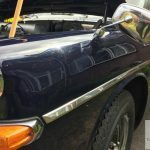 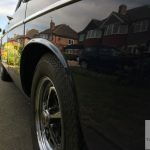 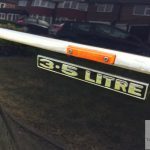 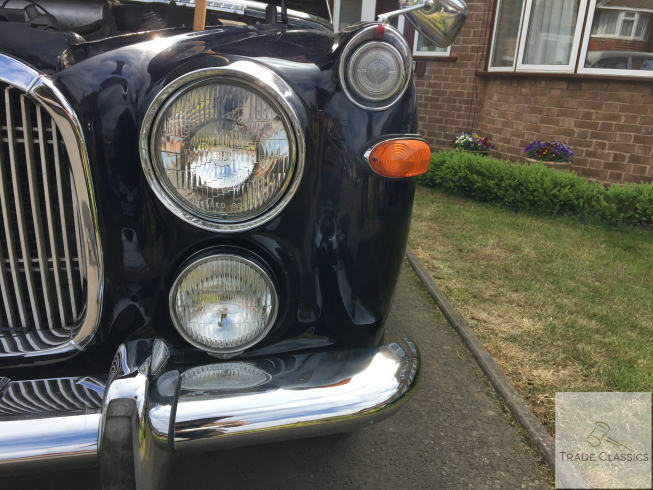 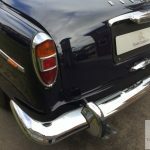 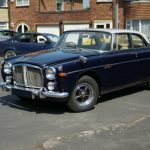 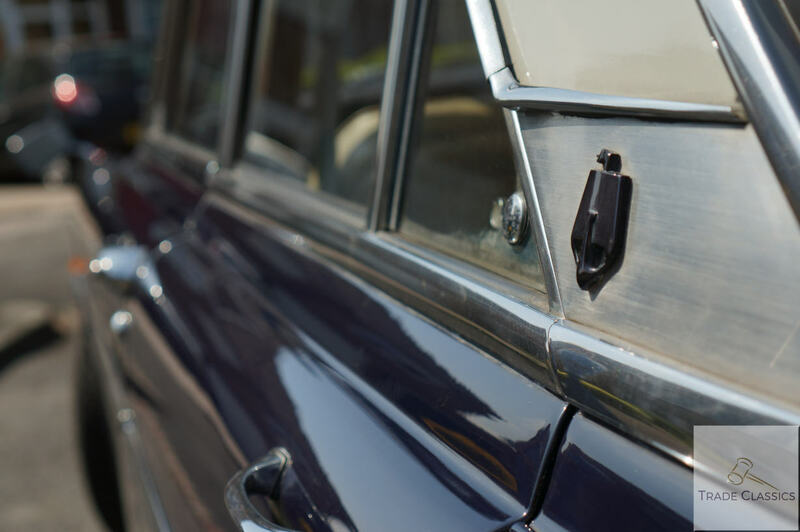 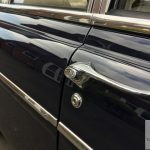 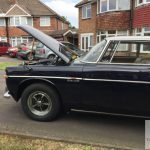 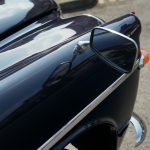 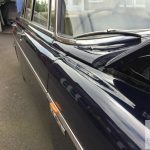 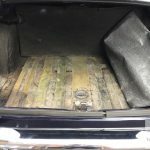 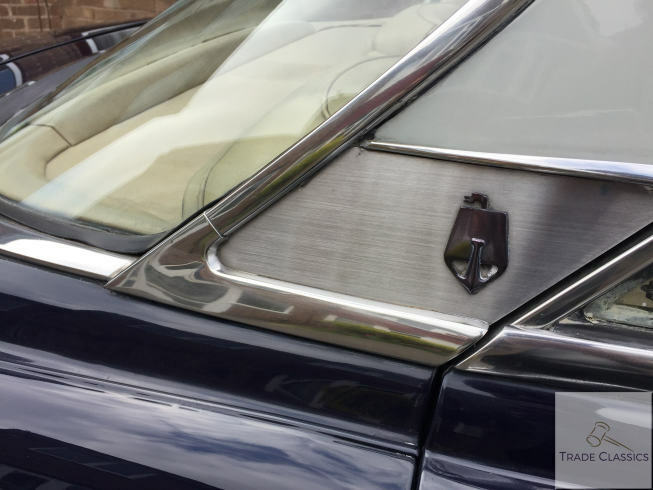 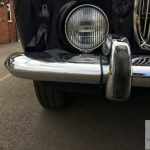 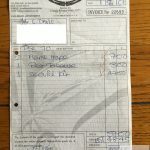 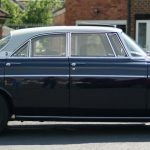 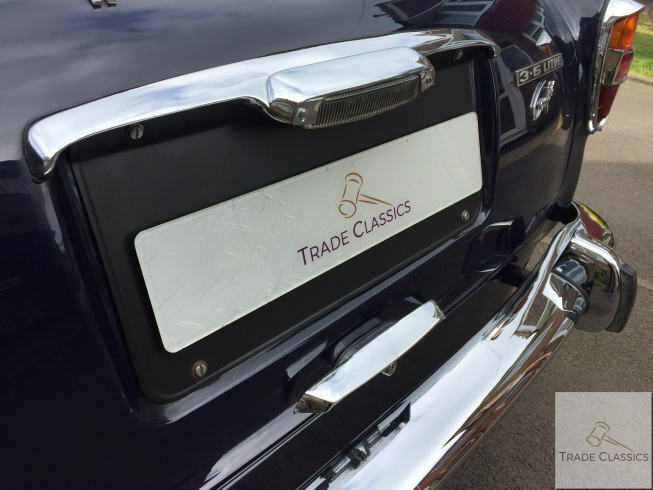 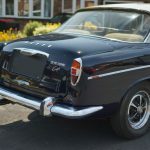 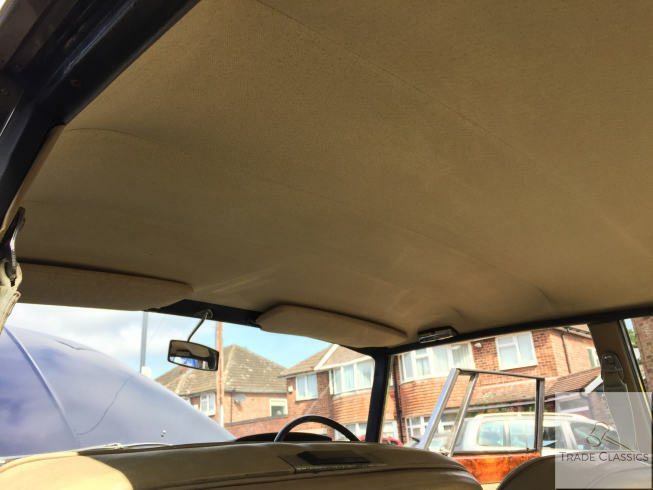 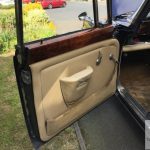 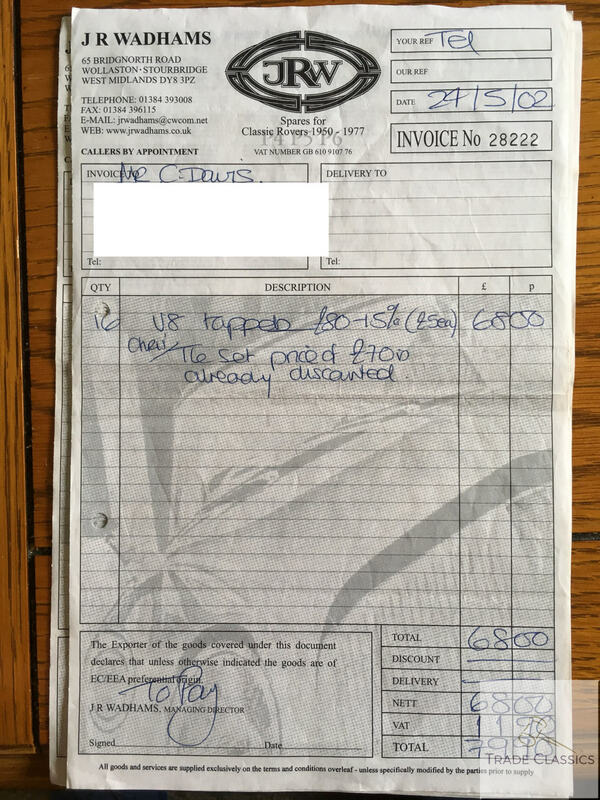 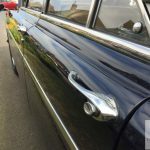 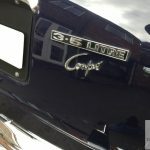 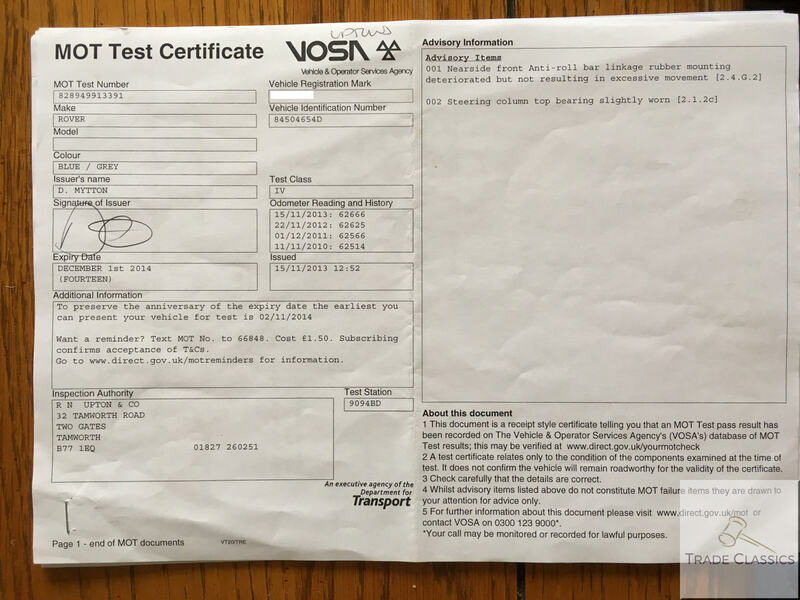 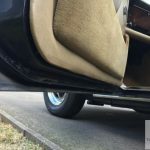 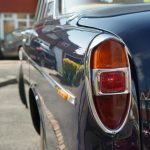 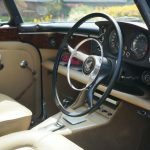 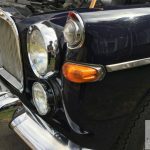 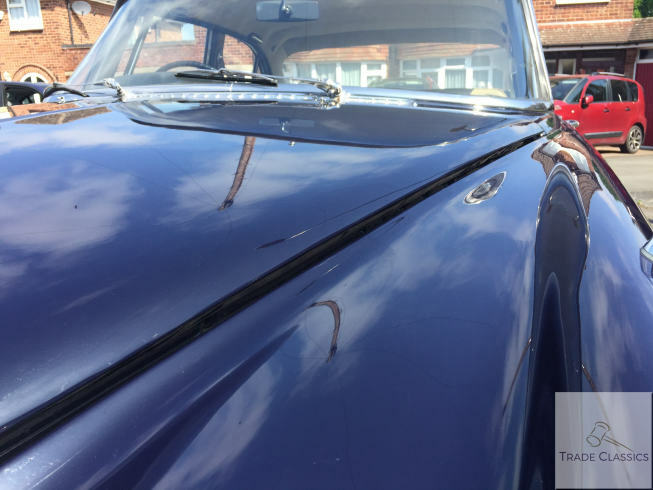 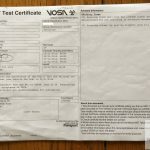 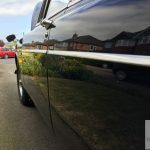 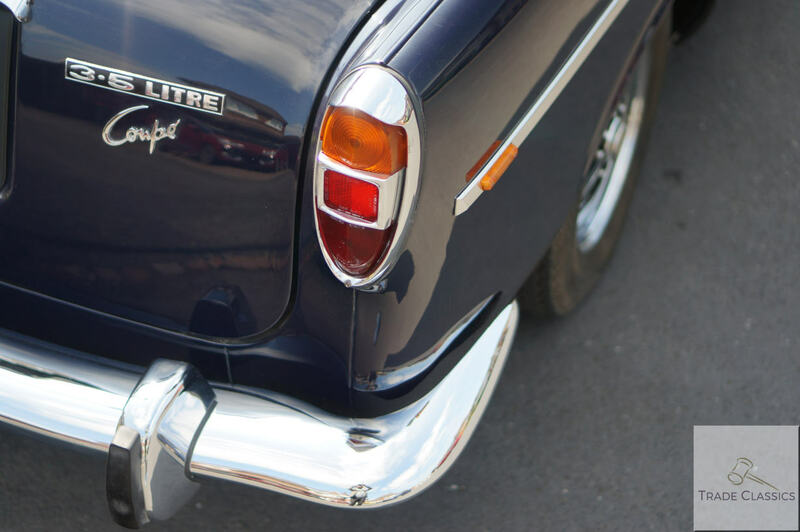 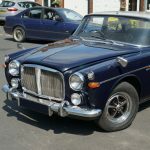 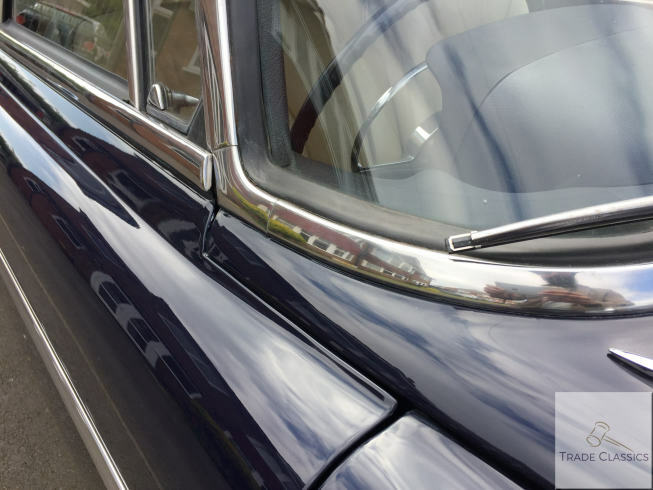 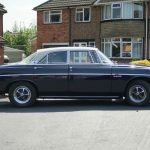 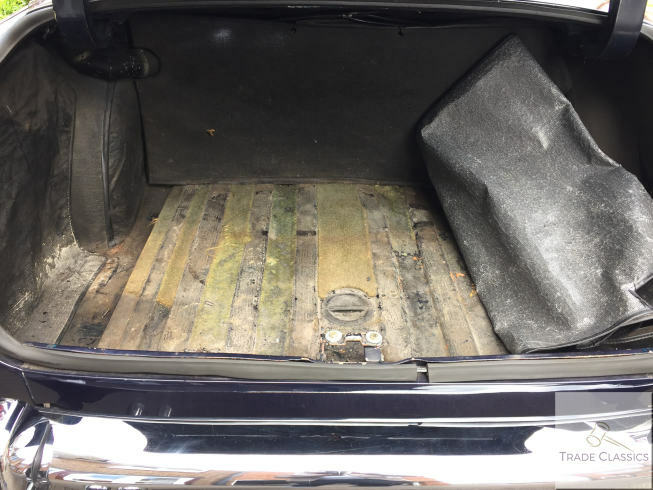 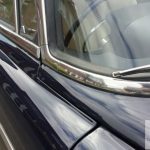 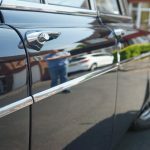 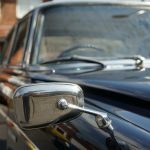 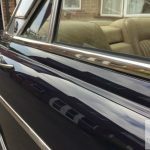 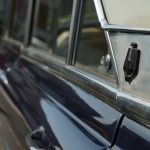 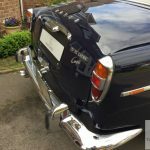 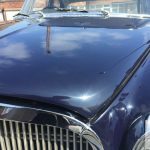 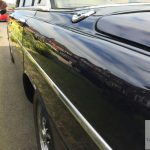 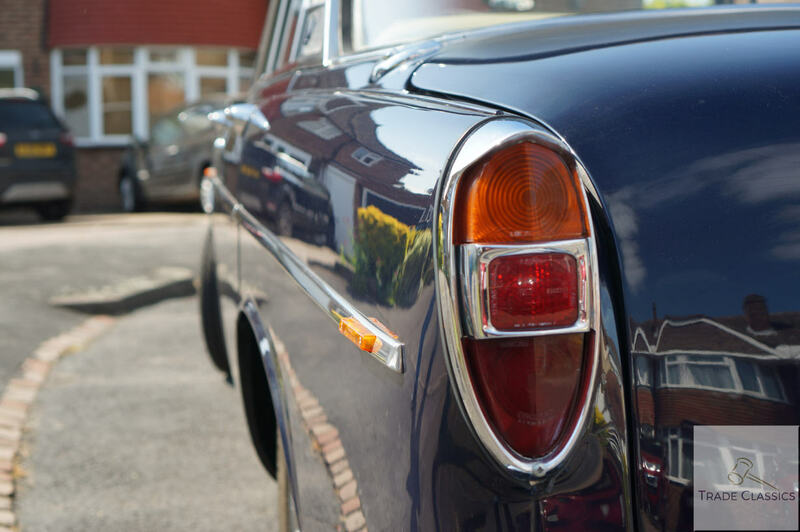 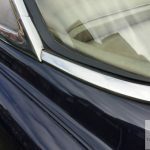 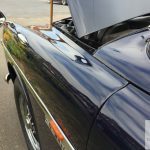 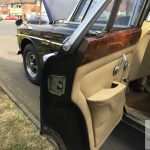 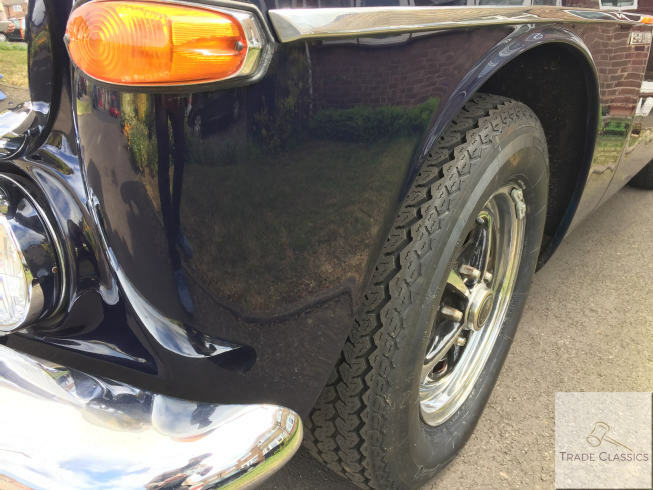 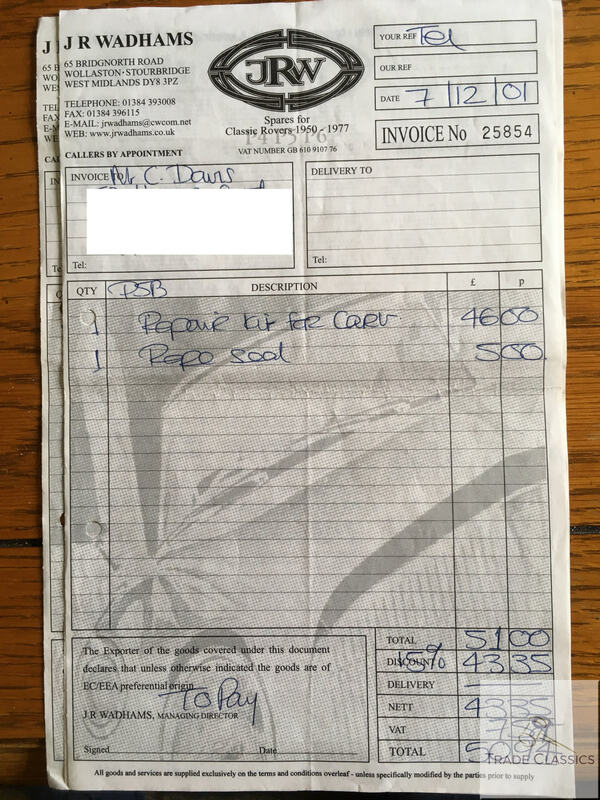 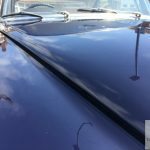 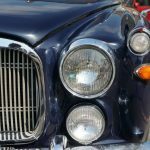 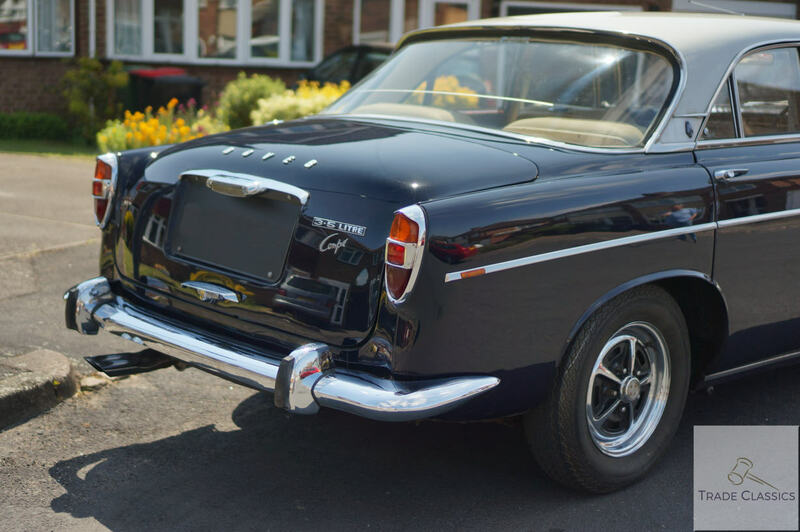 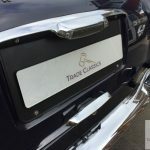 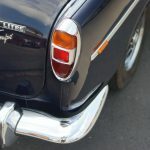 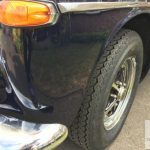 Please could you provide more information about the Body Work Repairs carried out by Sunningdale Classics and so they address all the MOT advisory issues from last year? 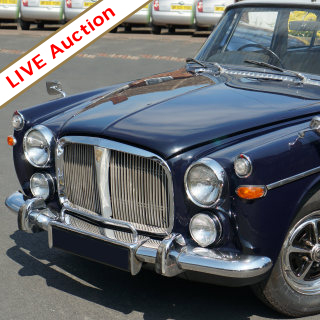 Auction now live. 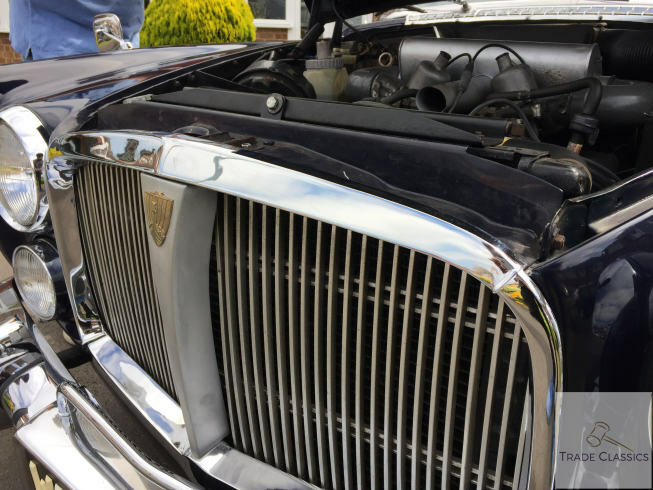 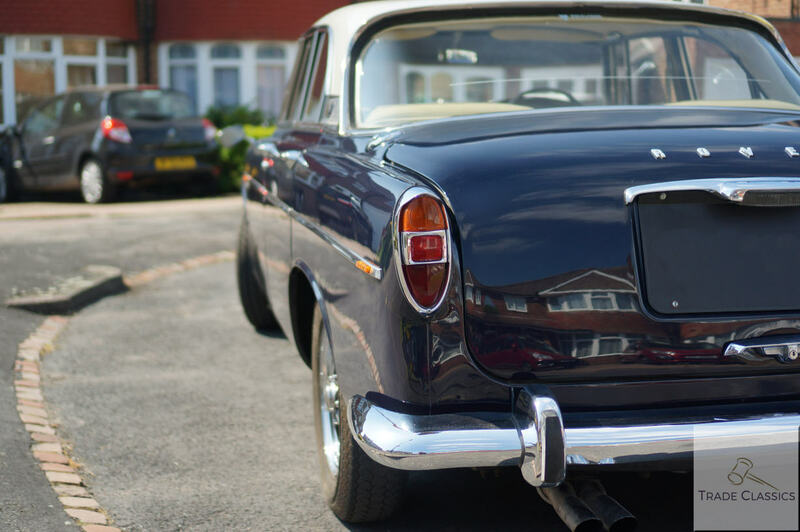 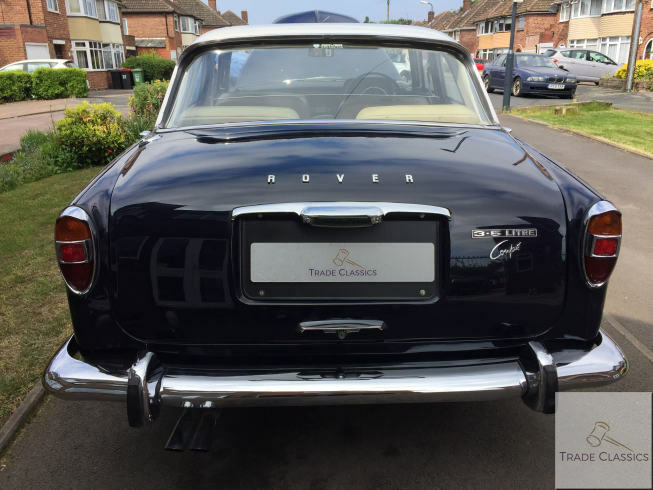 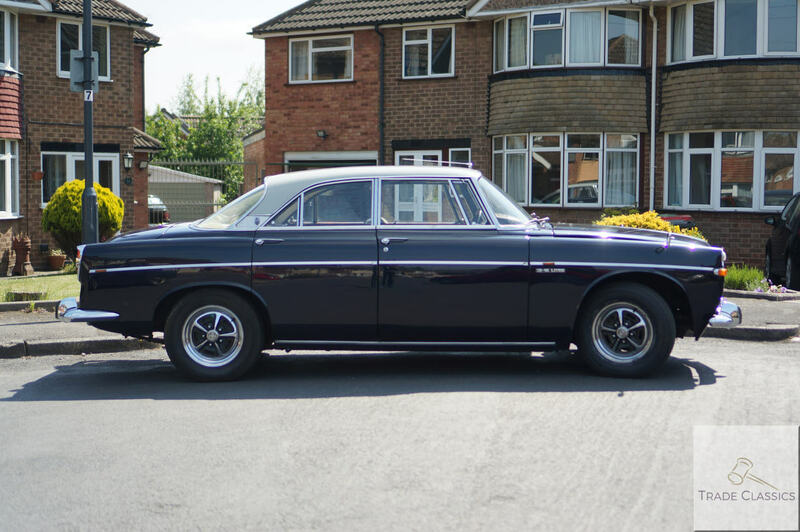 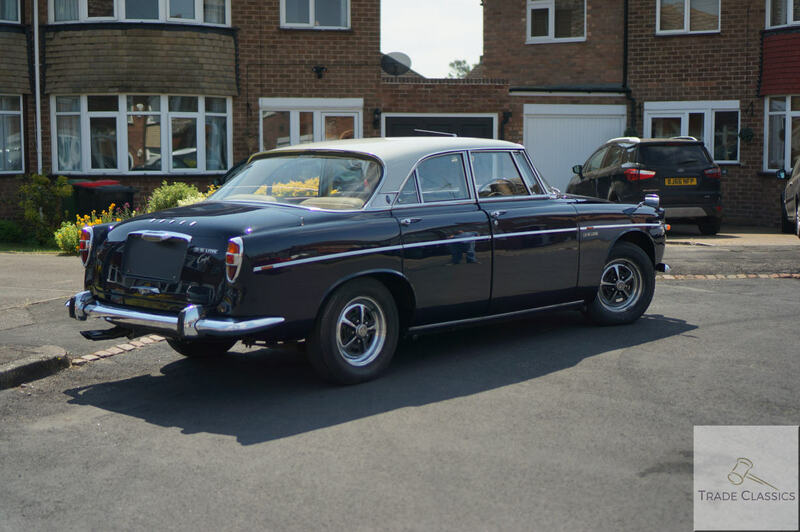 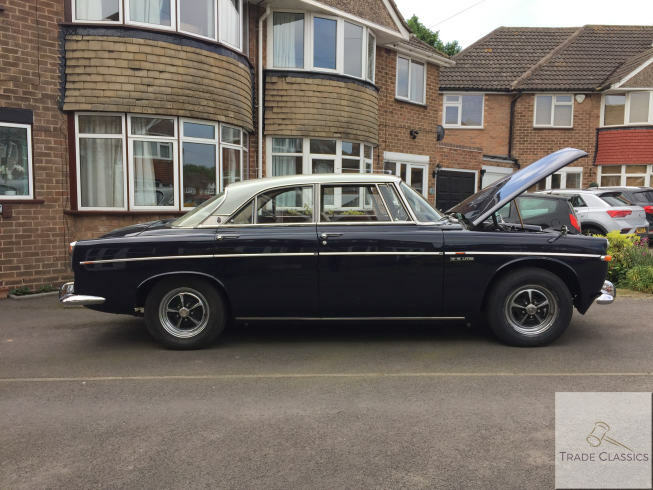 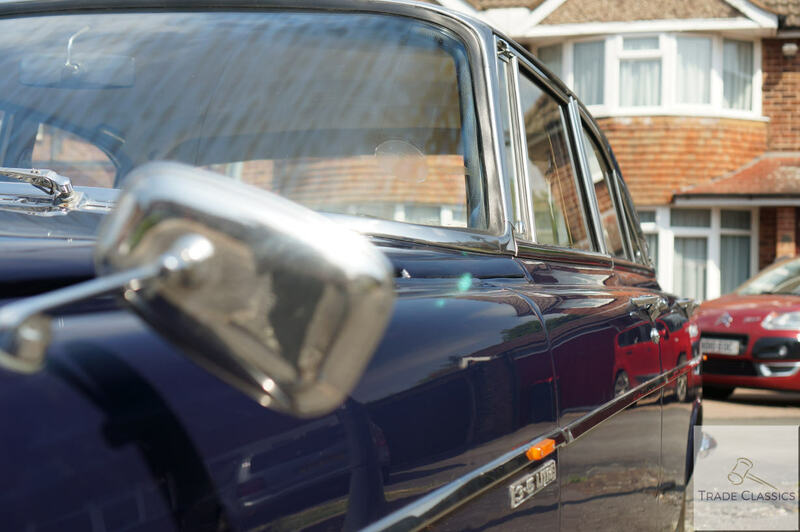 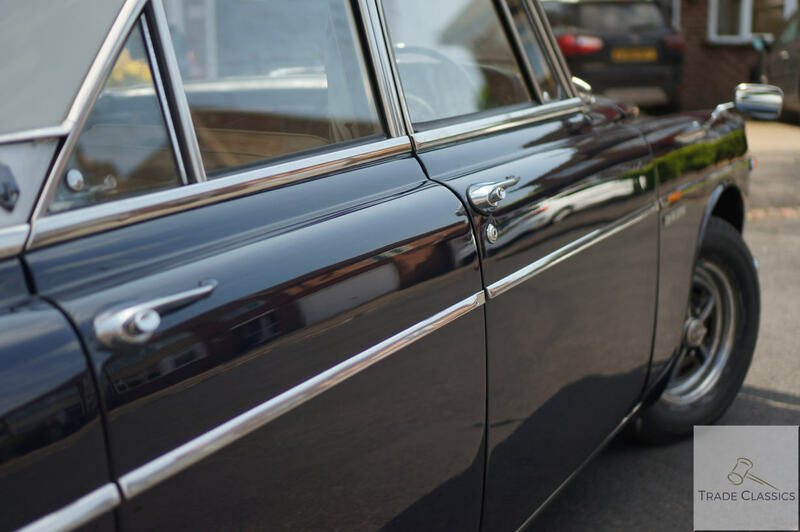 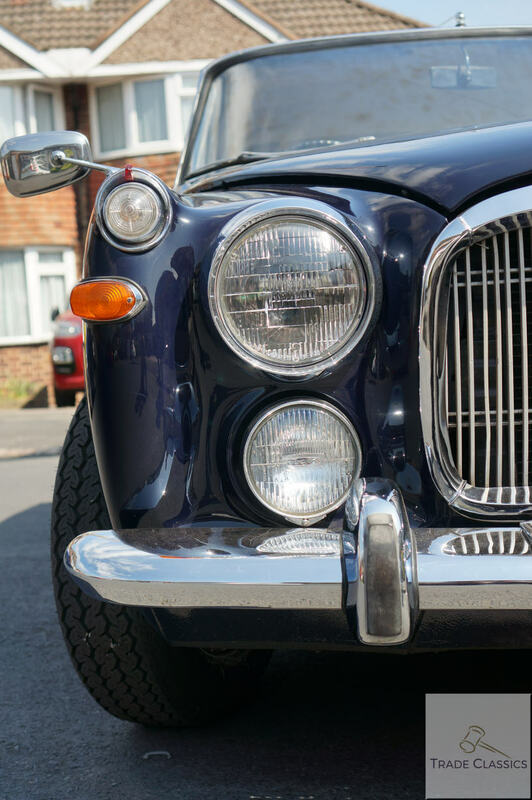 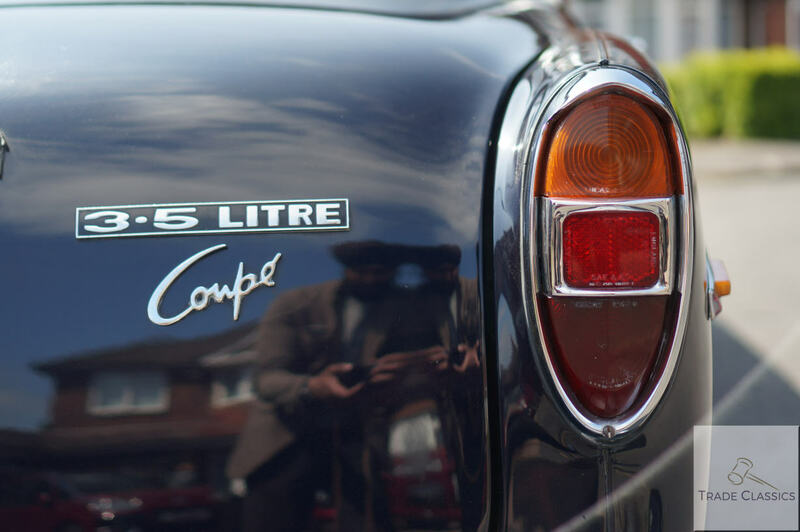 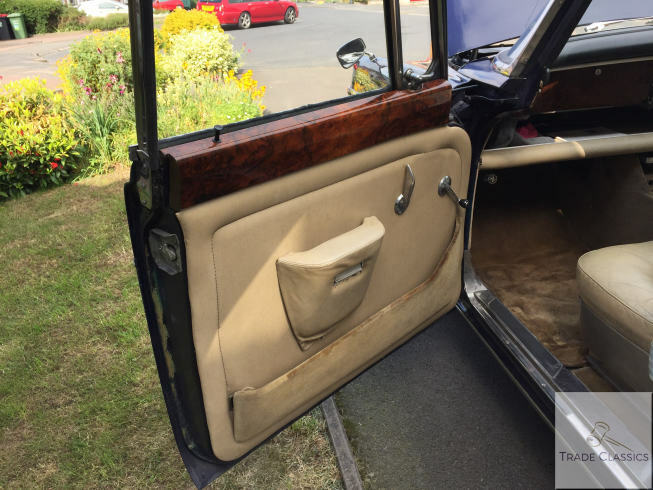 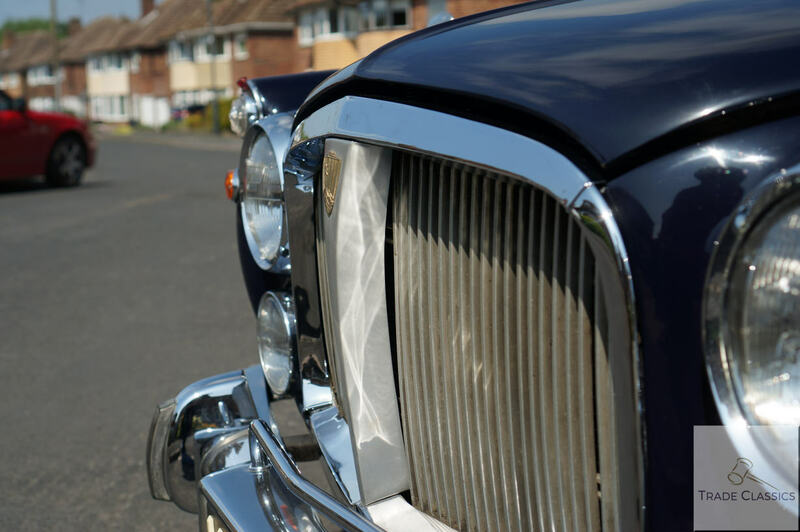 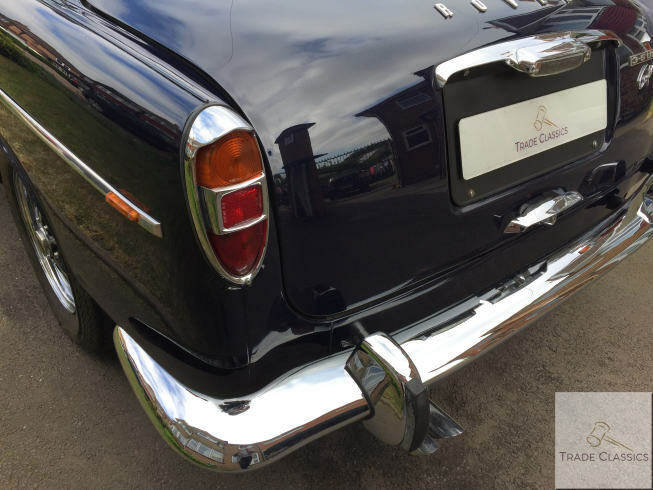 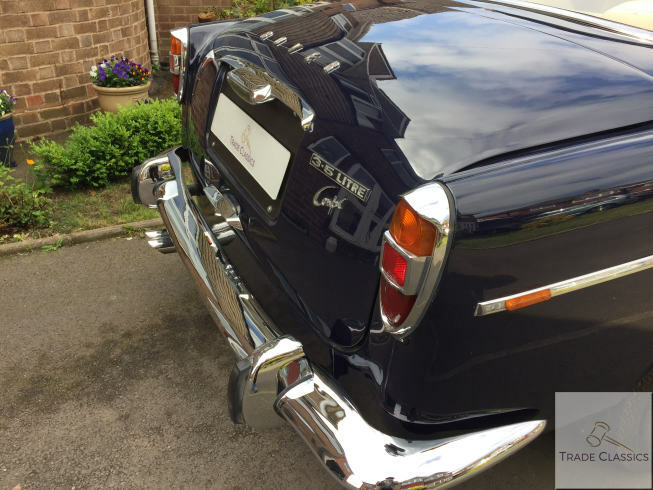 If you have any questions about this lovely Rover P5B Coupe, then Peter the owner will be on hand to answer them. 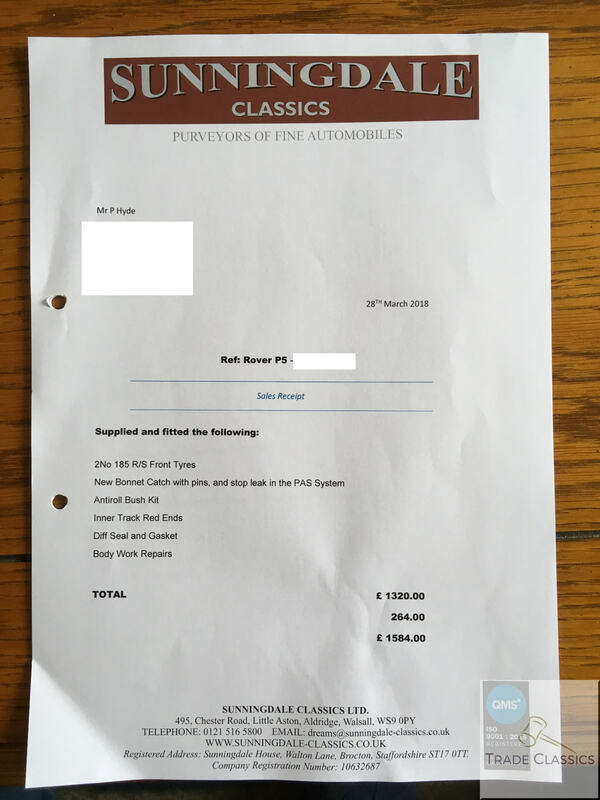 Good luck with the bidding.